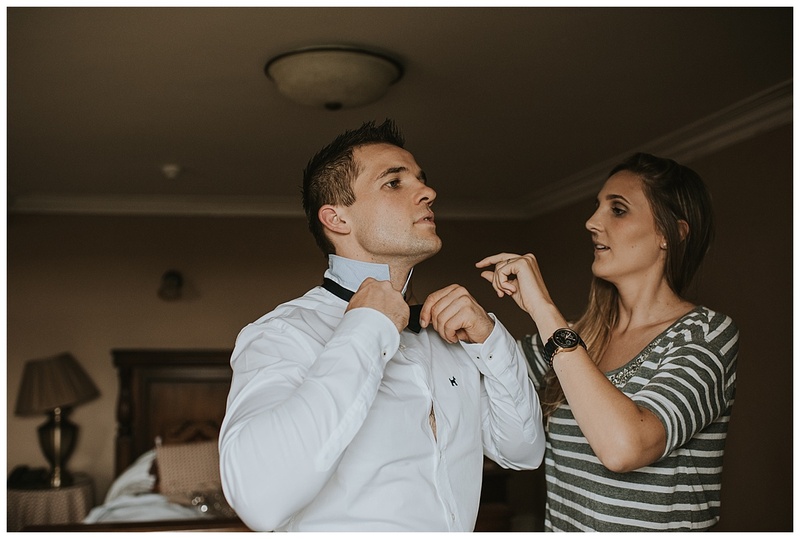 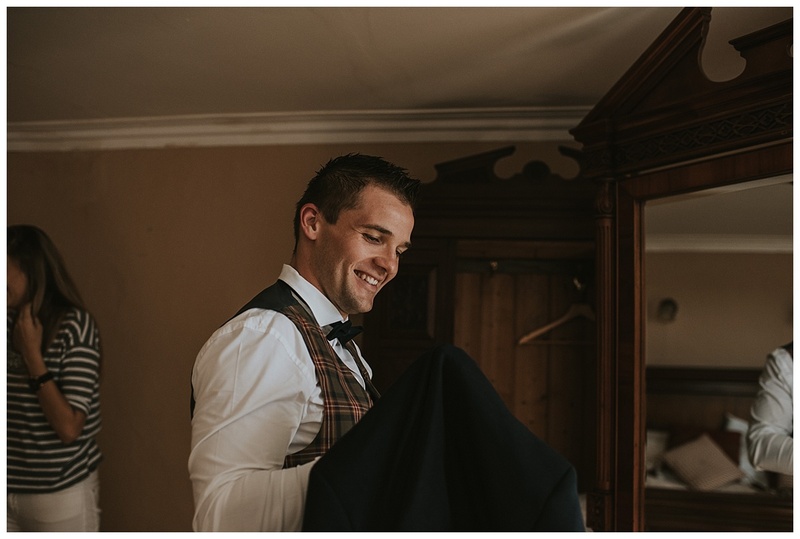 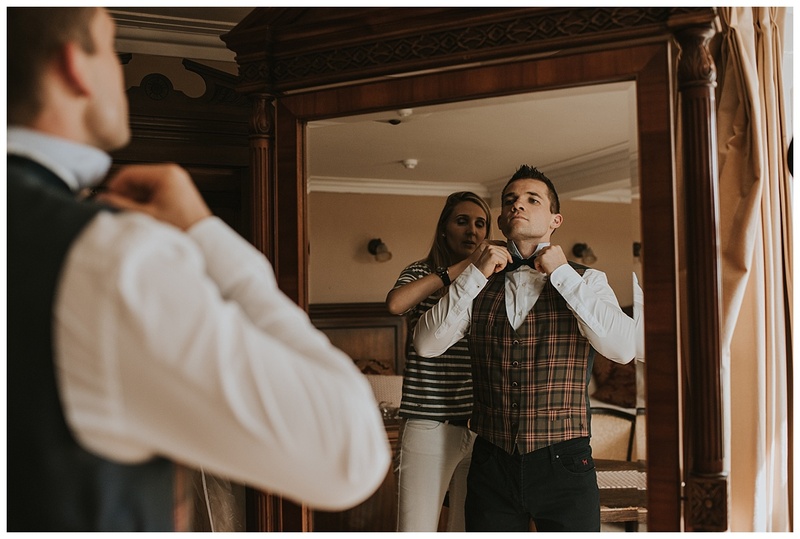 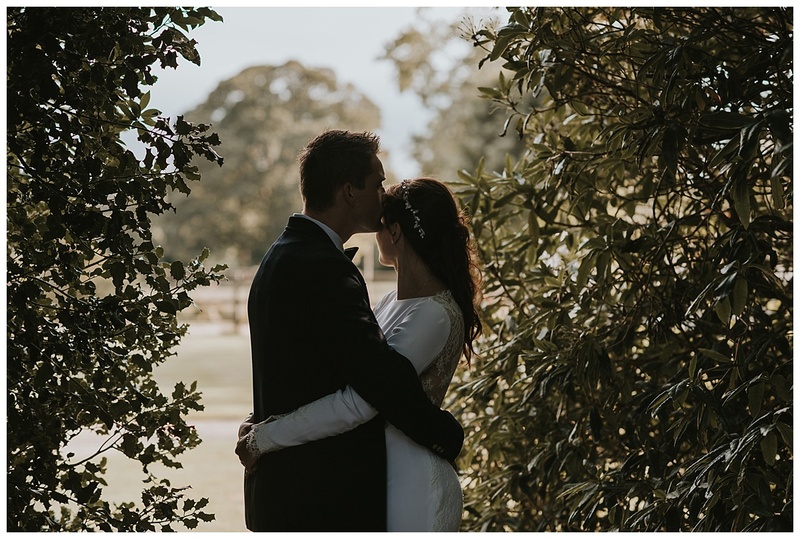 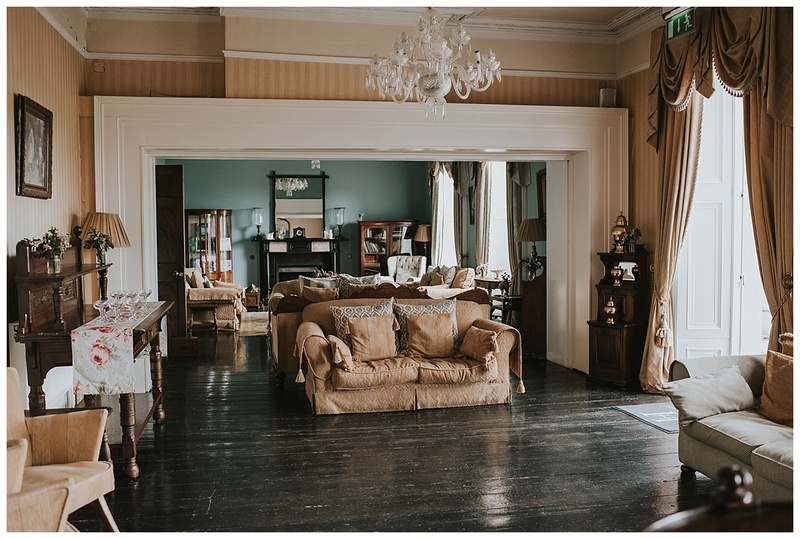 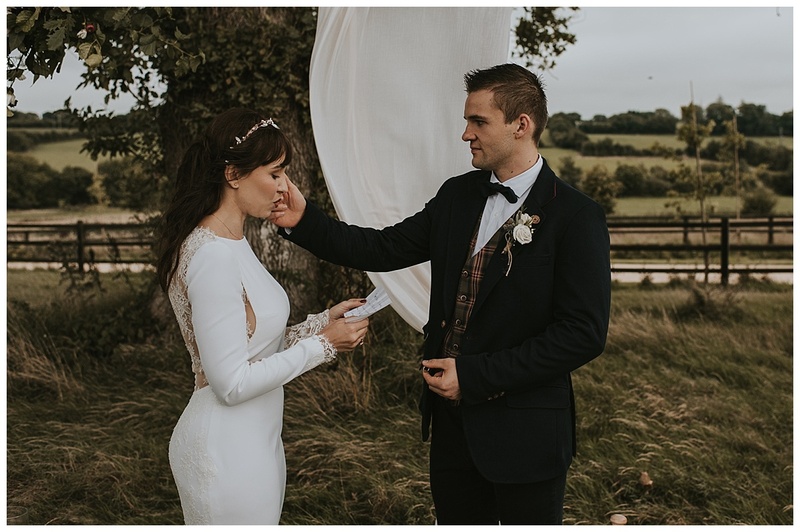 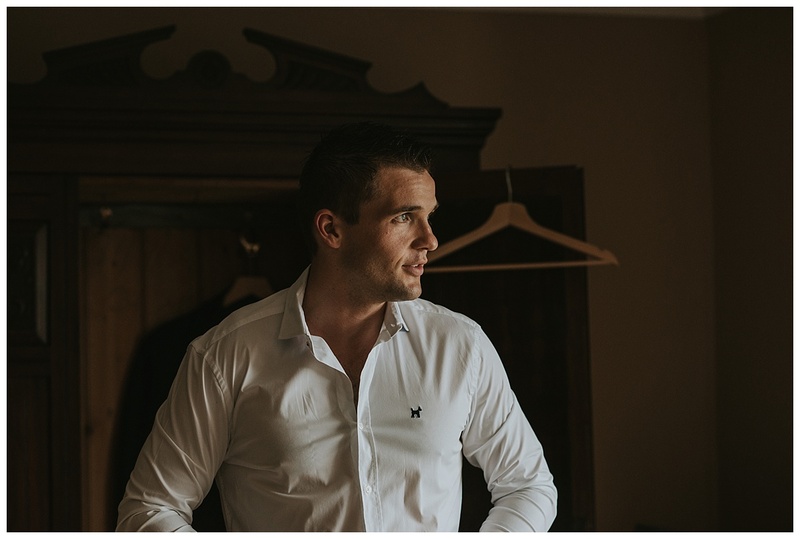 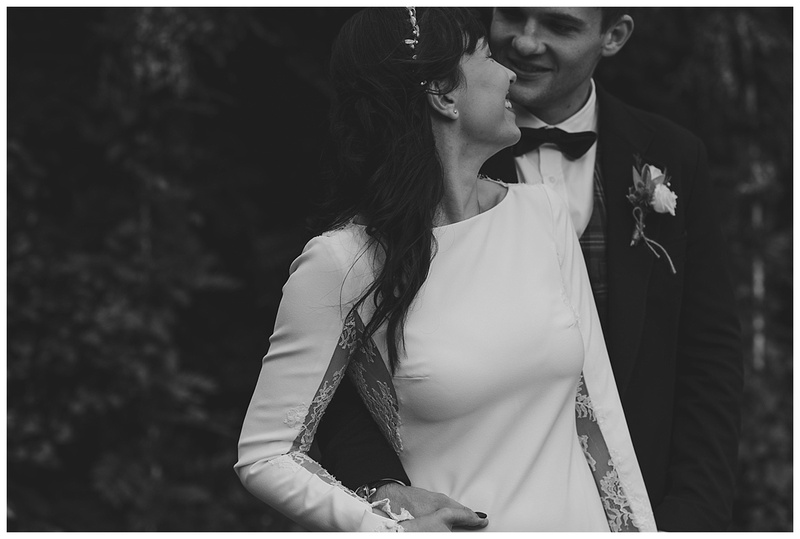 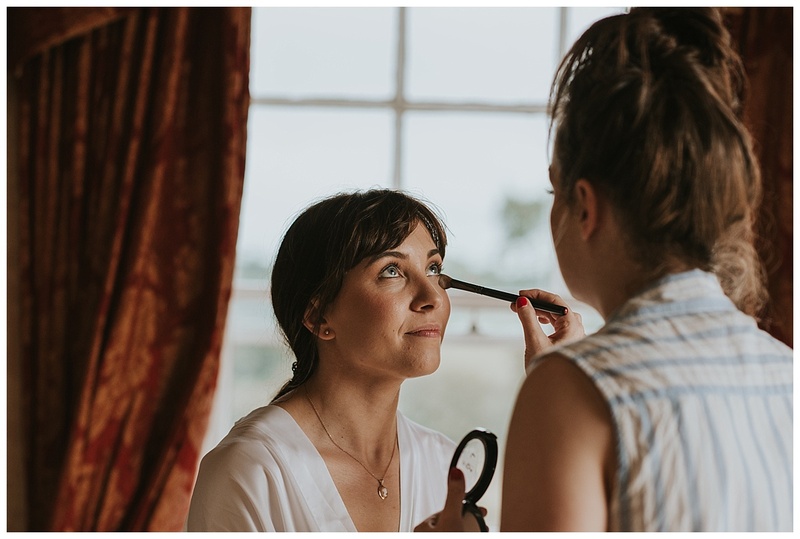 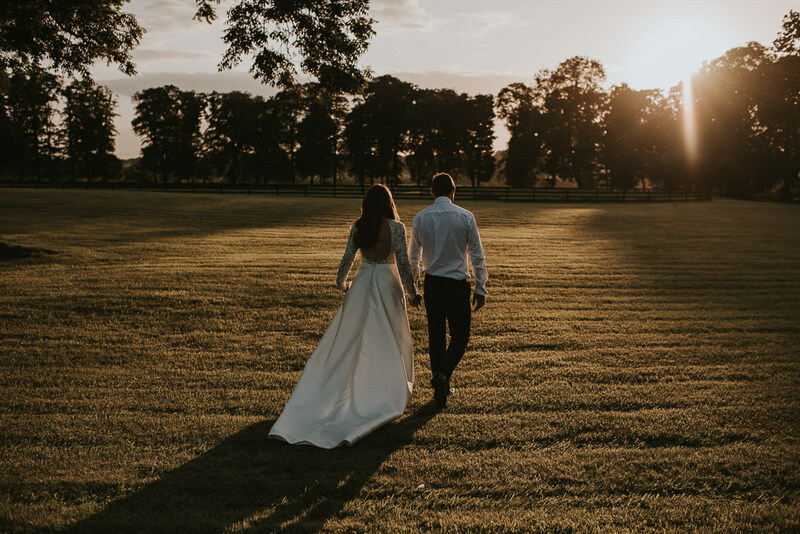 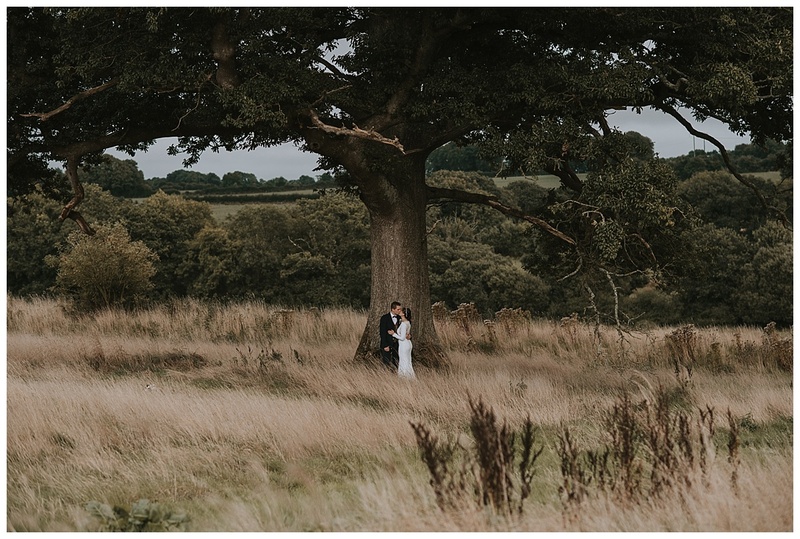 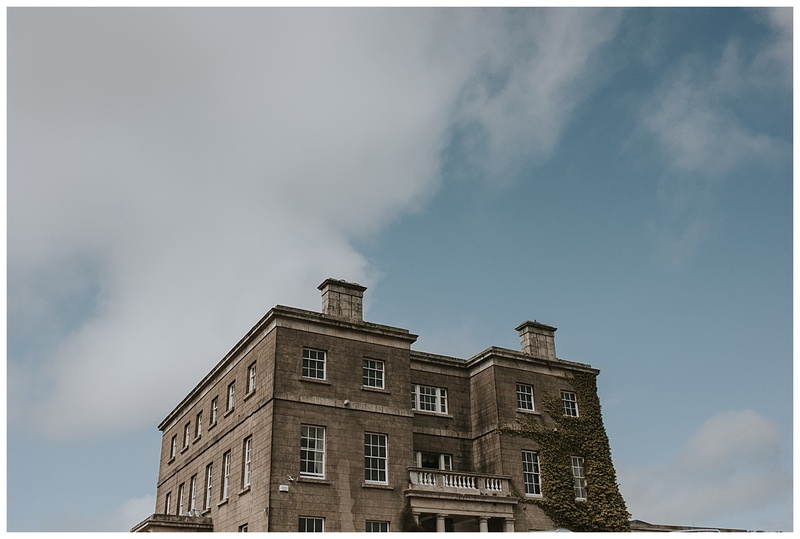 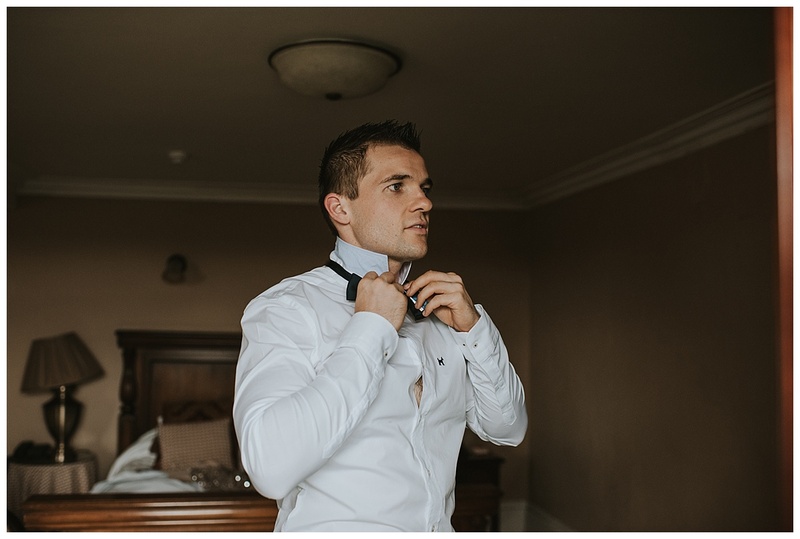 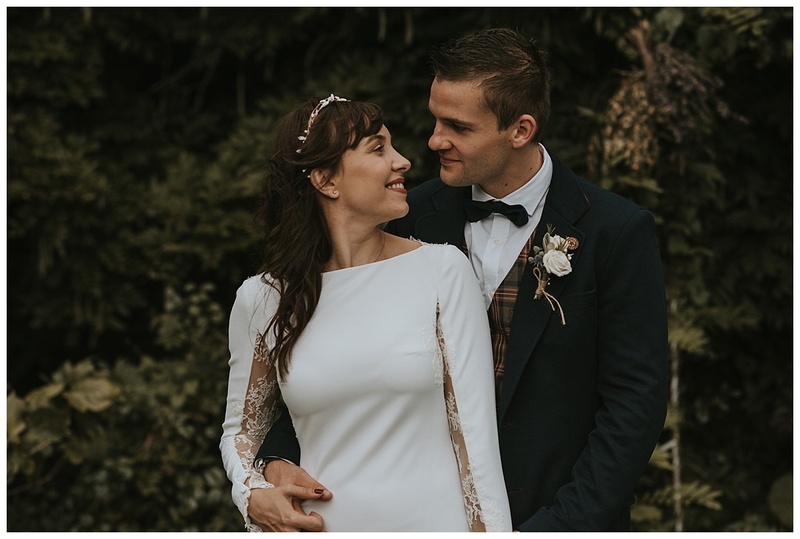 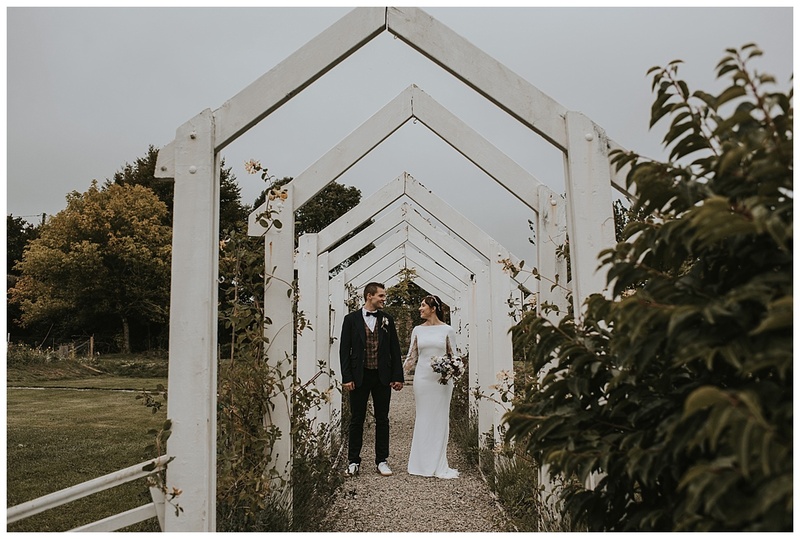 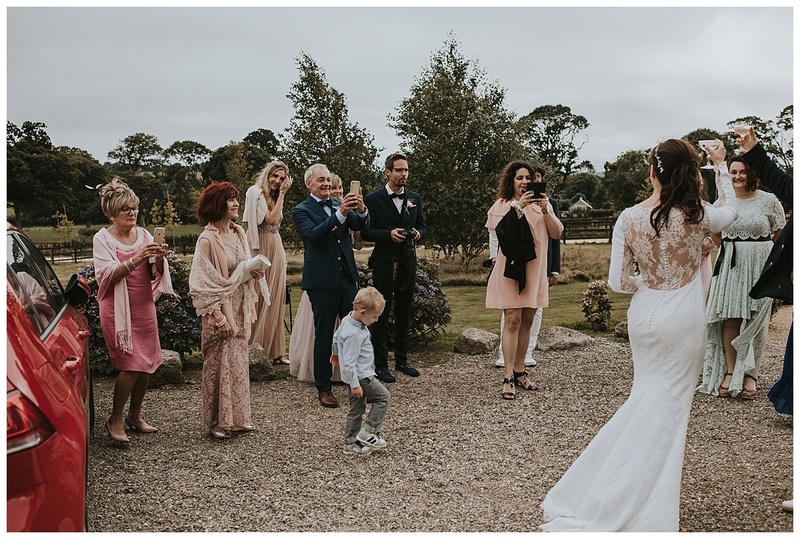 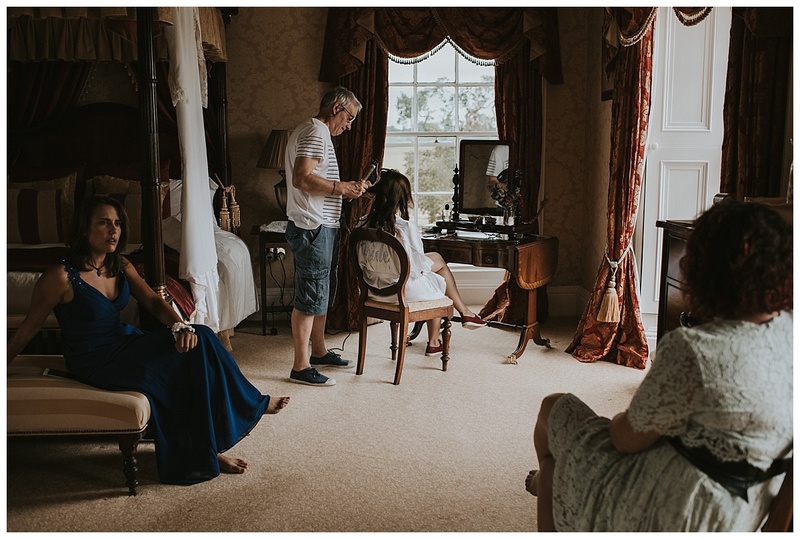 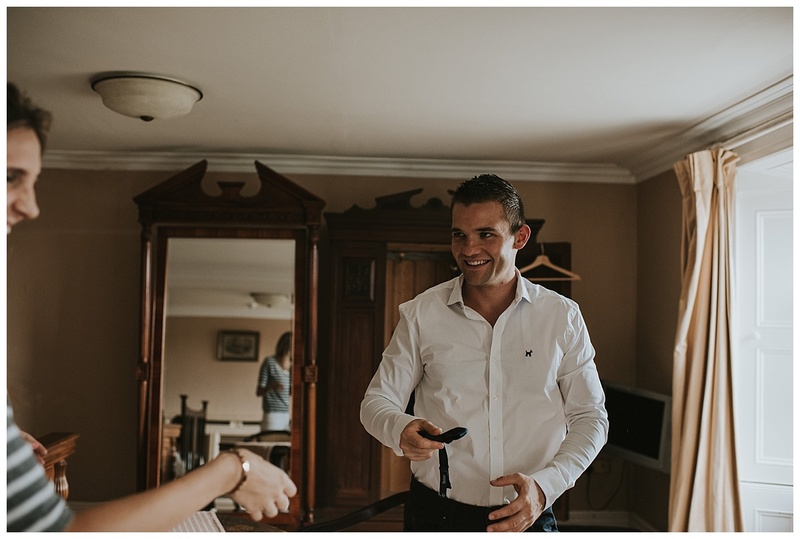 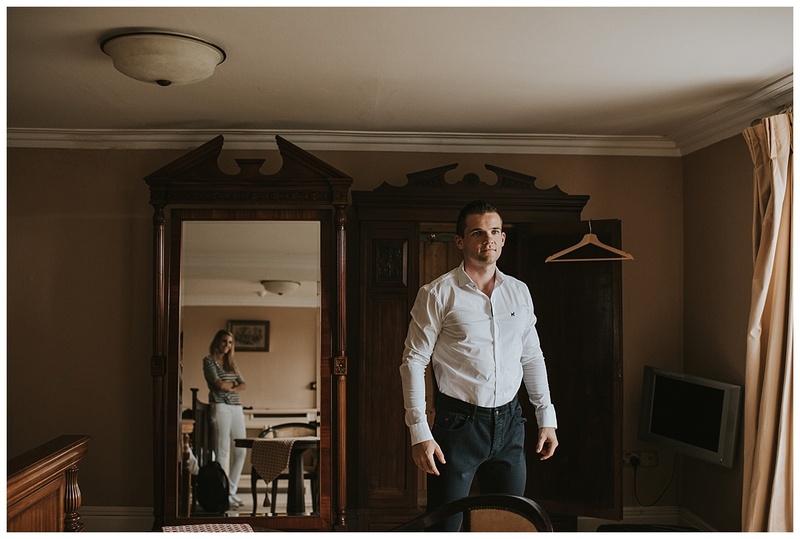 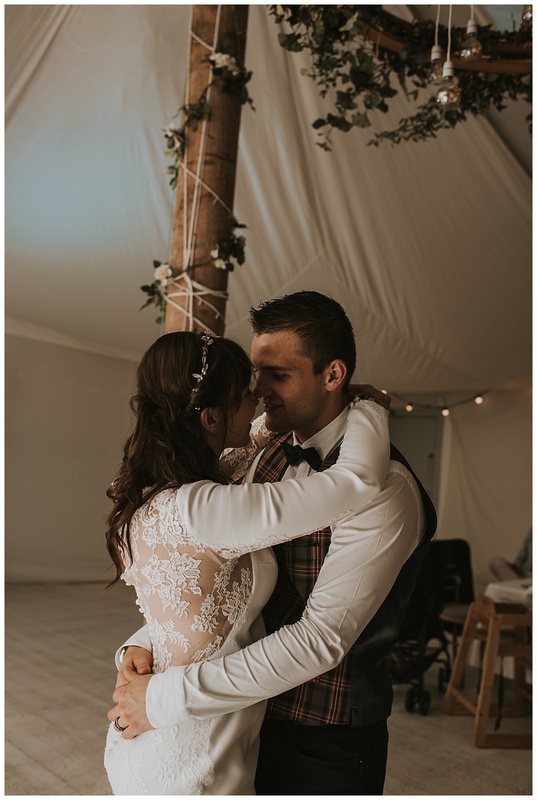 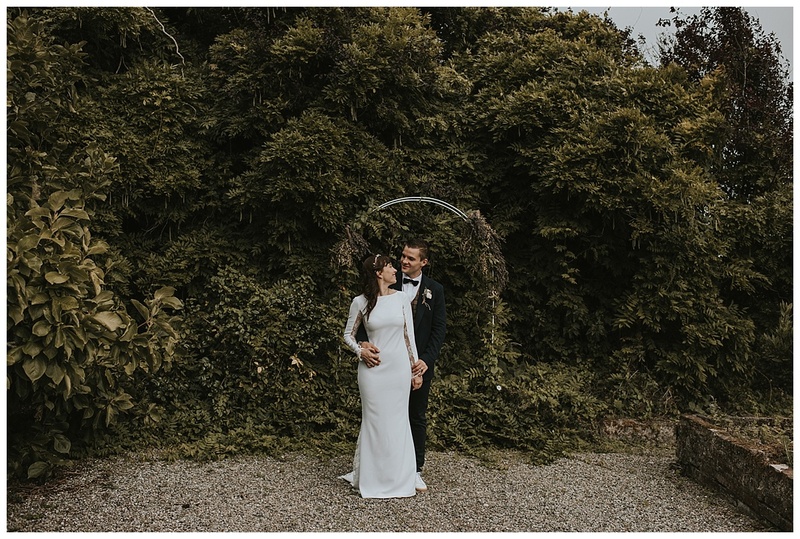 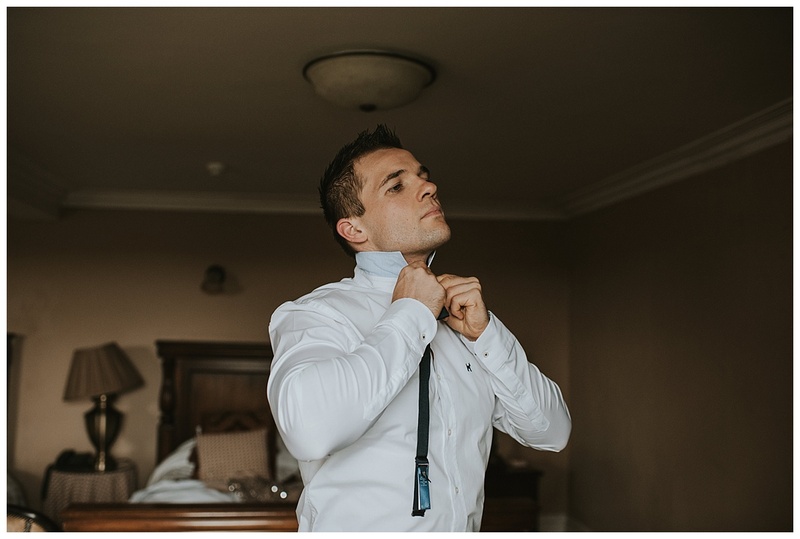 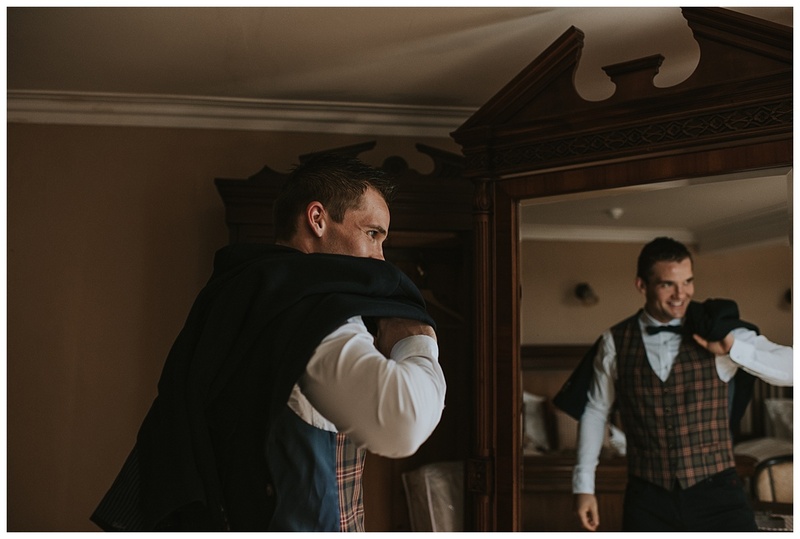 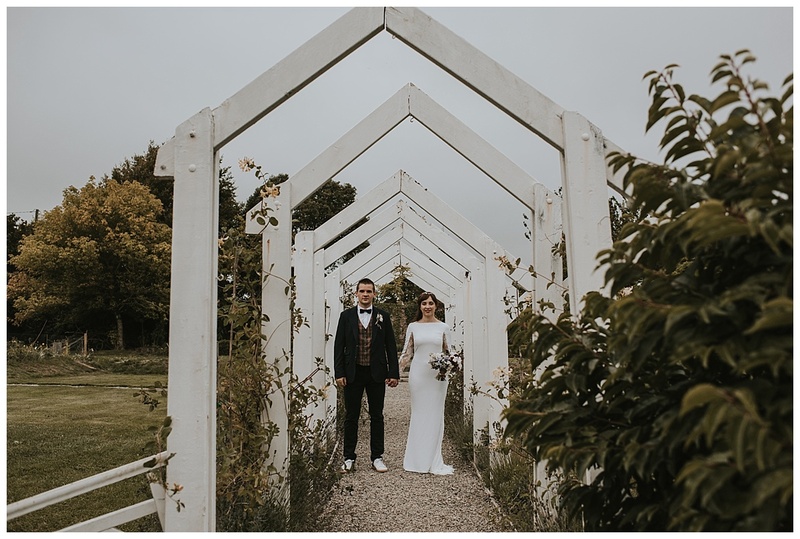 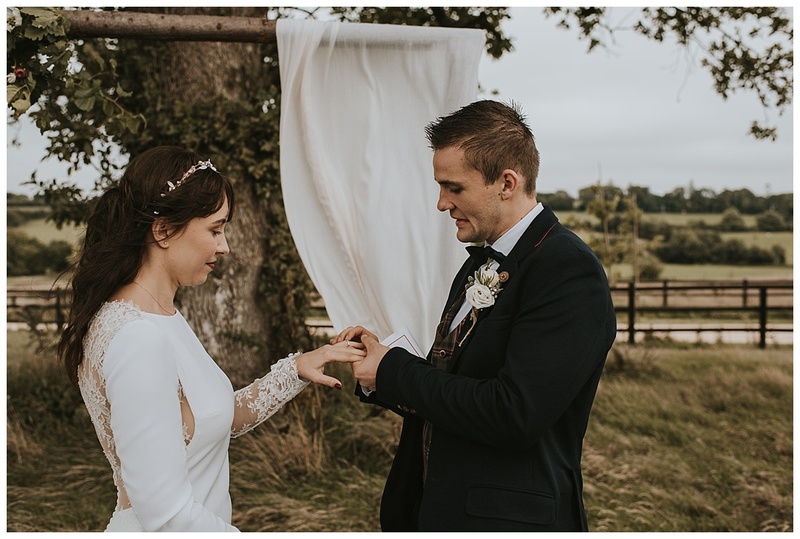 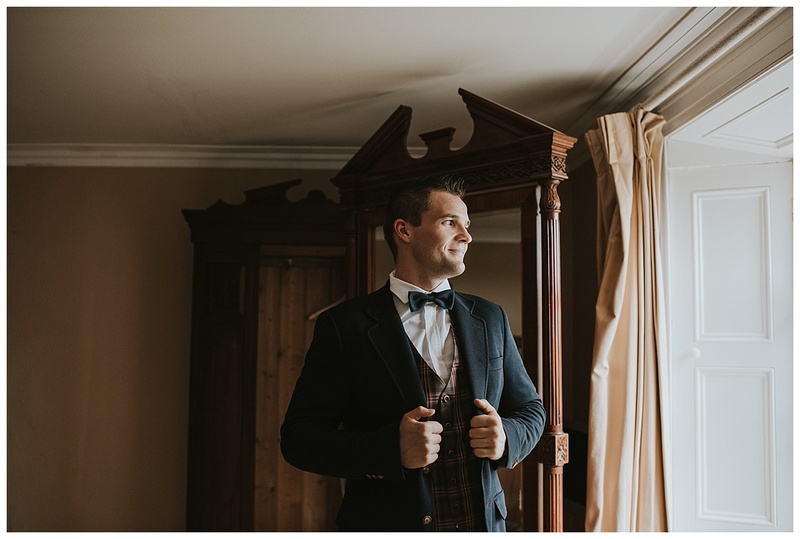 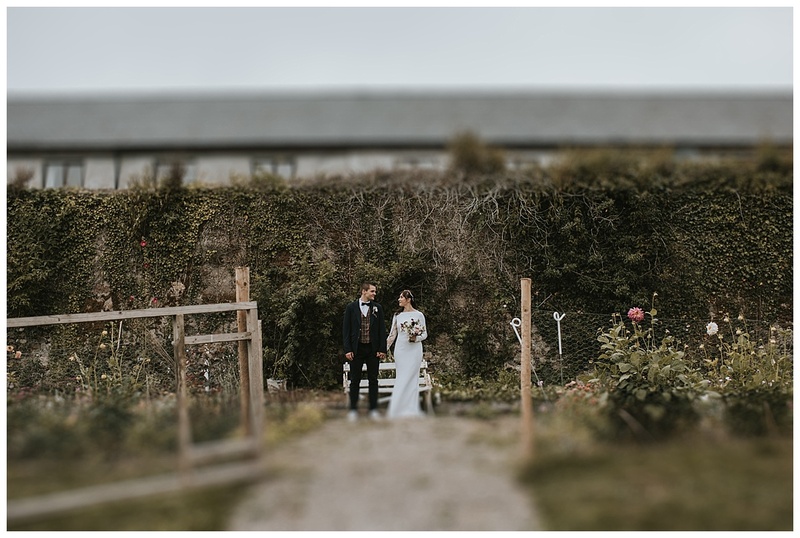 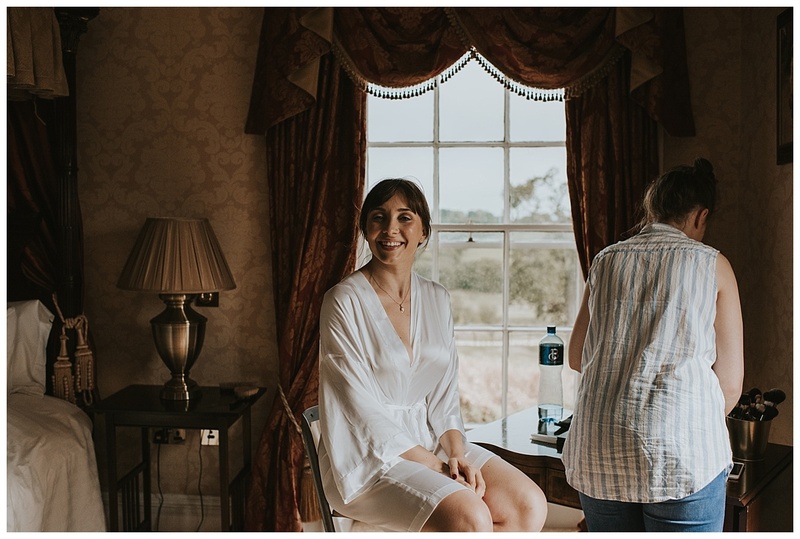 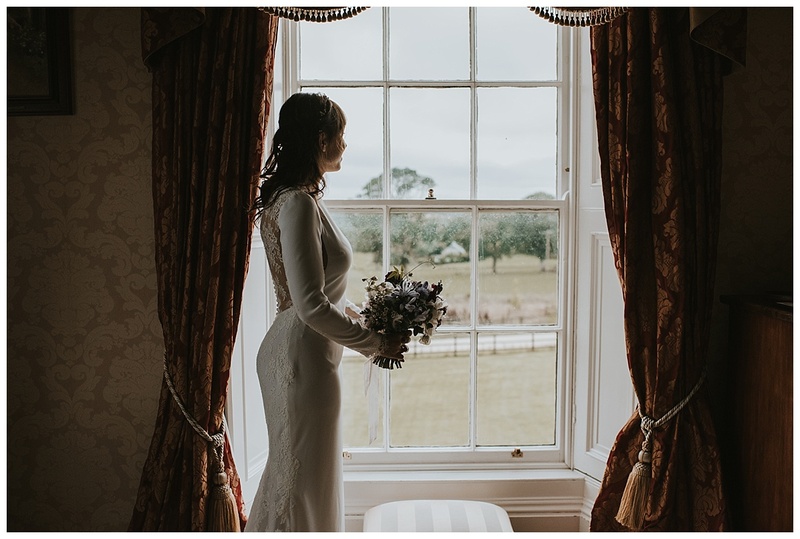 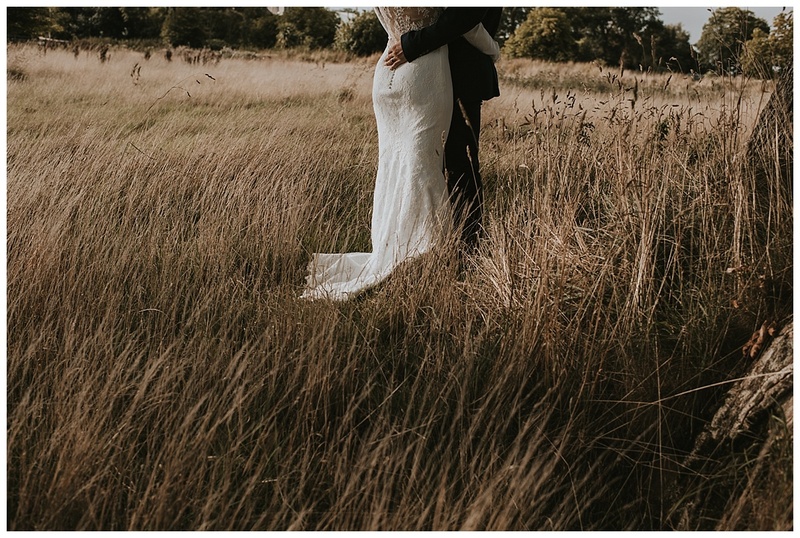 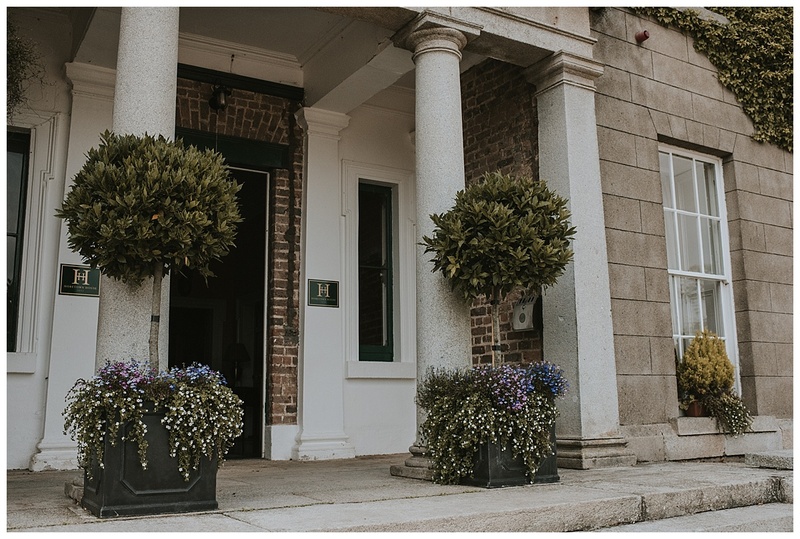 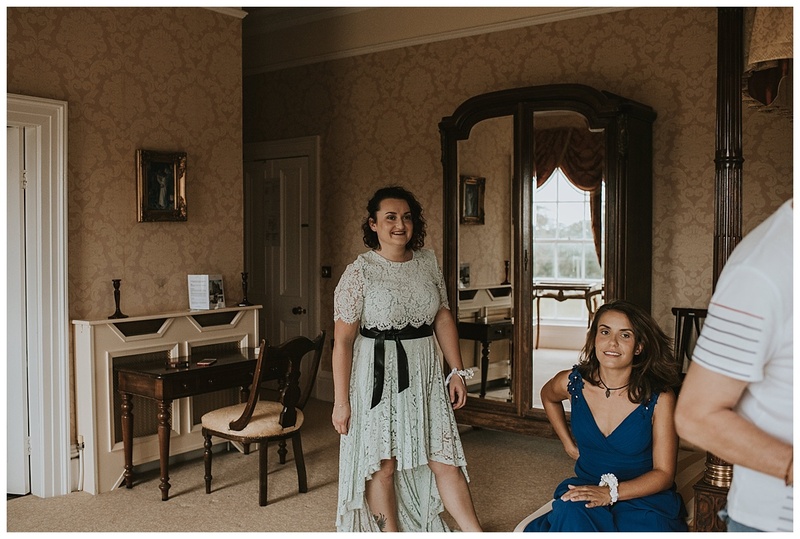 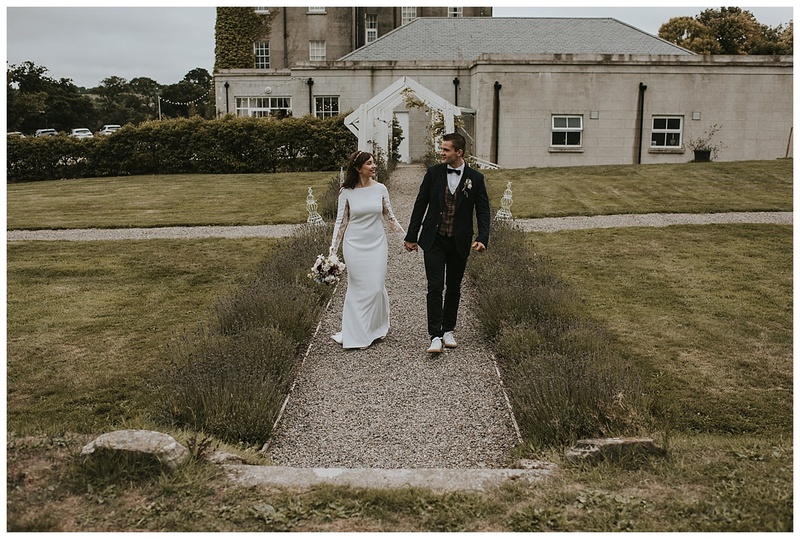 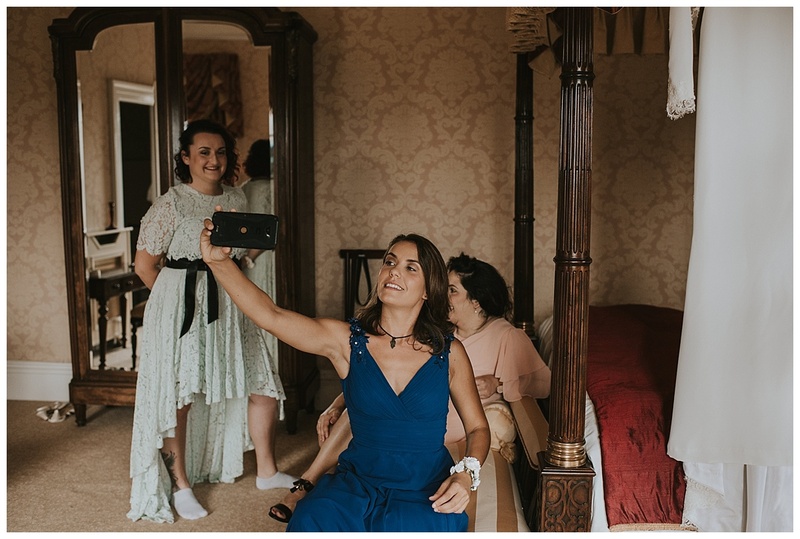 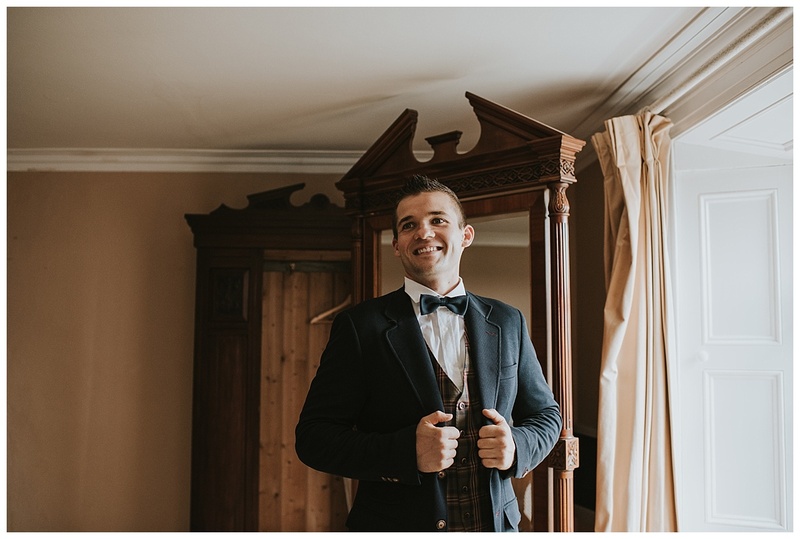 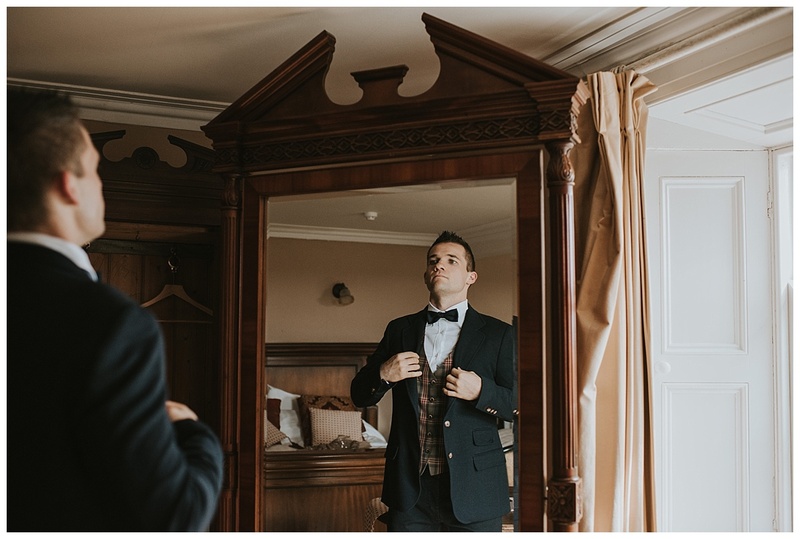 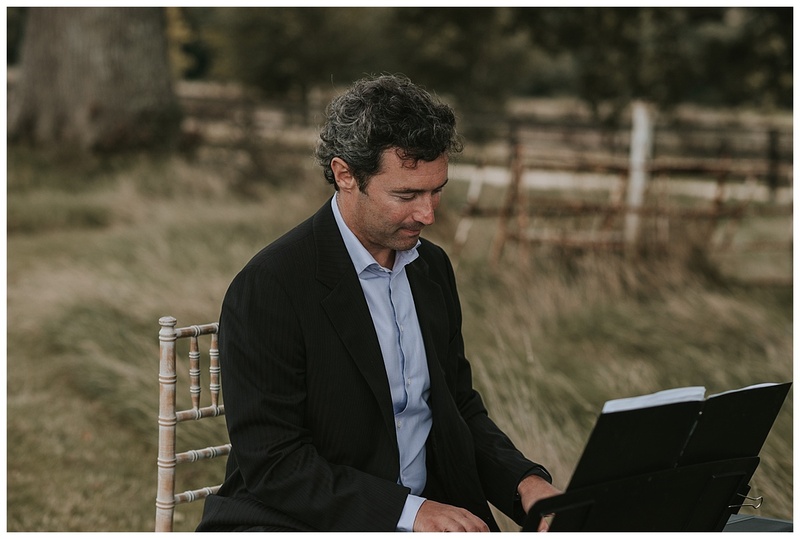 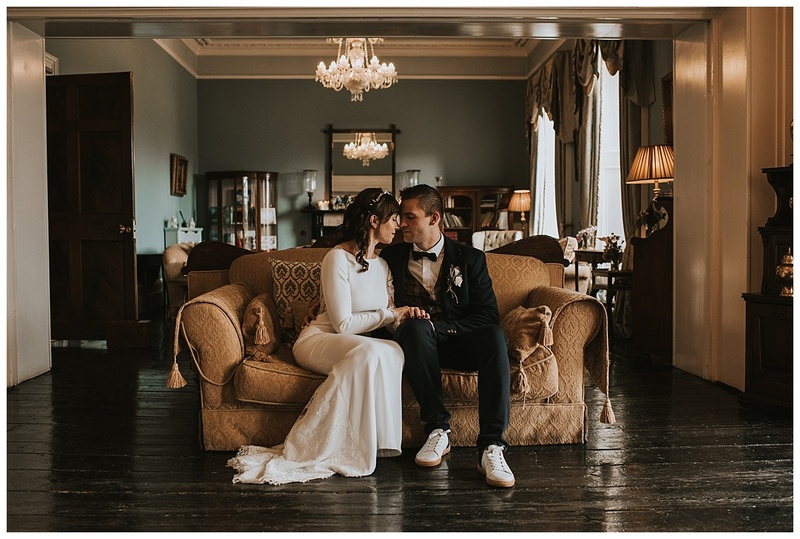 Back on a glorious Tuesday in August I had the pleasure of capturing the beautiful and intimate wedding of Allison and Jonathan at the wonderful Horetown House in Wexford. 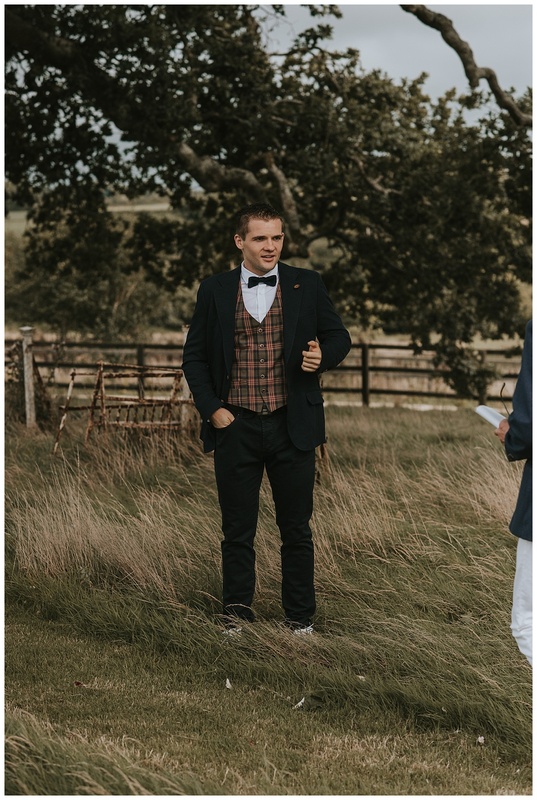 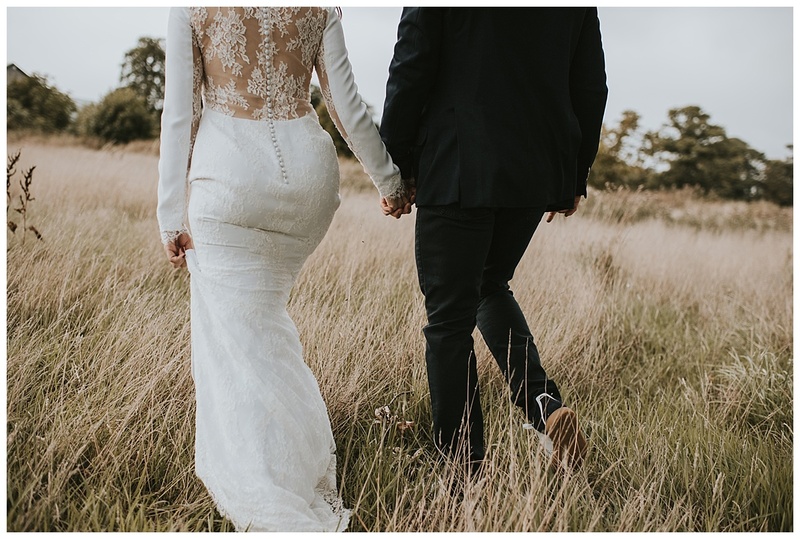 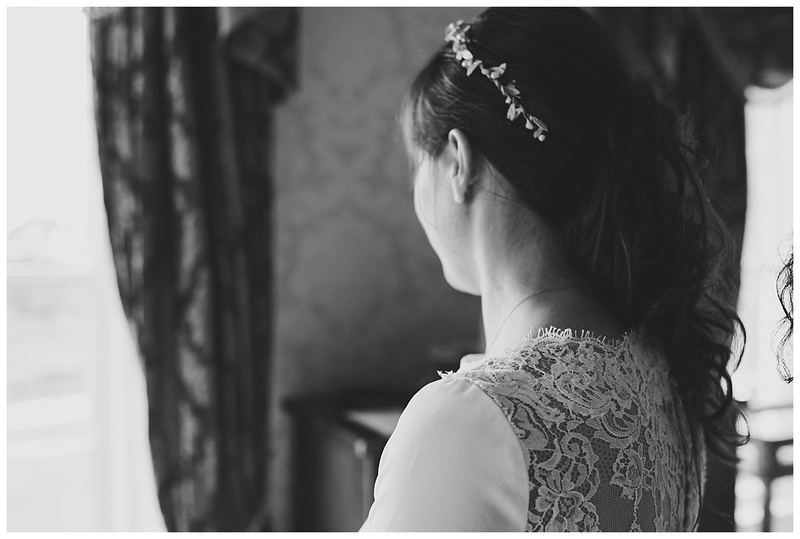 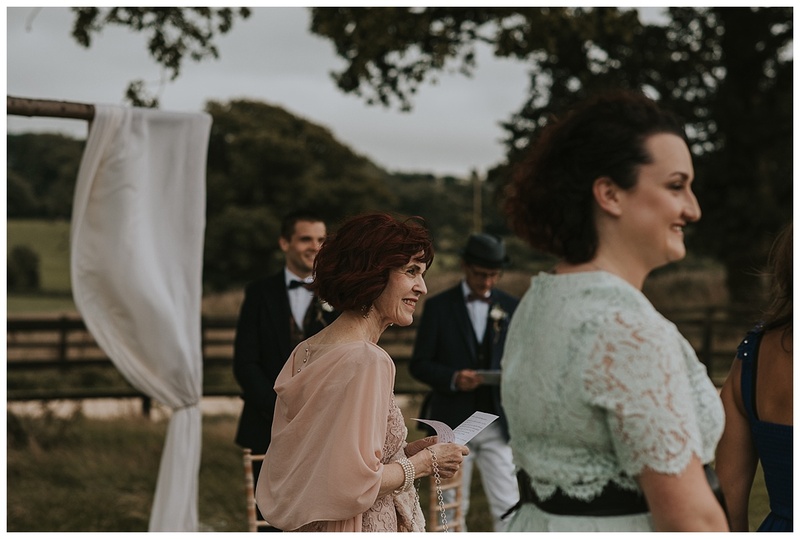 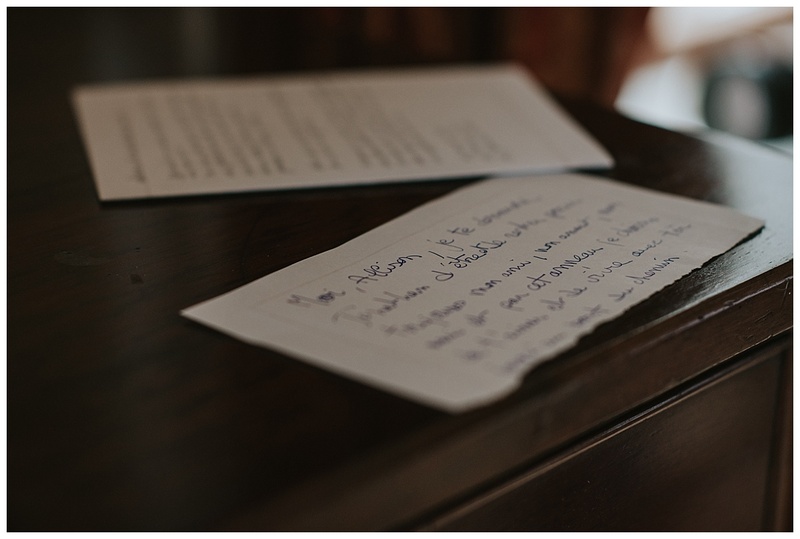 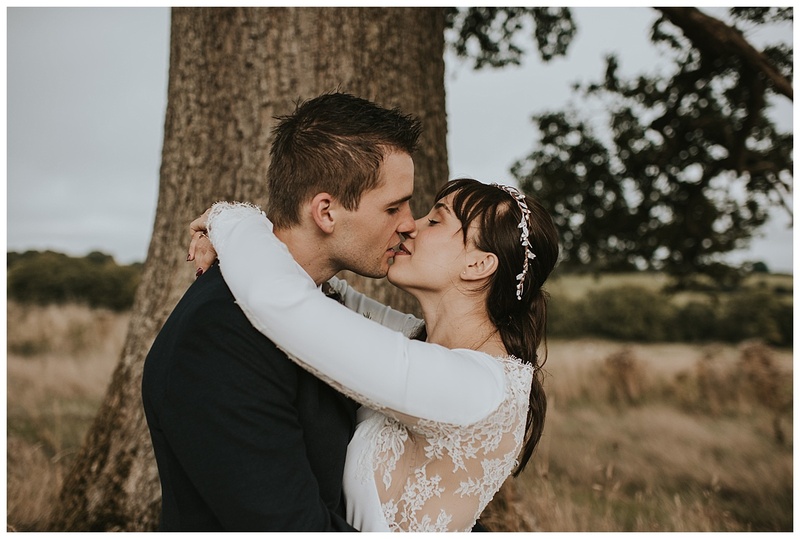 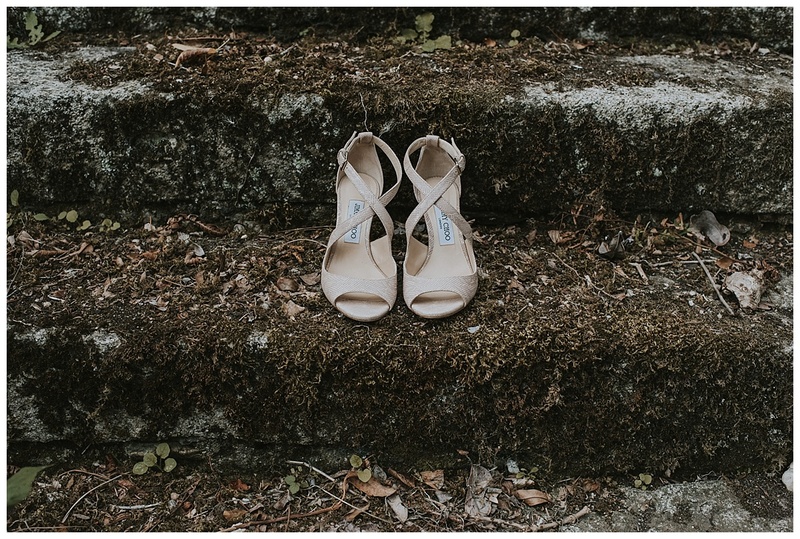 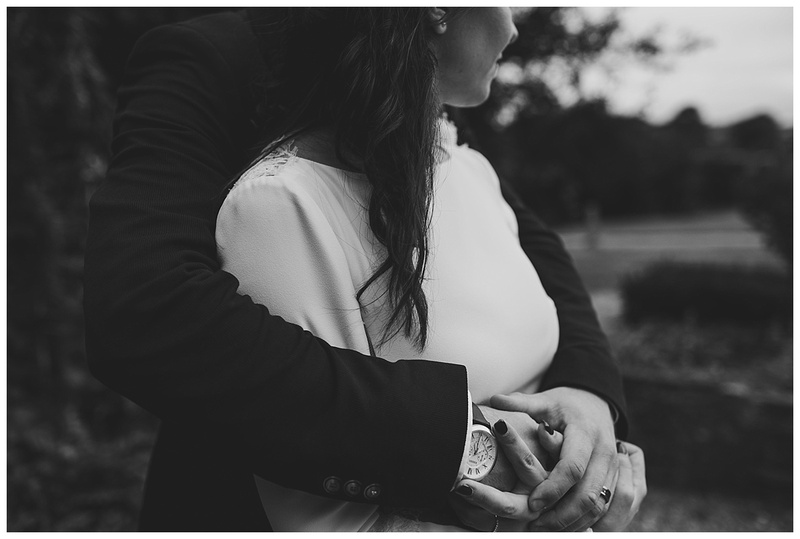 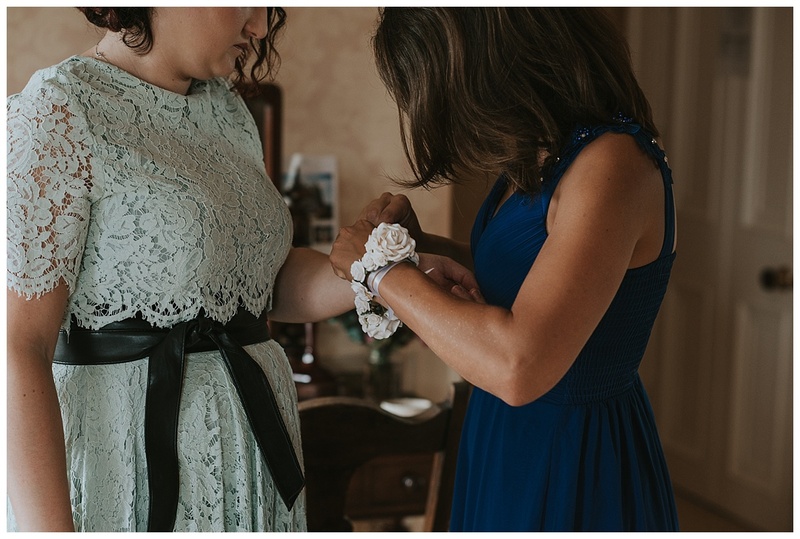 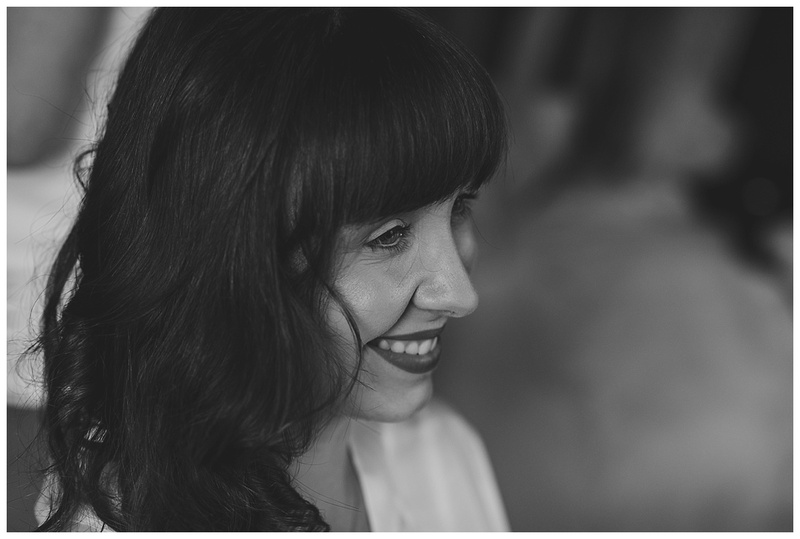 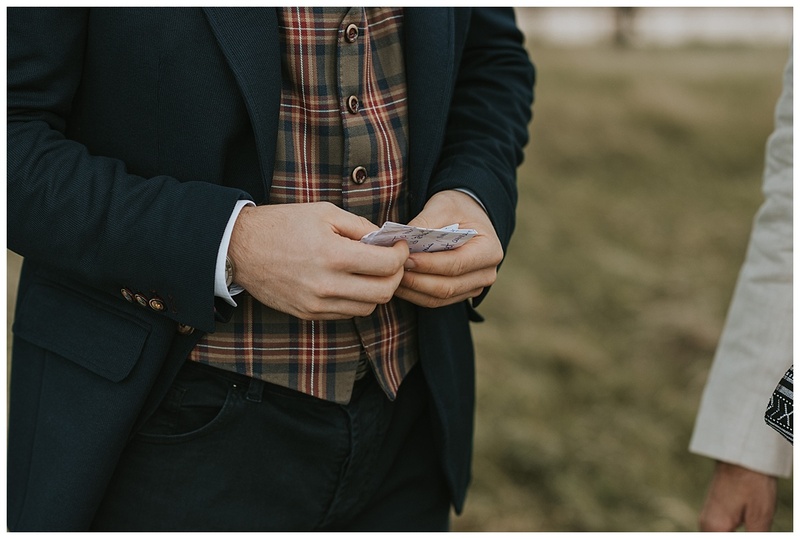 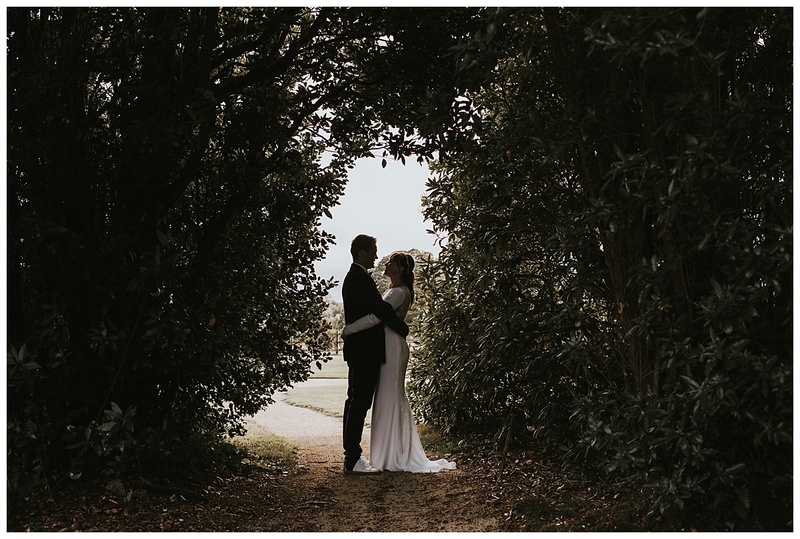 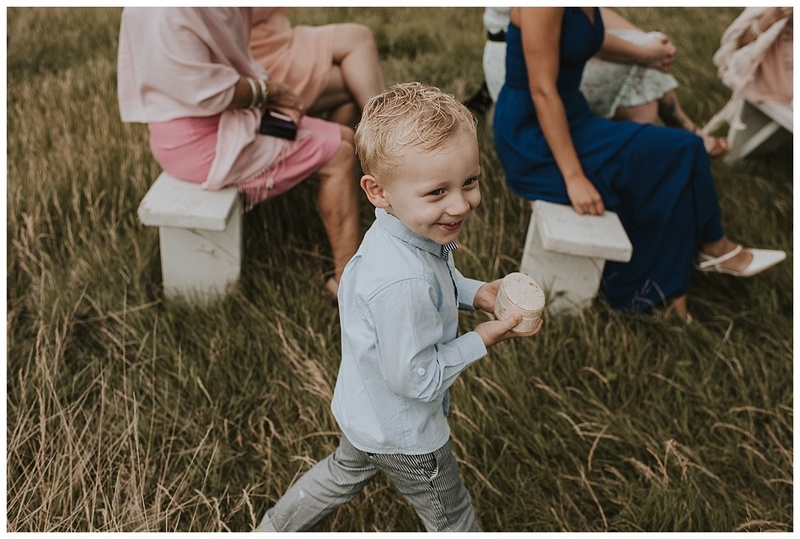 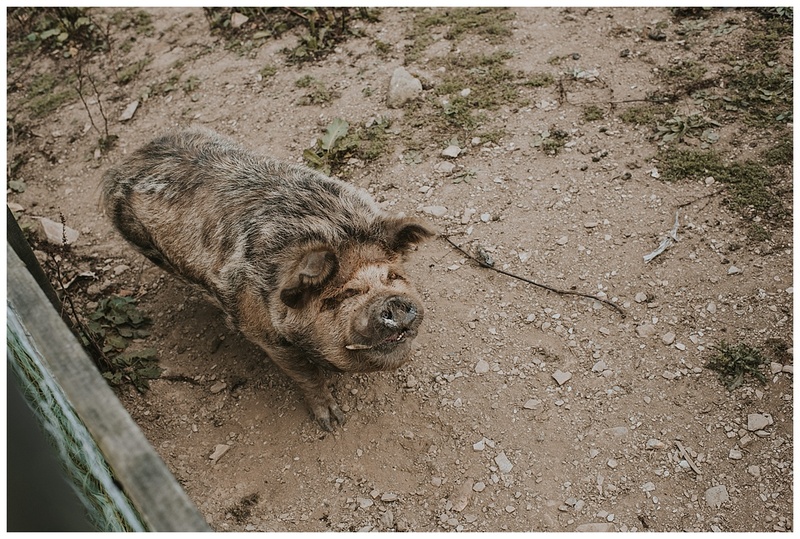 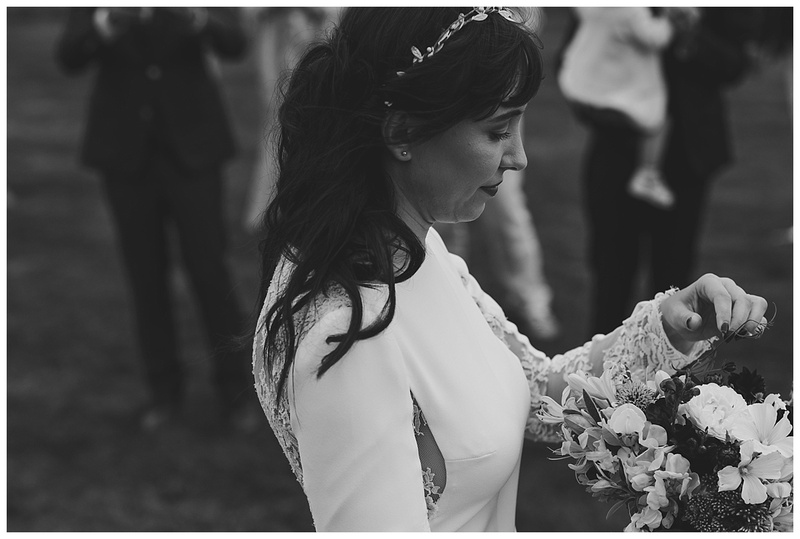 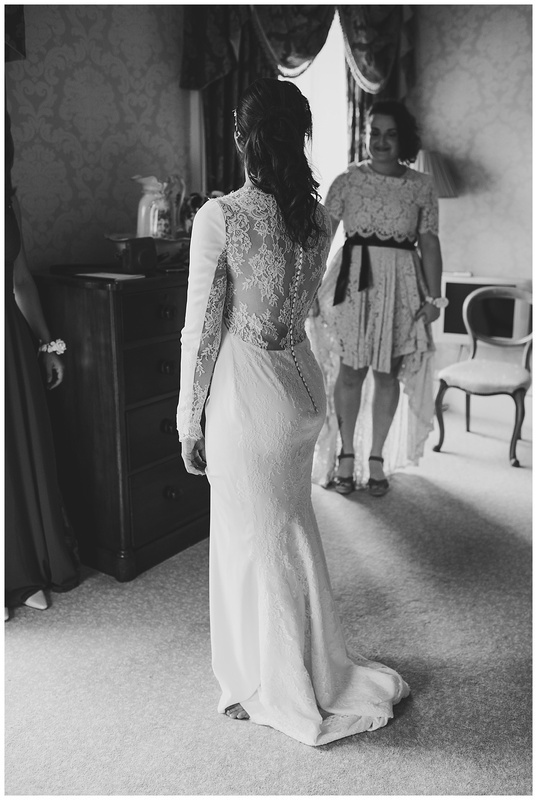 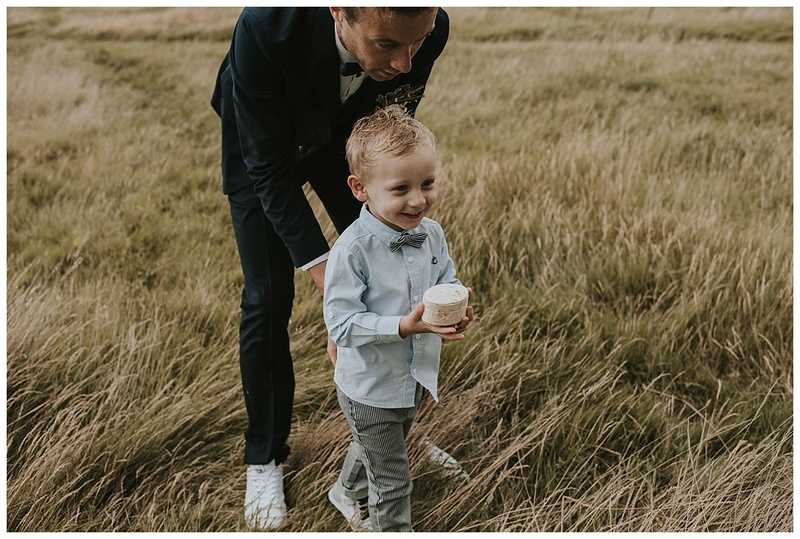 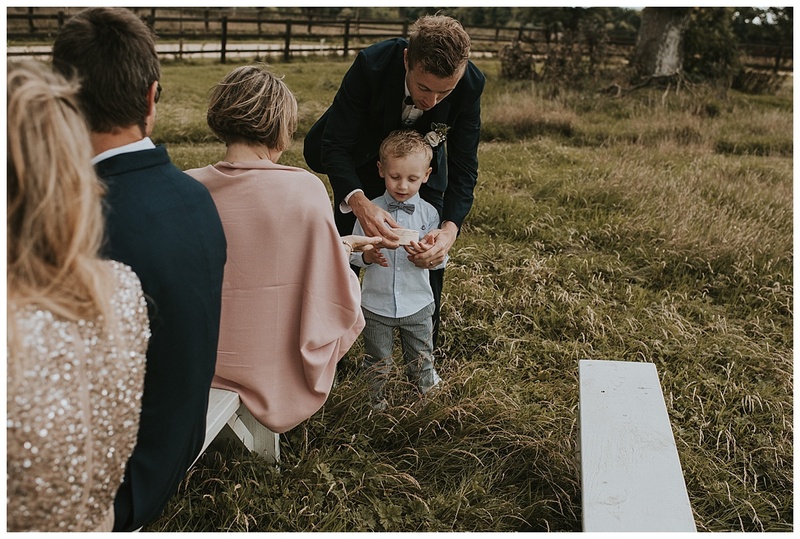 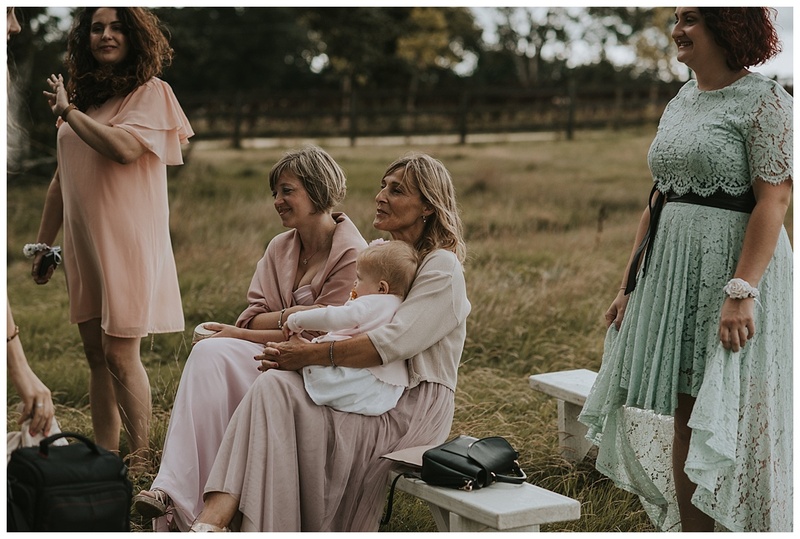 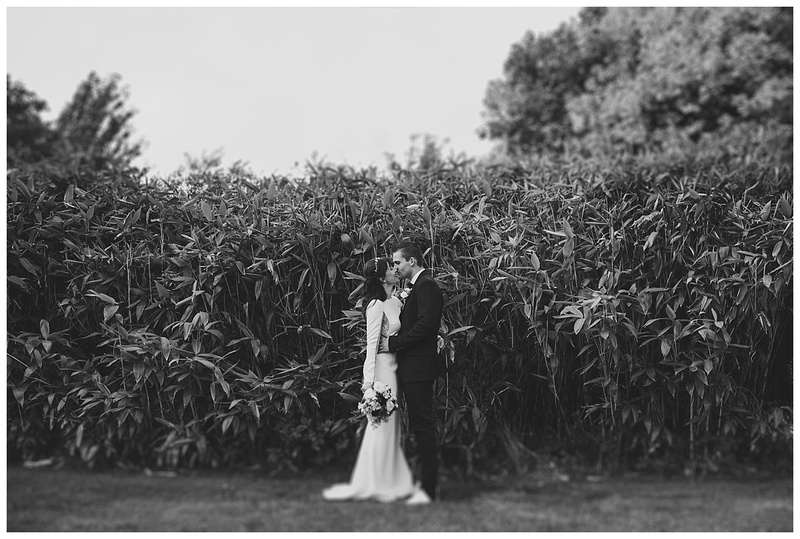 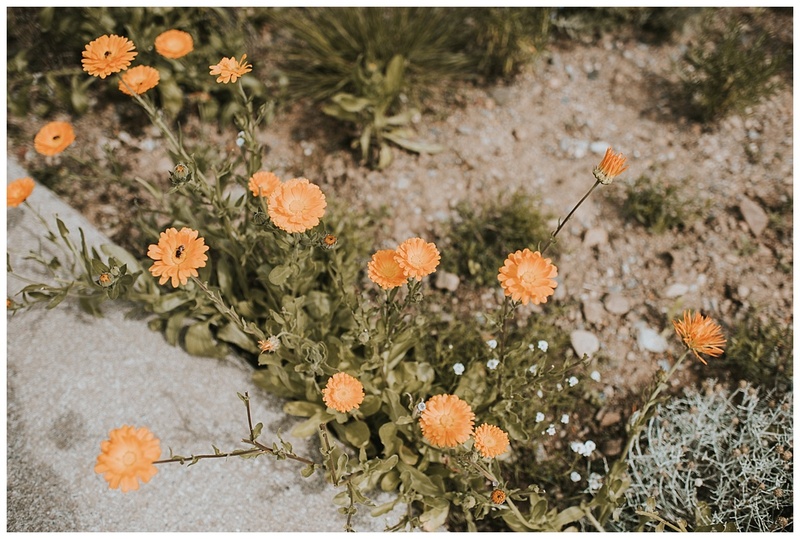 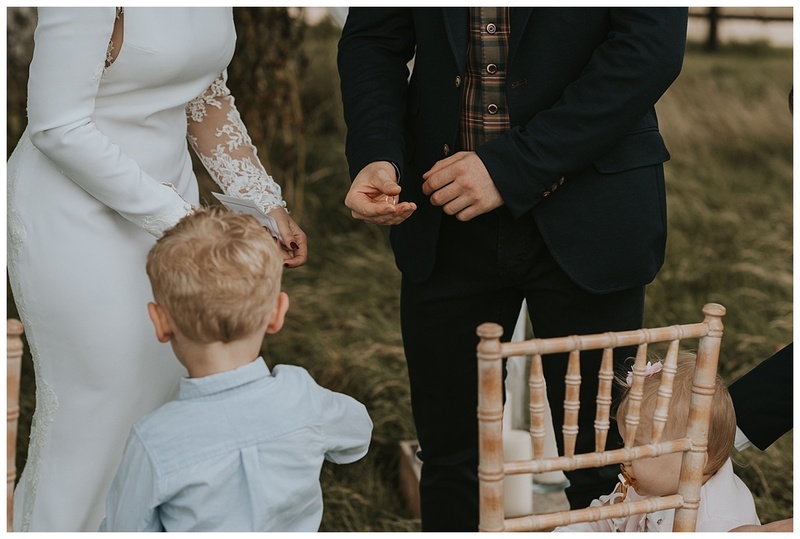 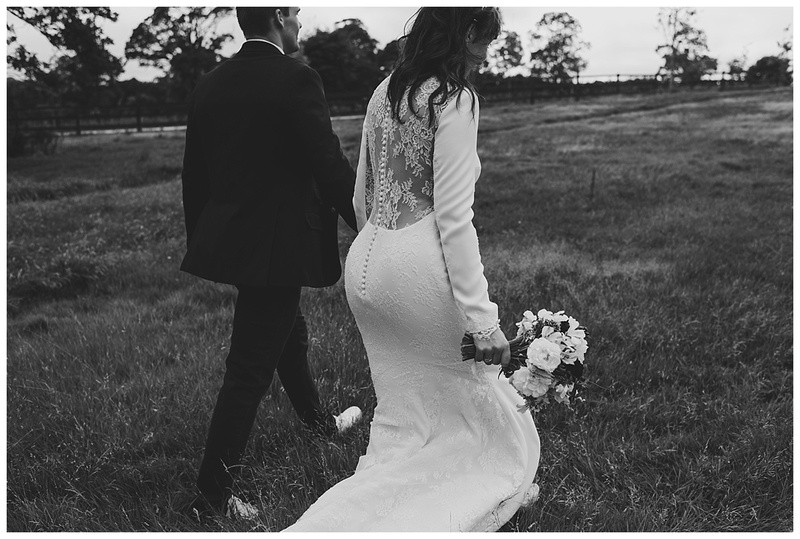 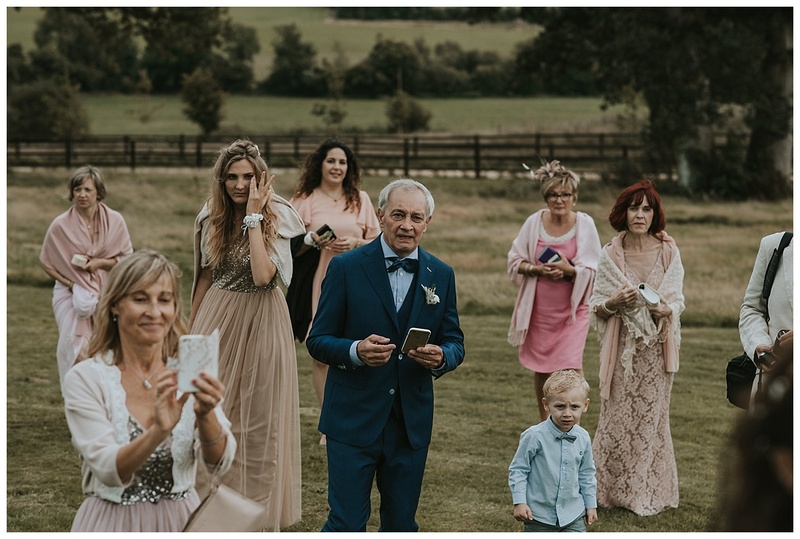 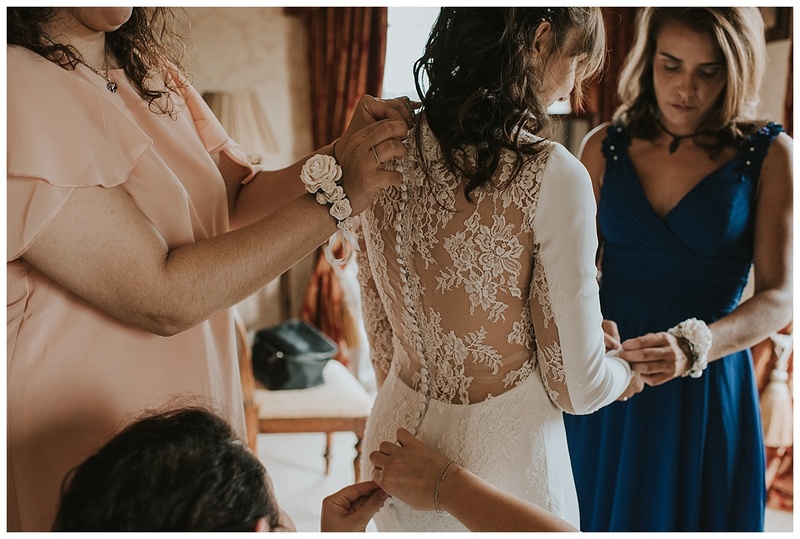 It is no secret that I absolutely love small weddings and this one was no exception. 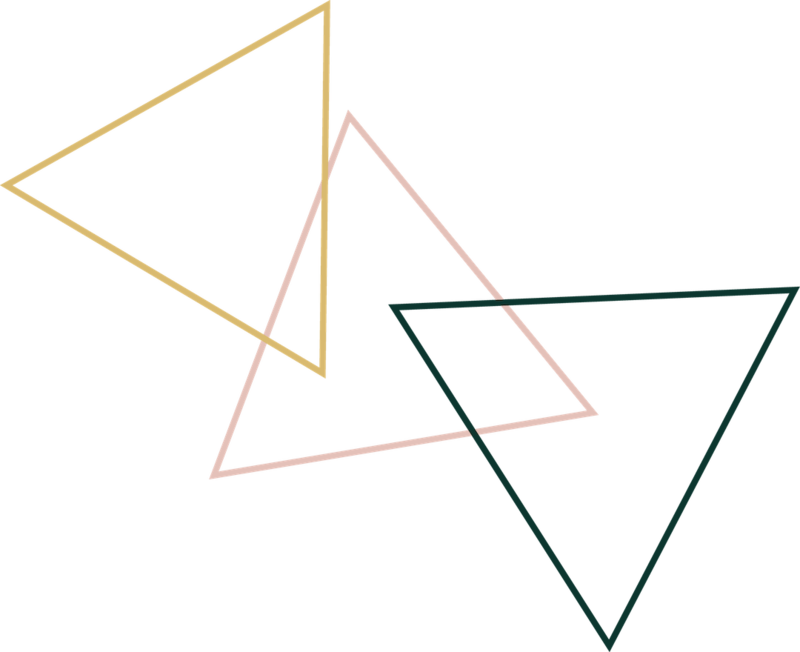 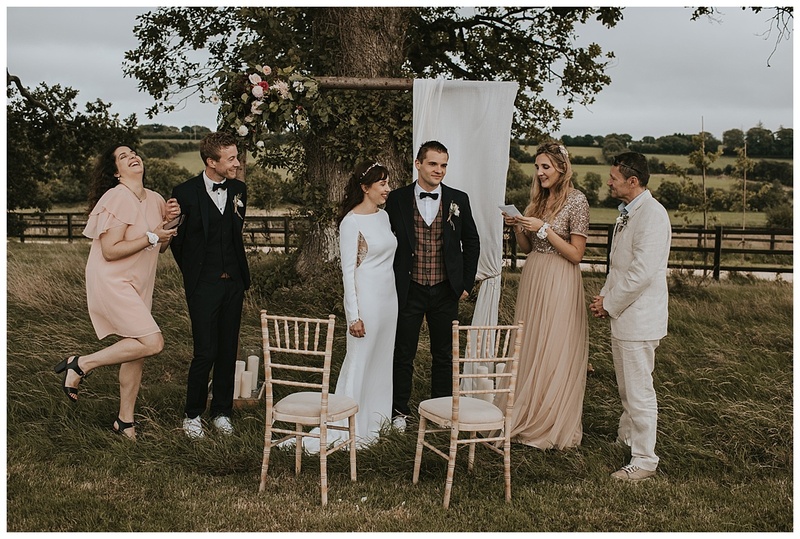 Allison and Jonathan had travelled from Monaco with just their closest friends and family to get married in Ireland. 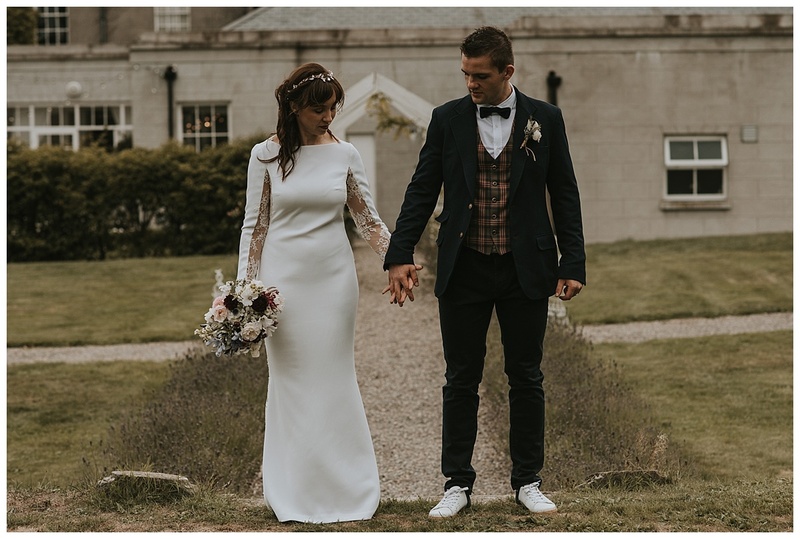 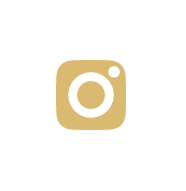 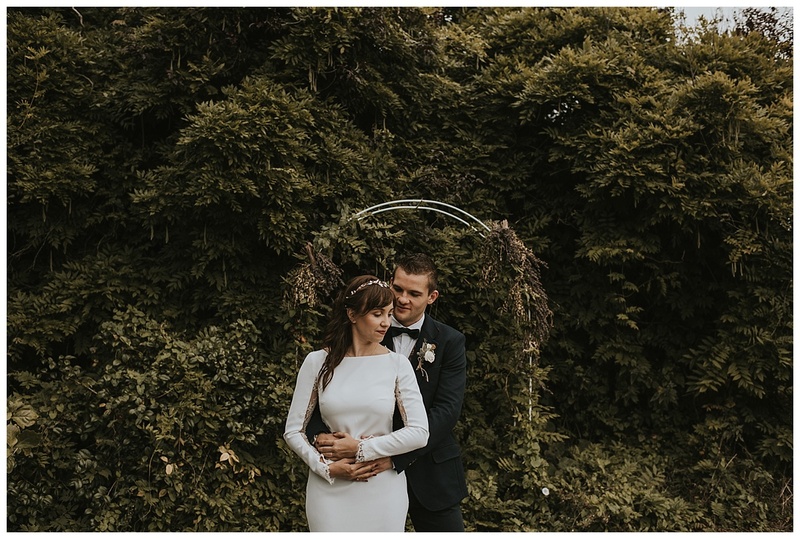 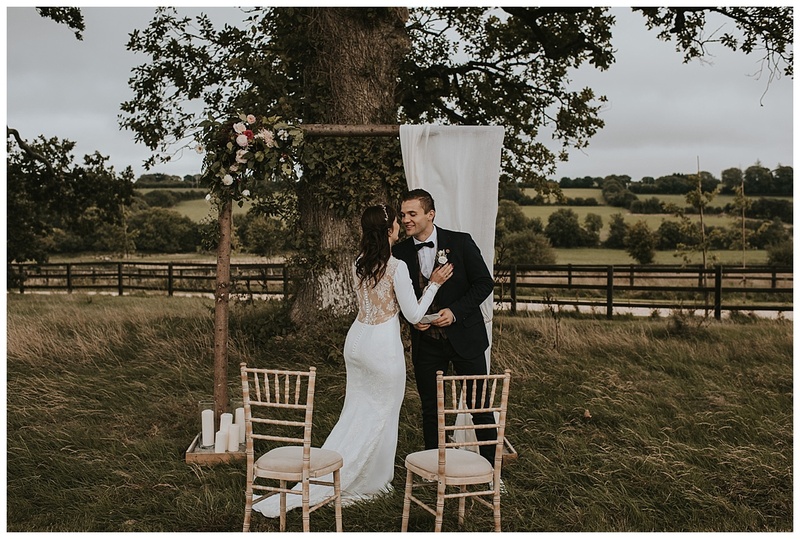 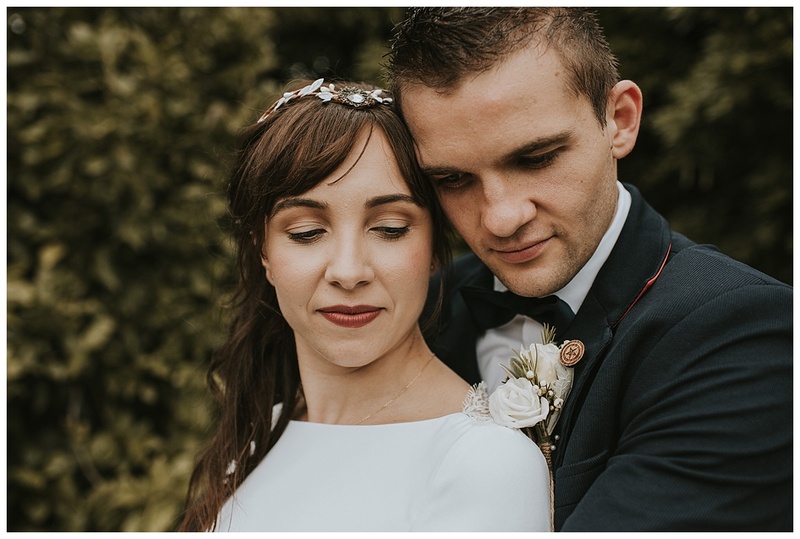 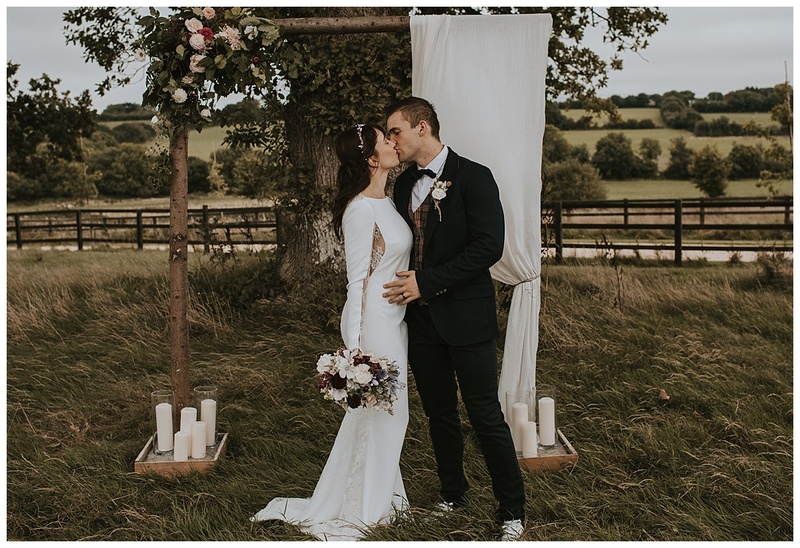 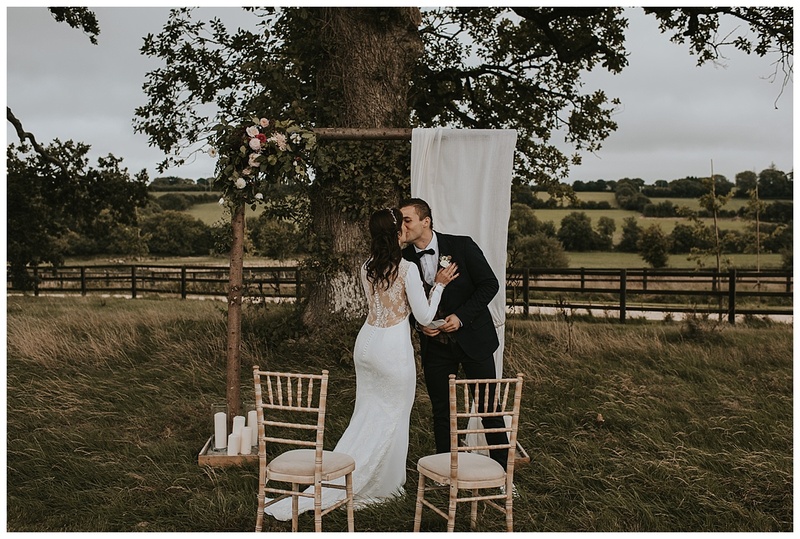 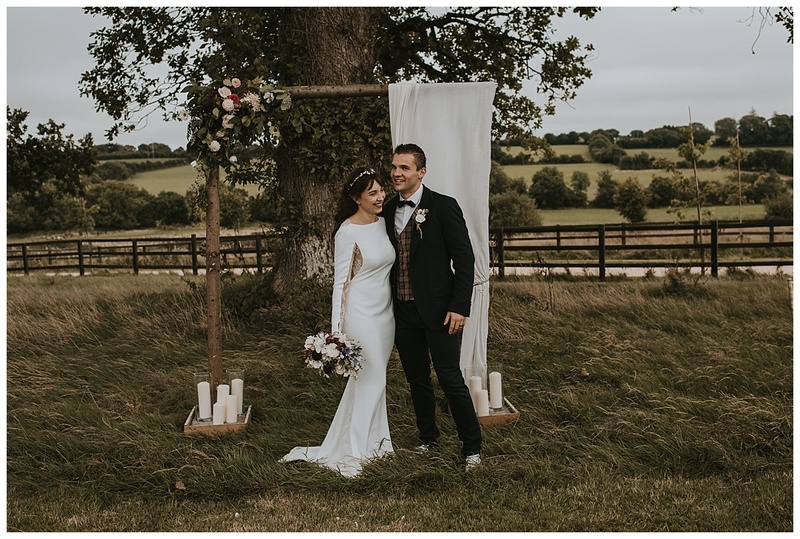 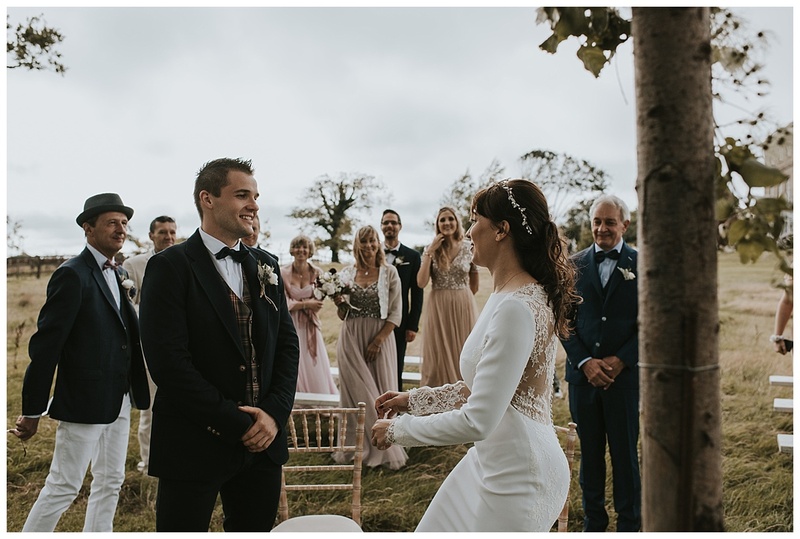 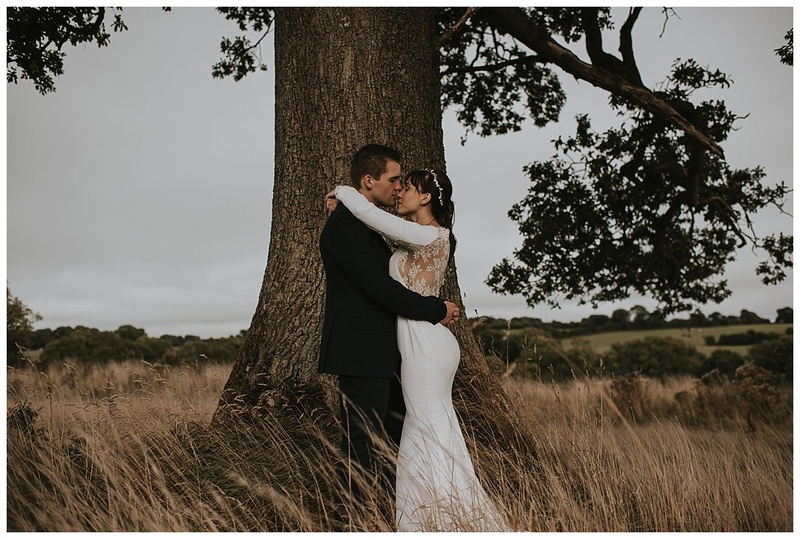 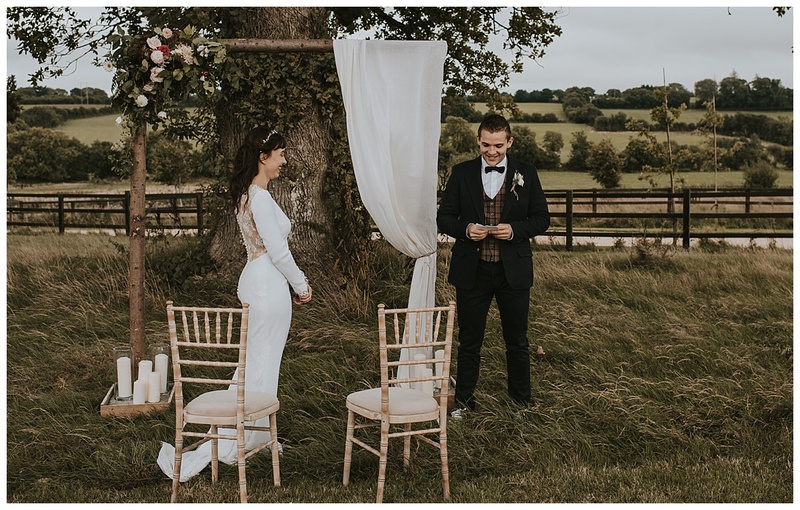 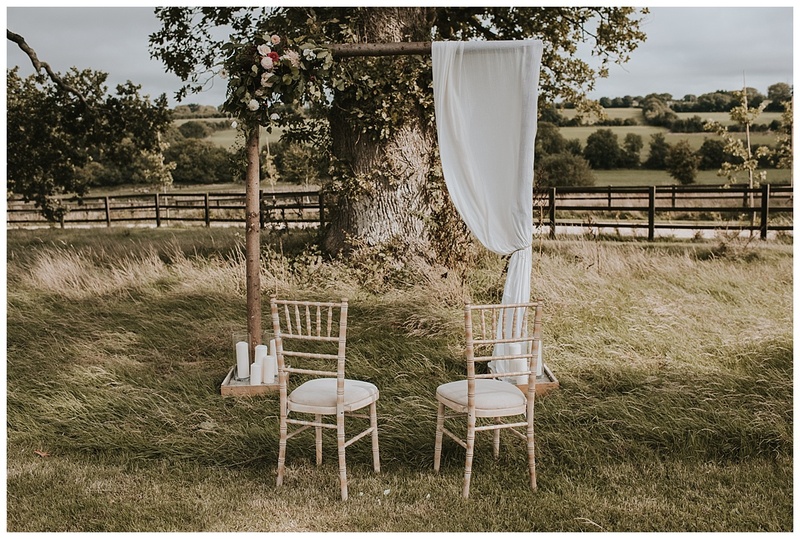 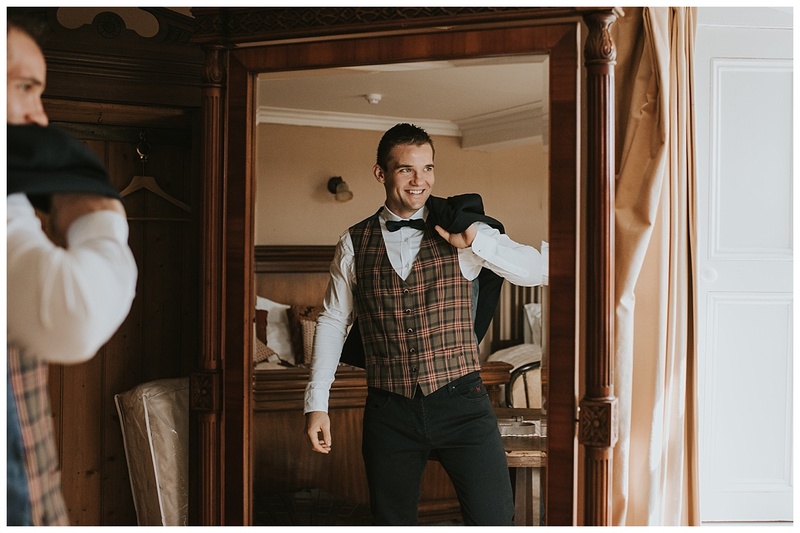 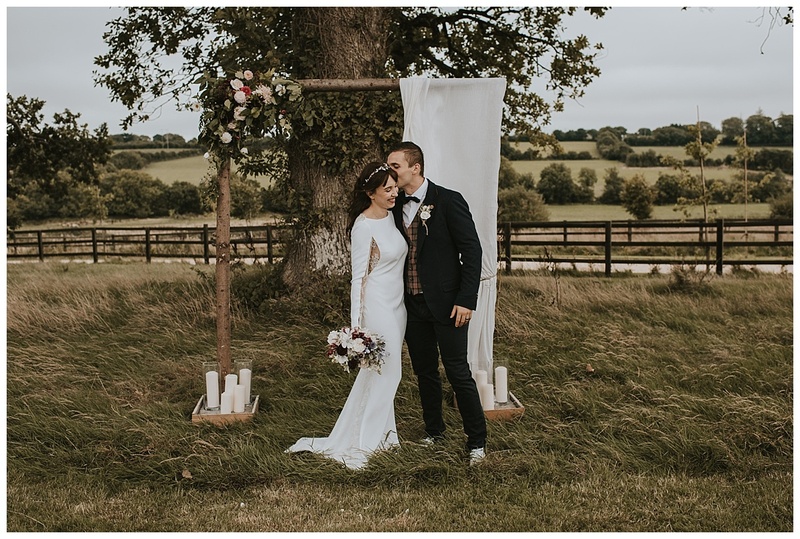 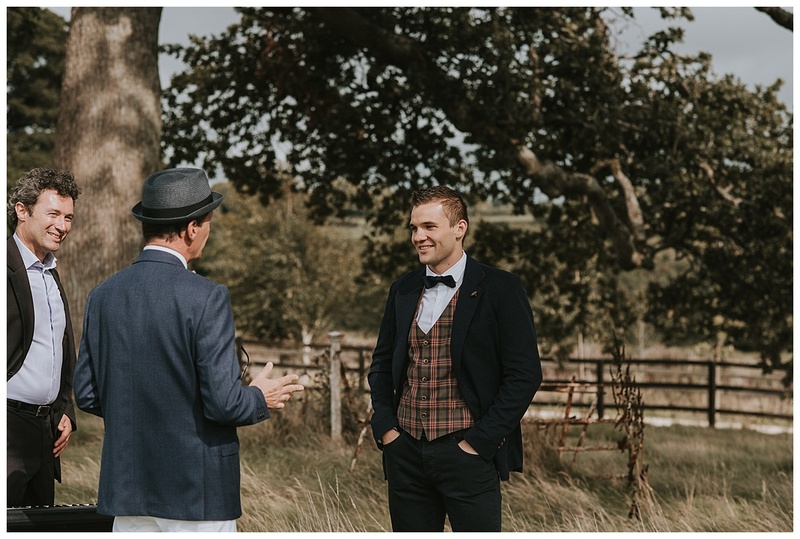 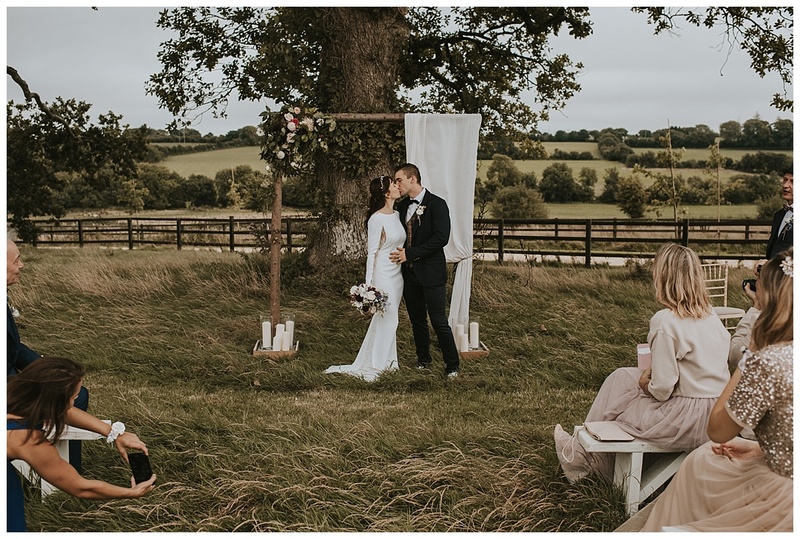 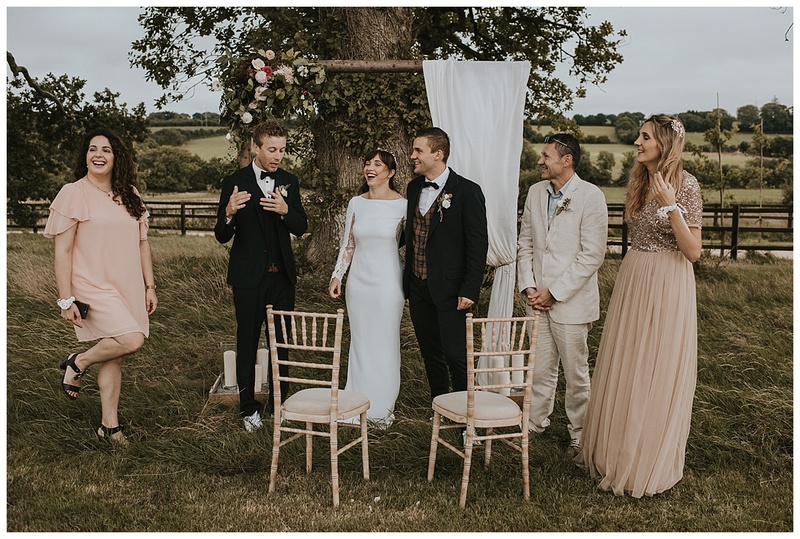 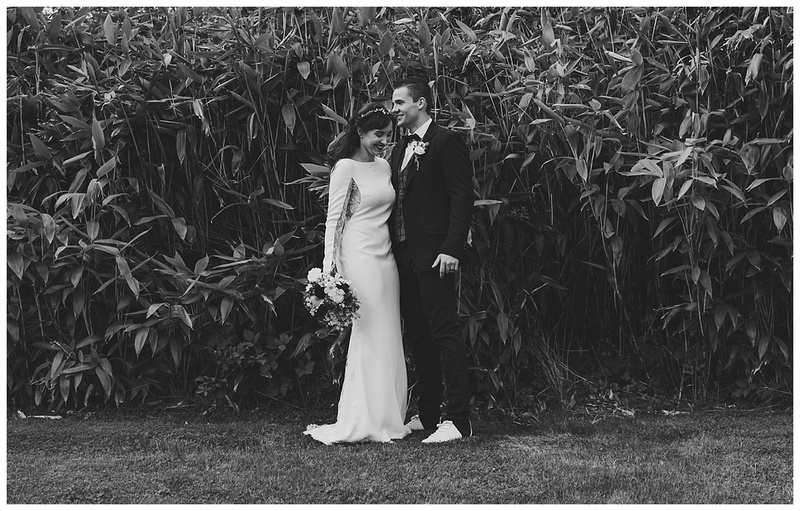 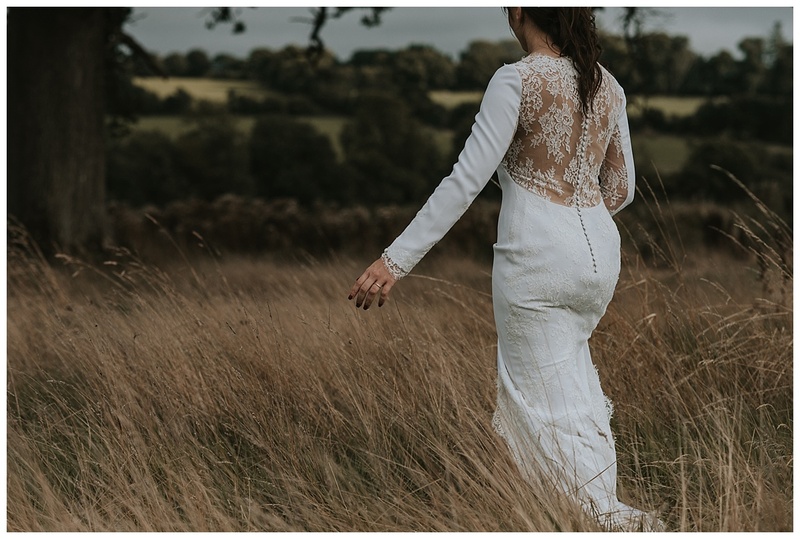 They already got married a few days previous in Monaco but wanted to have photos in the Irish countryside and the minute they found Horetown House they knew it was the venue for them. 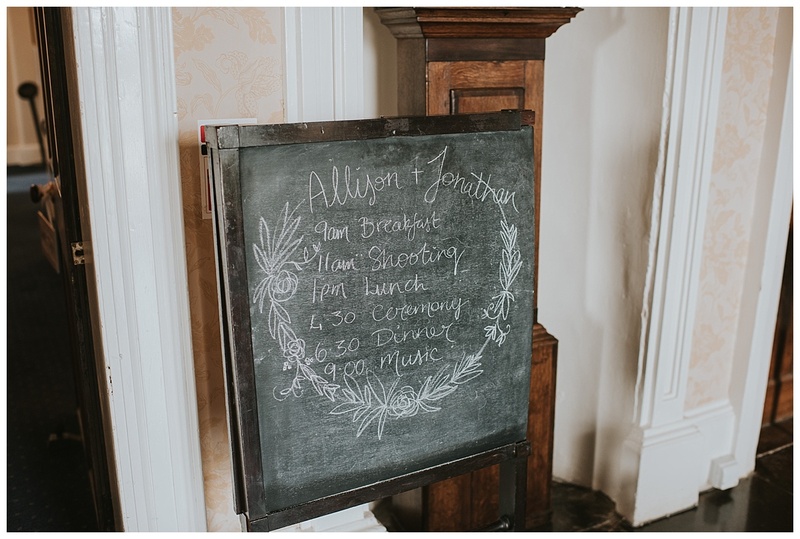 From the moment I walked in the door I was greeted with hugs and kisses from both Allison and Jonathan. 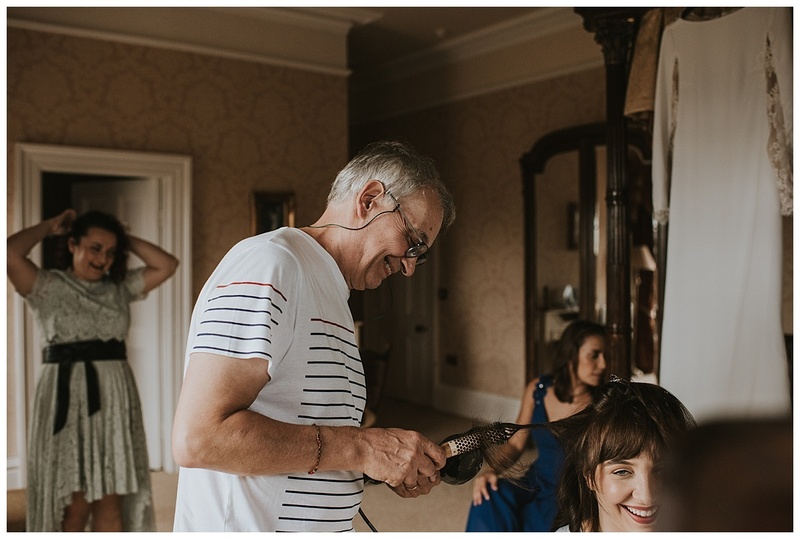 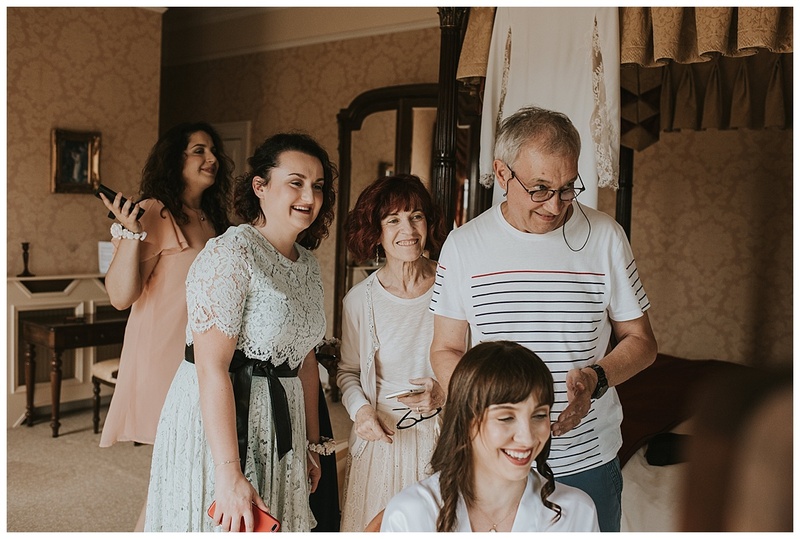 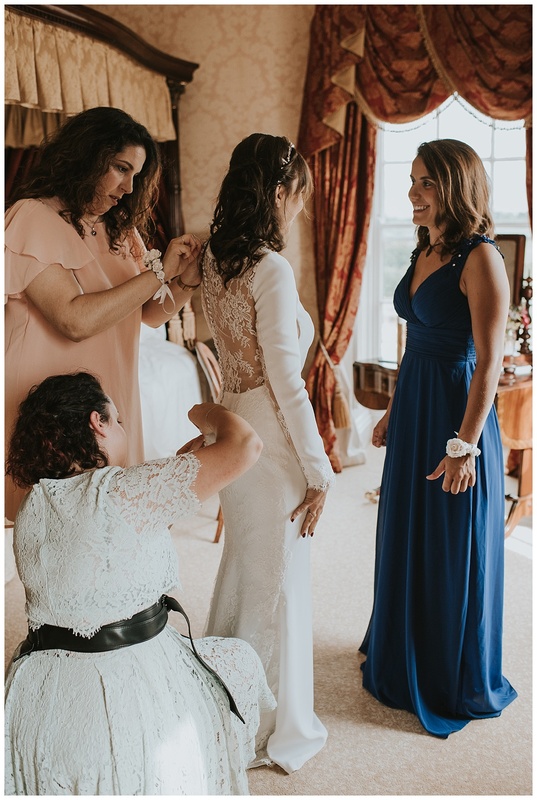 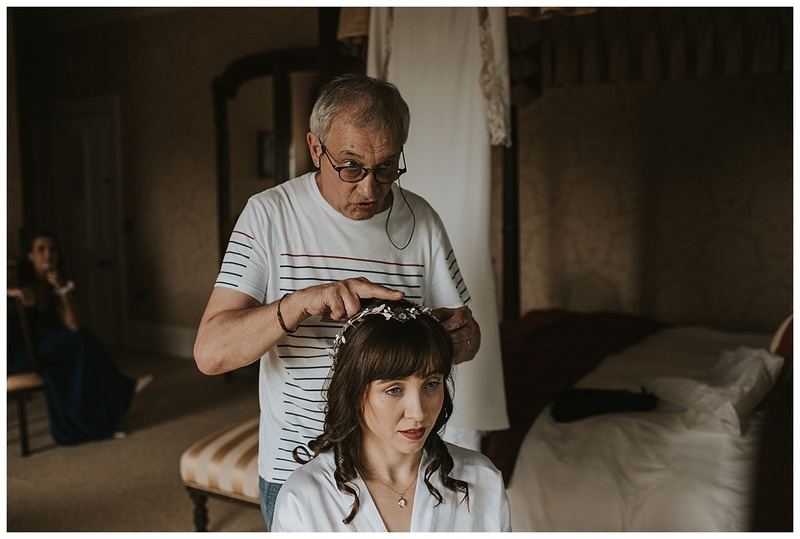 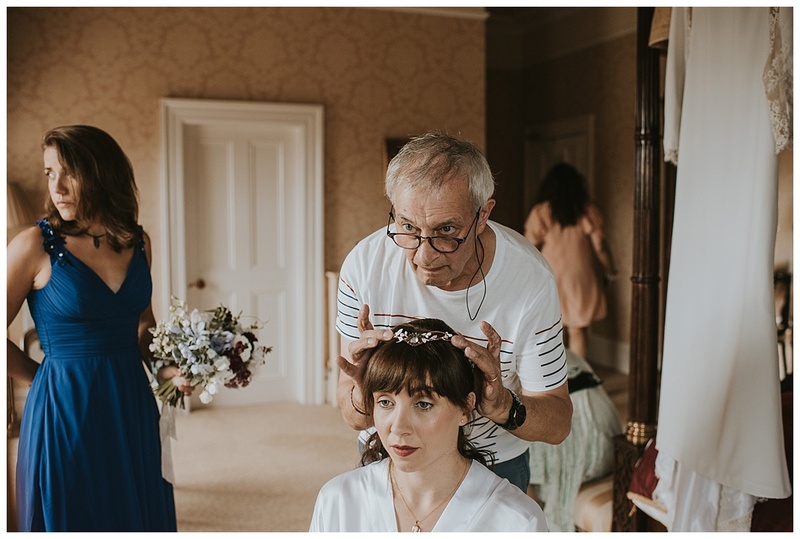 The day was so chilled out, with a late ceremony at 4pm and Allison getting her hair done by her dad (you don’t see that very often at a wedding) and no speeches just chats around the dinner table! 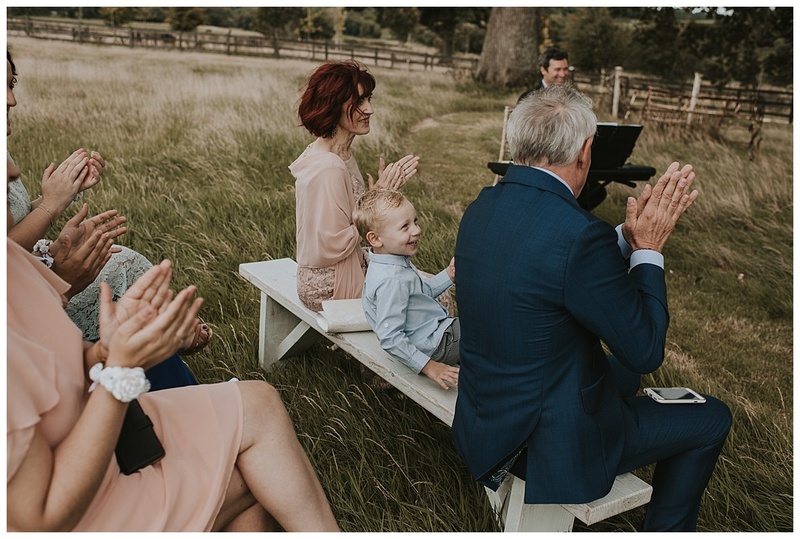 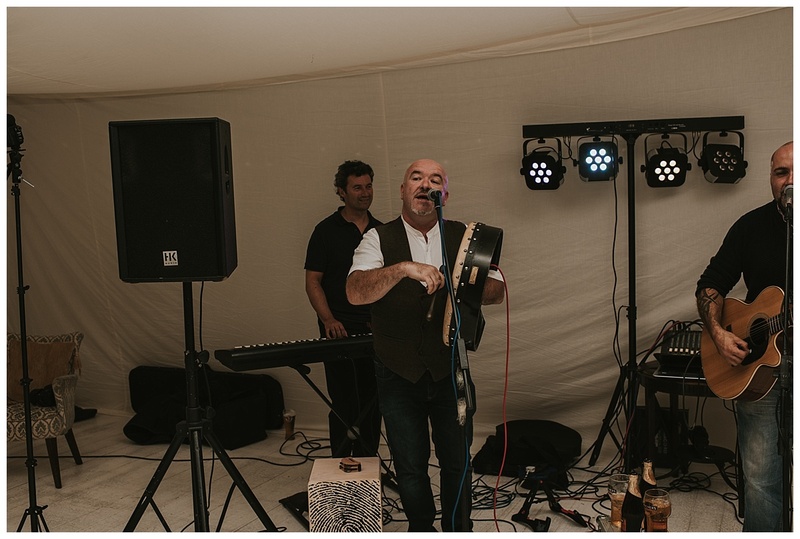 Definitely the way to do a relaxed wedding day! 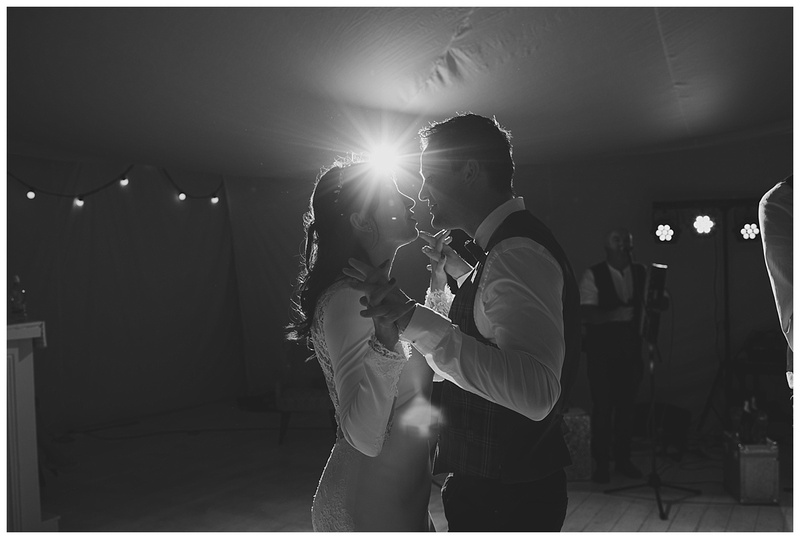 It is always a privilege to capture a couples’ day but it definitely feels that bit more poignant when it is such an intimate gathering. 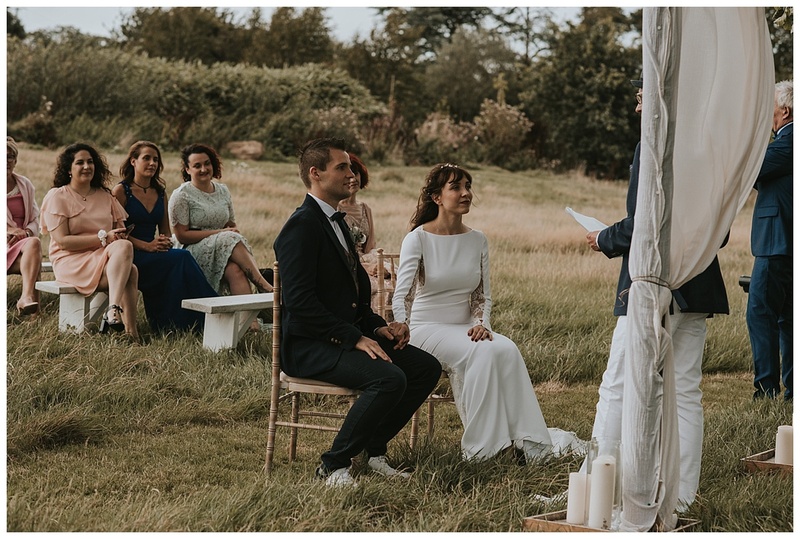 Even during the ceremony which was all in French, I didn’t understand a word of it, but it didn’t matter in the slightest because it was about them! 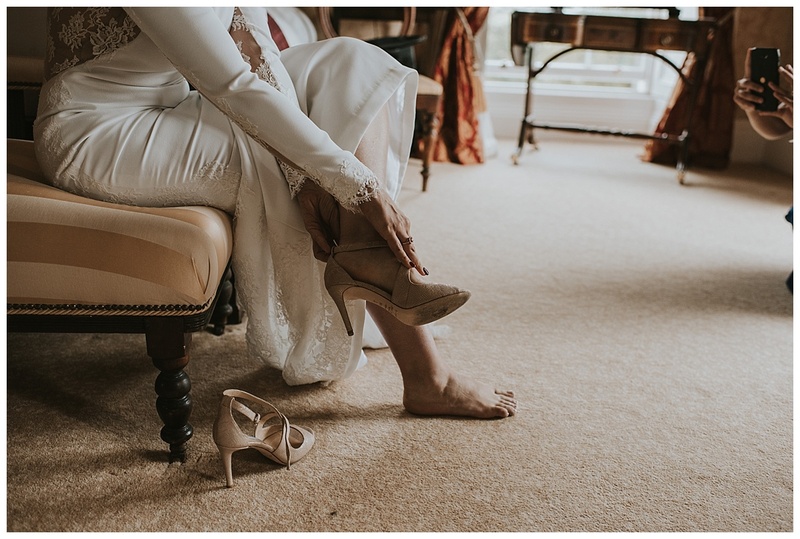 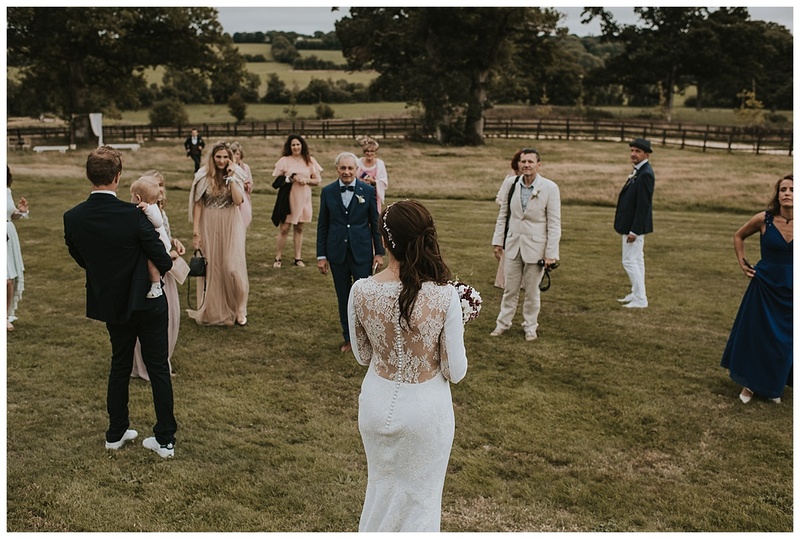 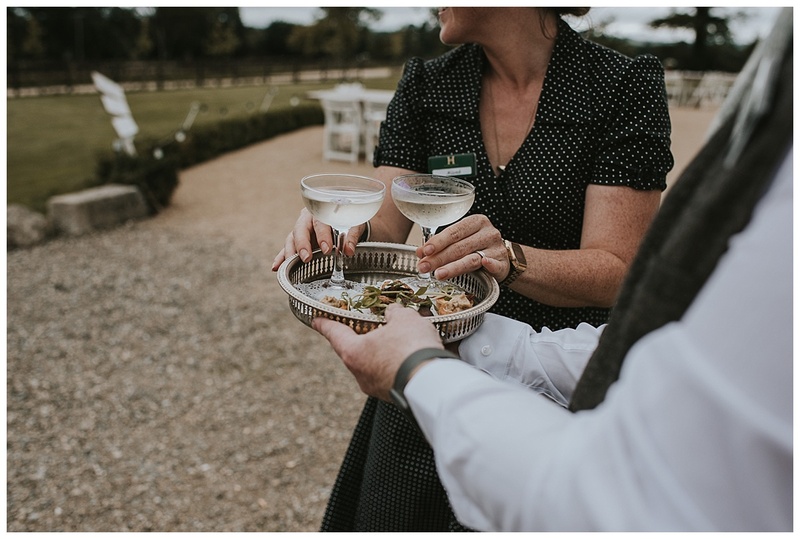 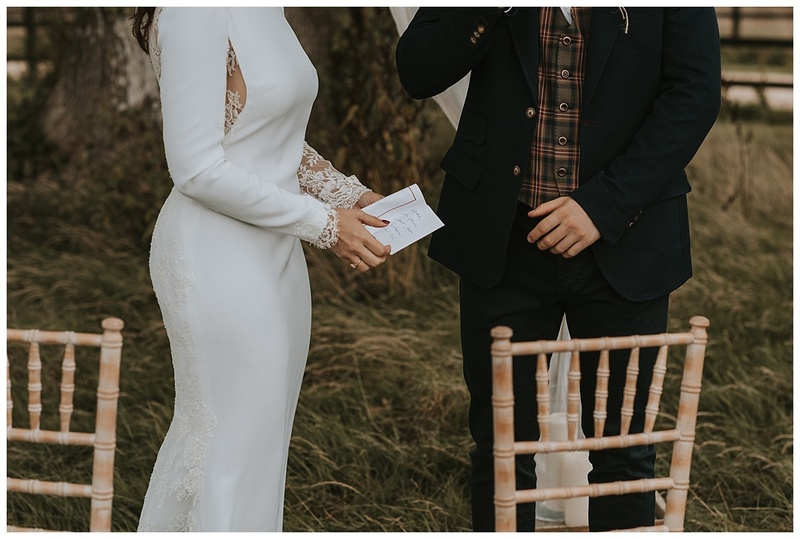 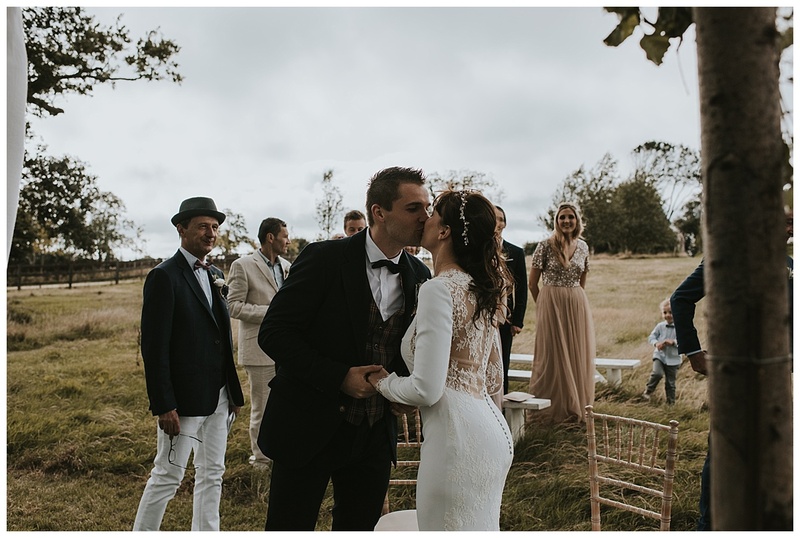 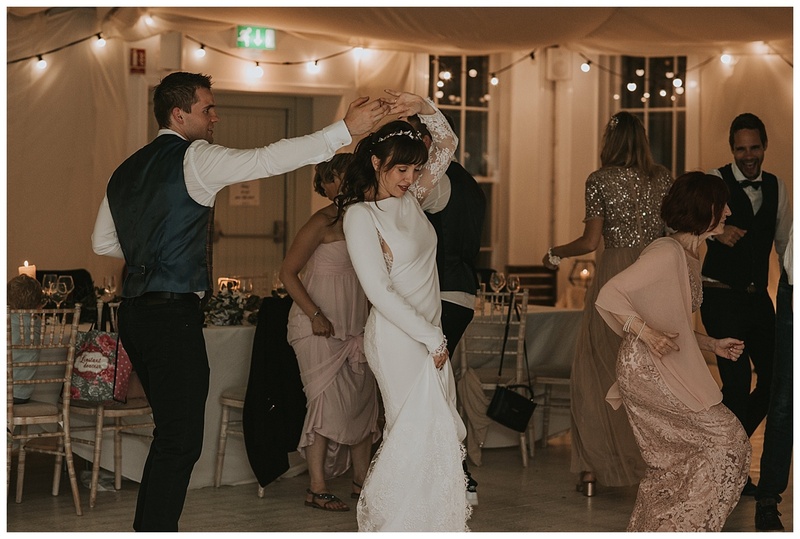 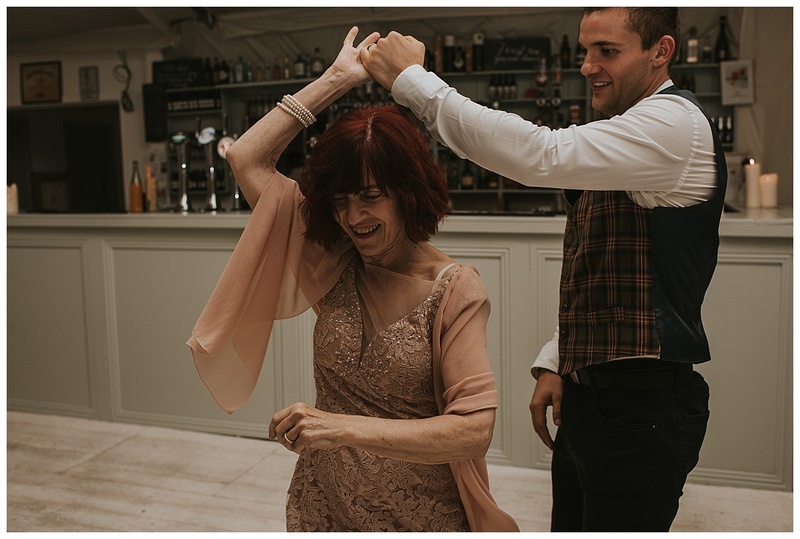 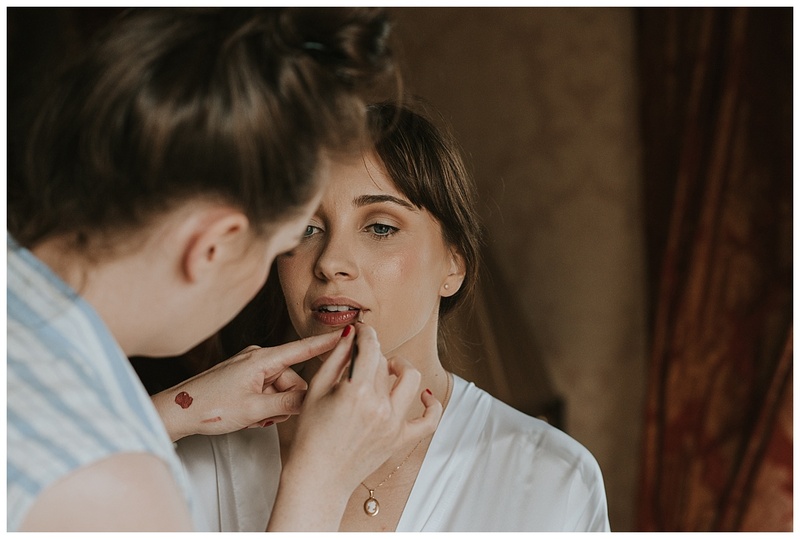 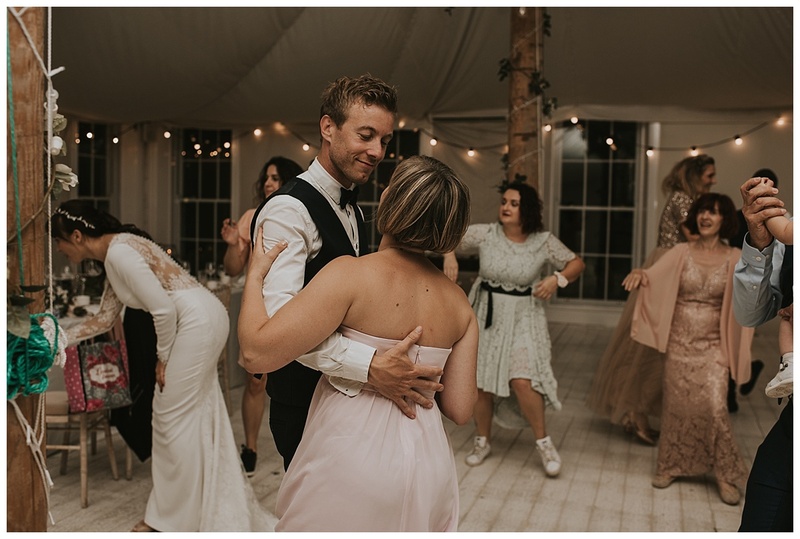 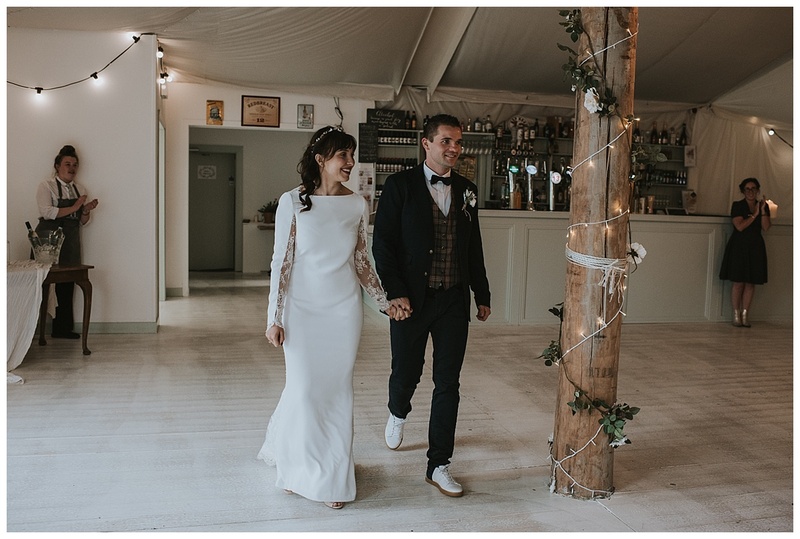 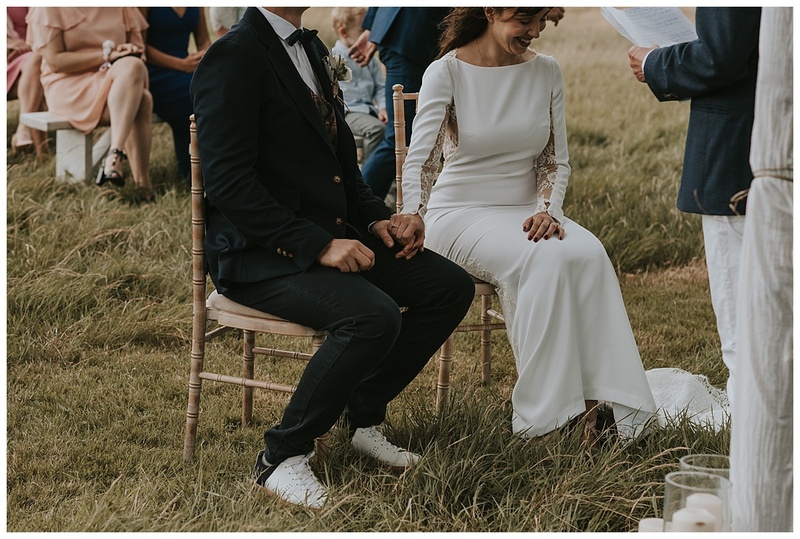 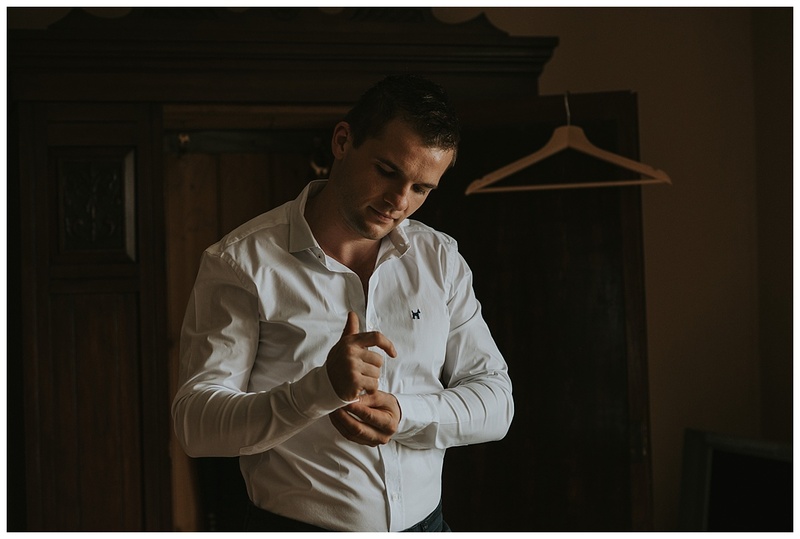 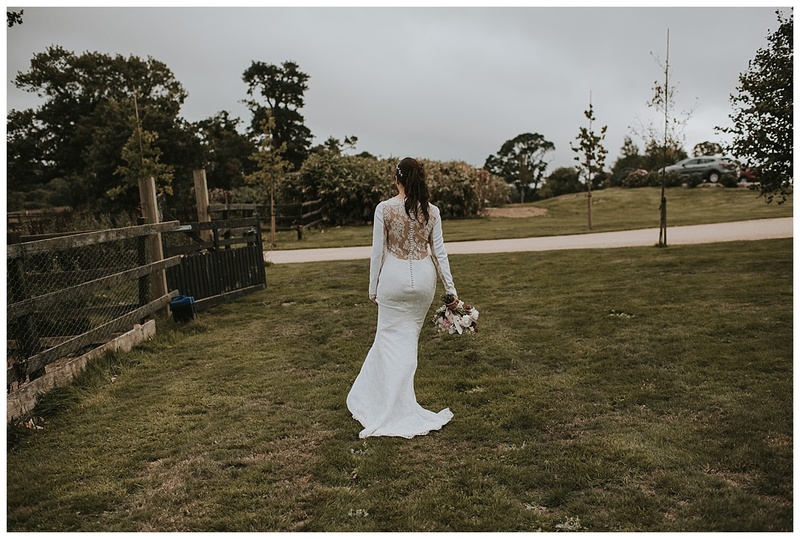 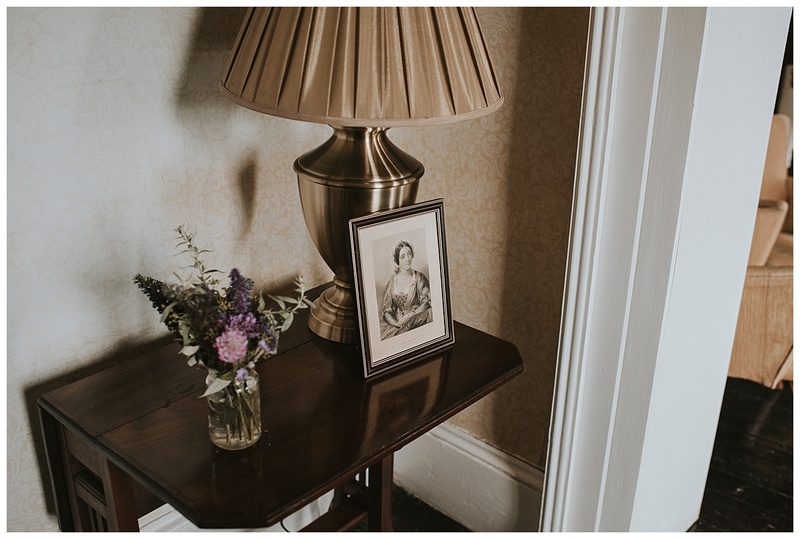 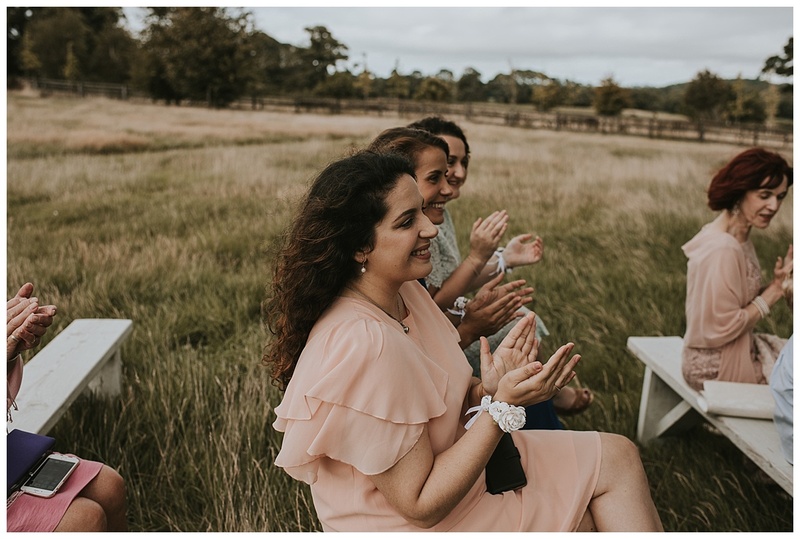 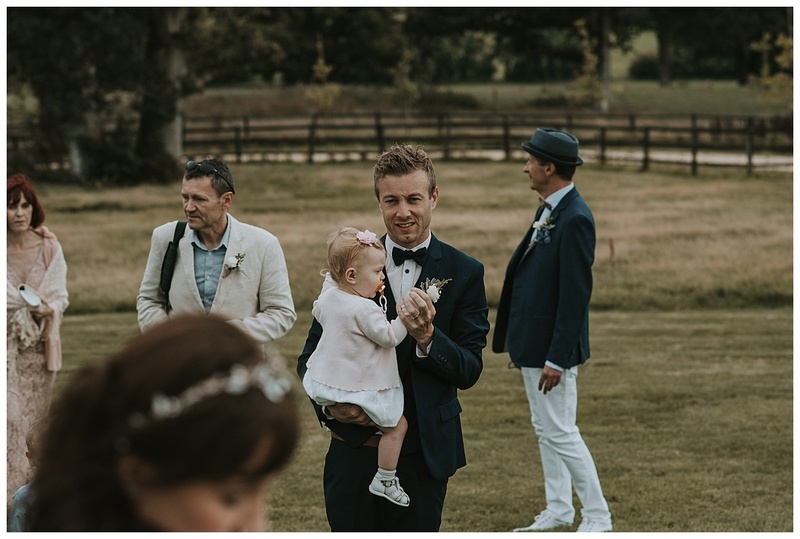 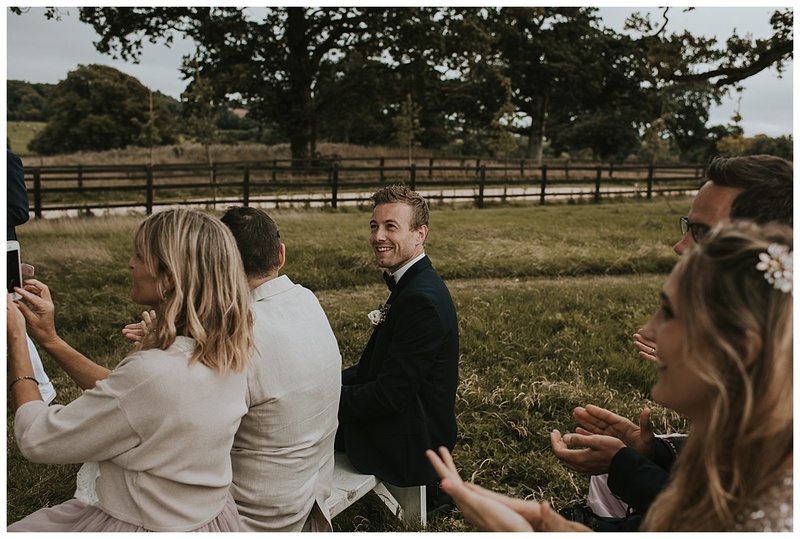 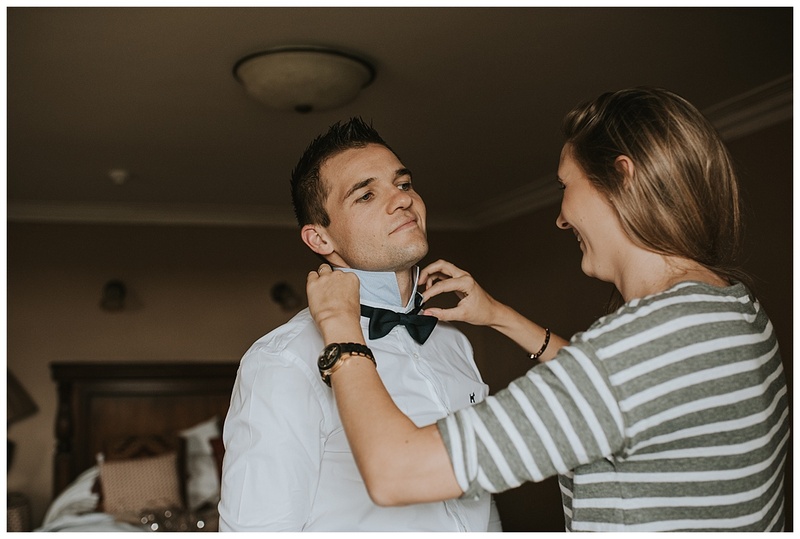 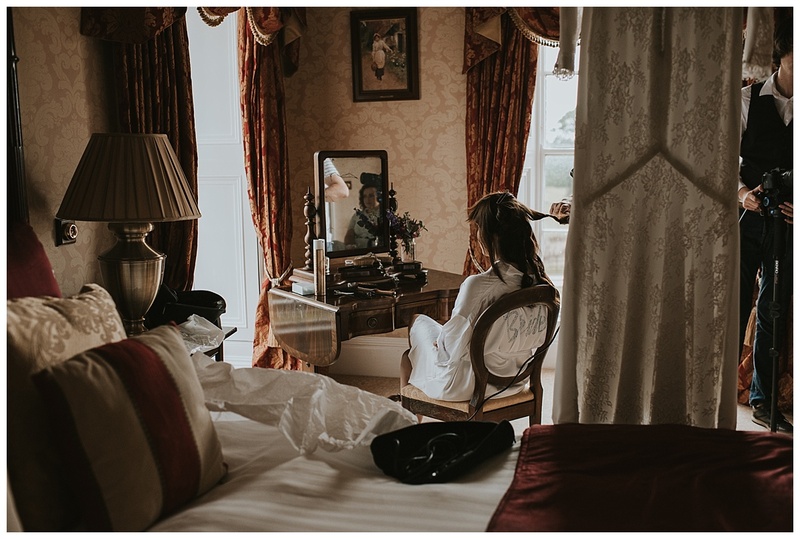 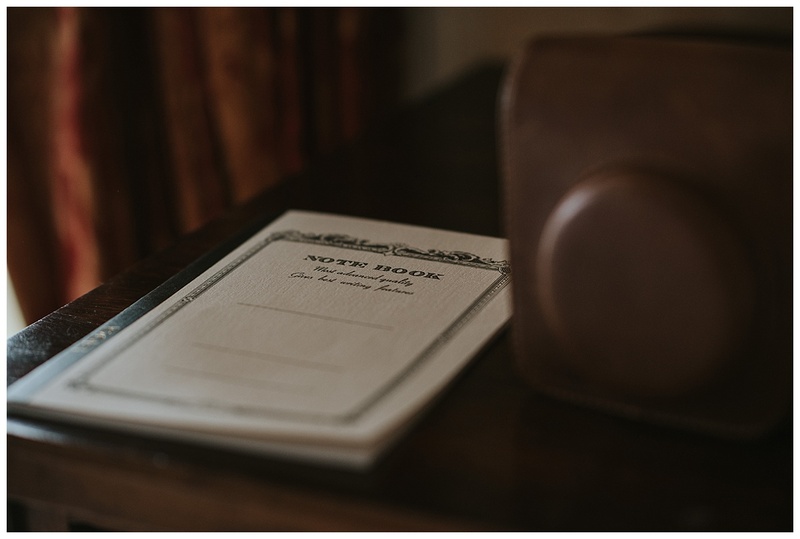 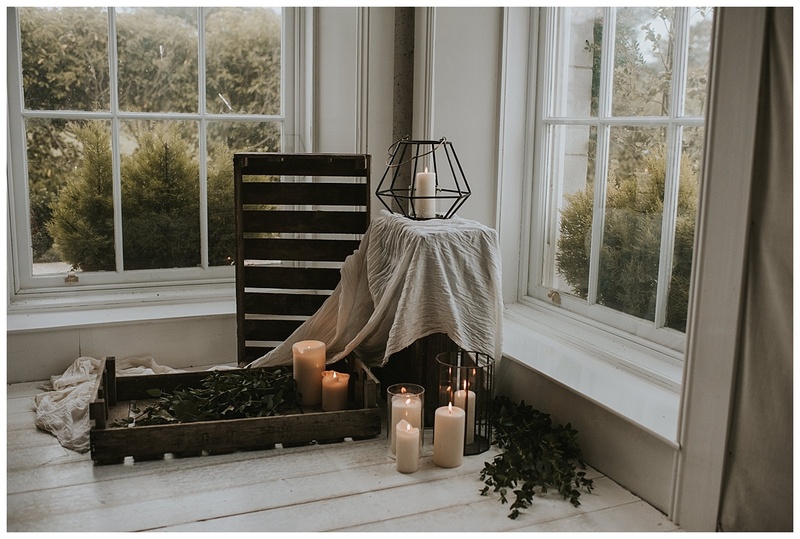 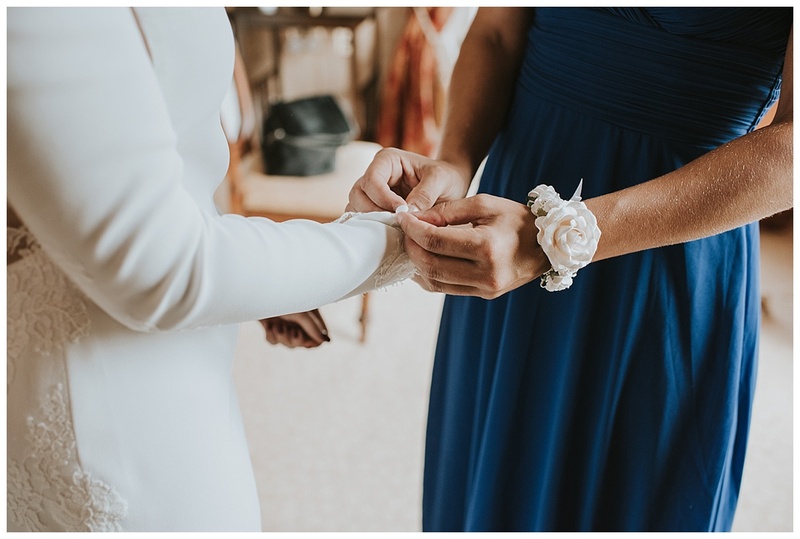 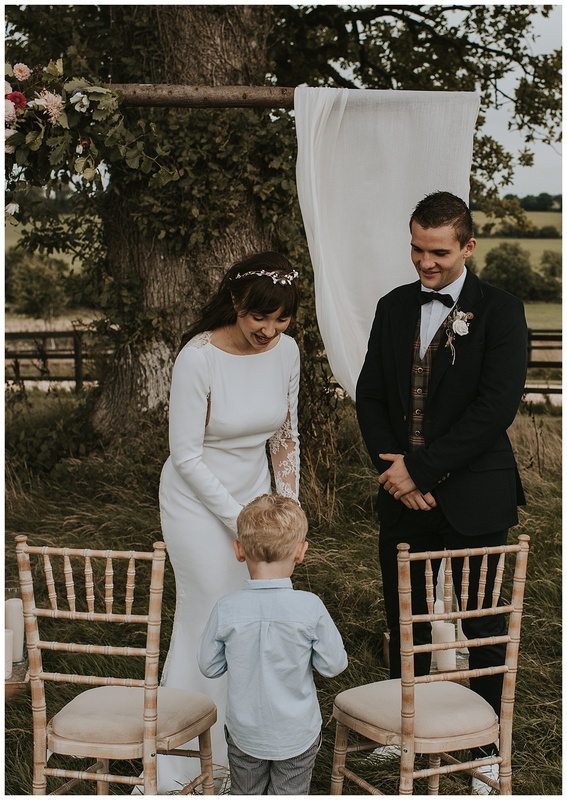 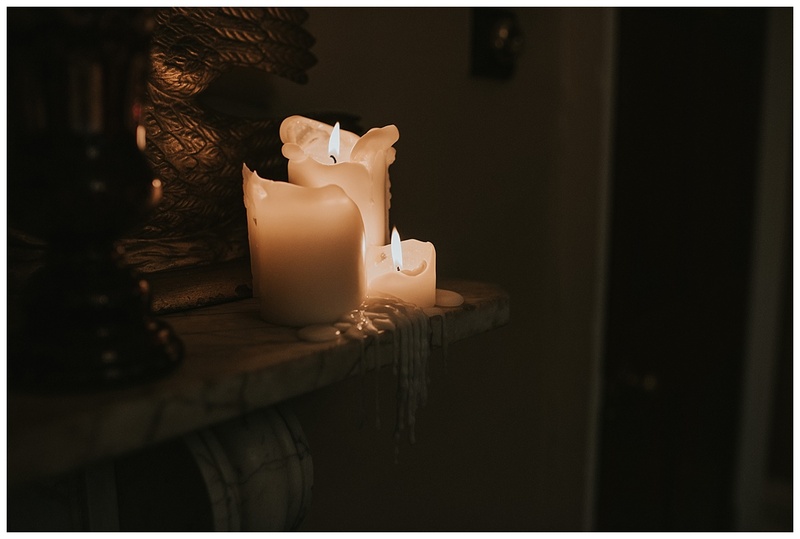 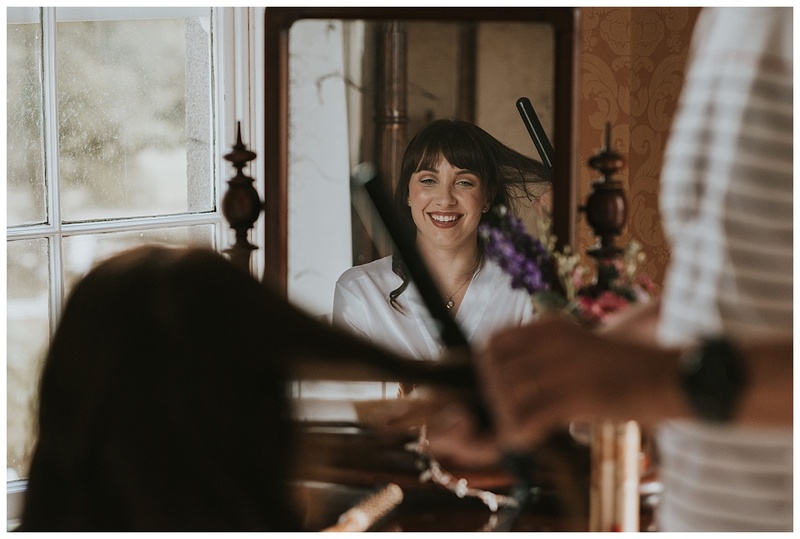 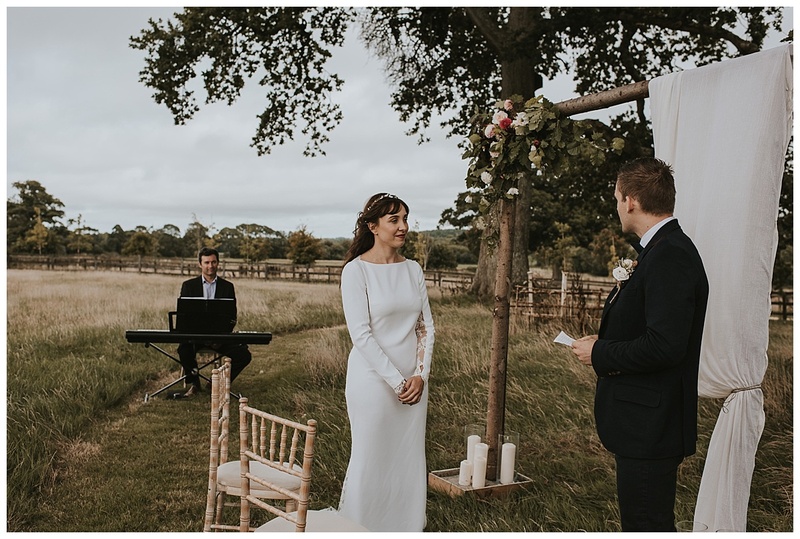 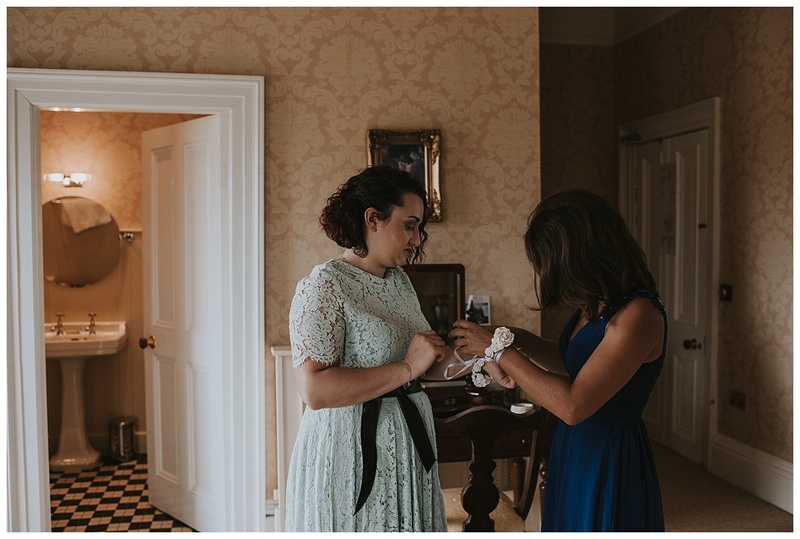 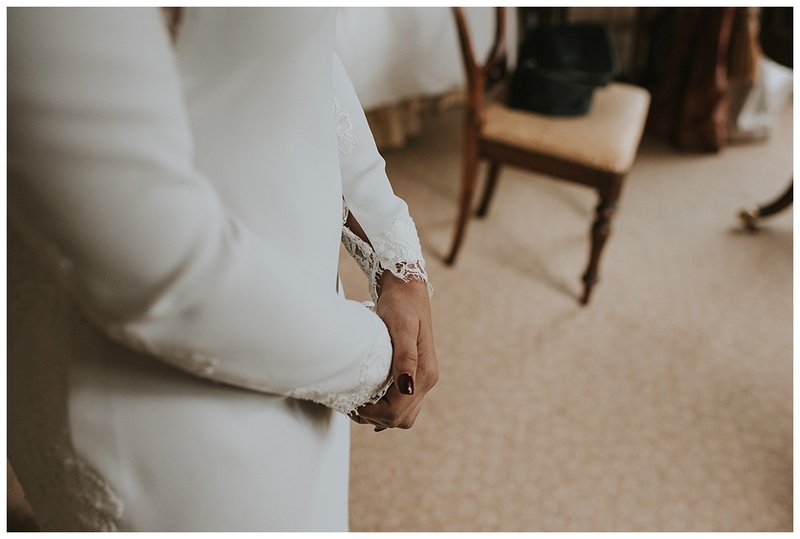 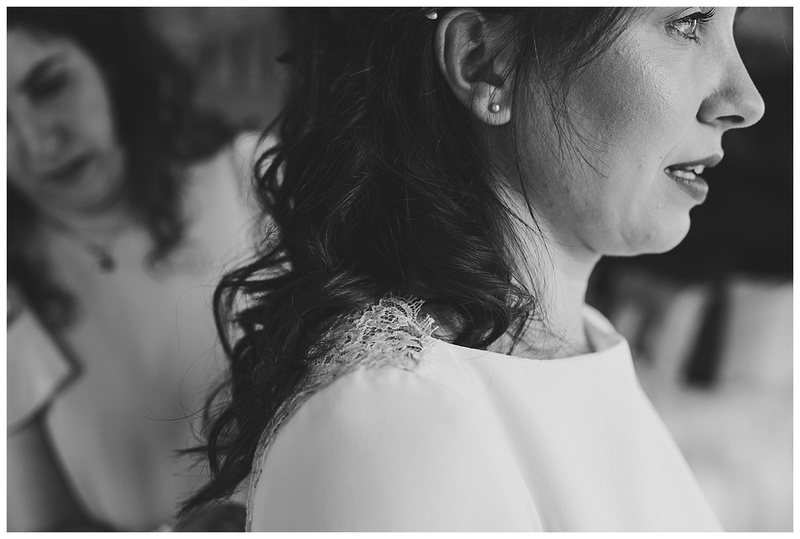 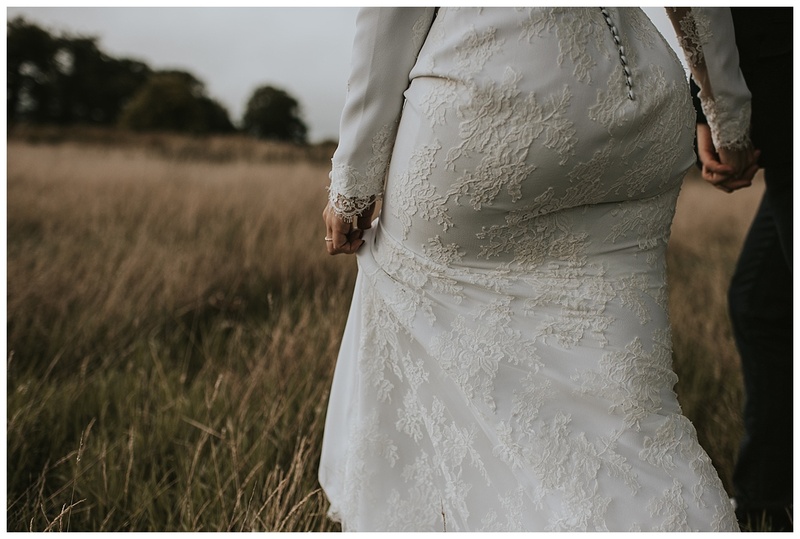 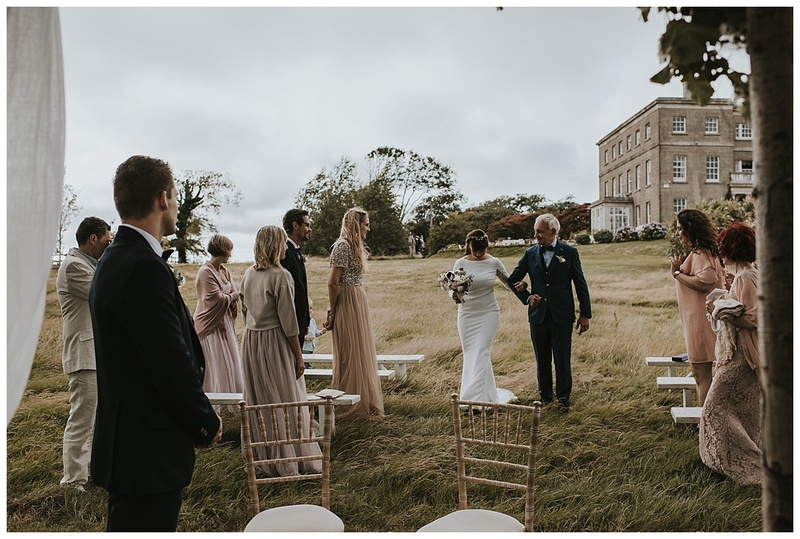 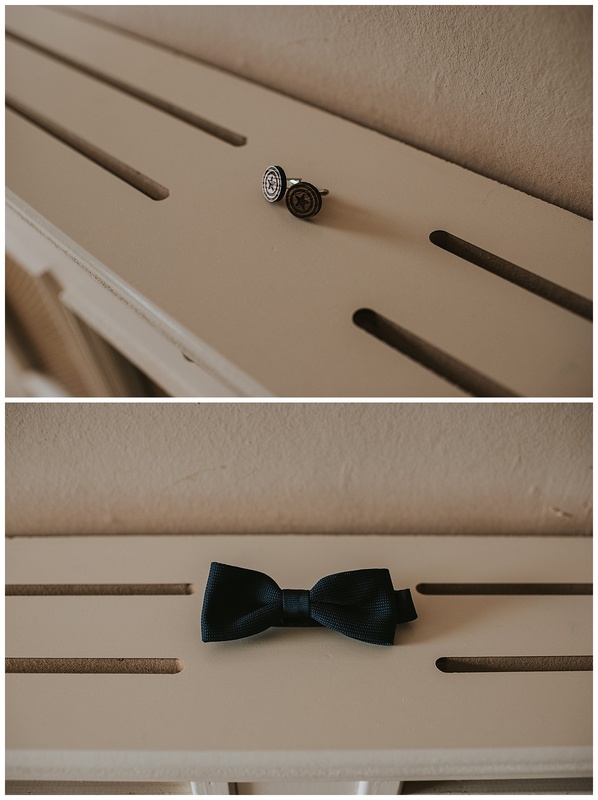 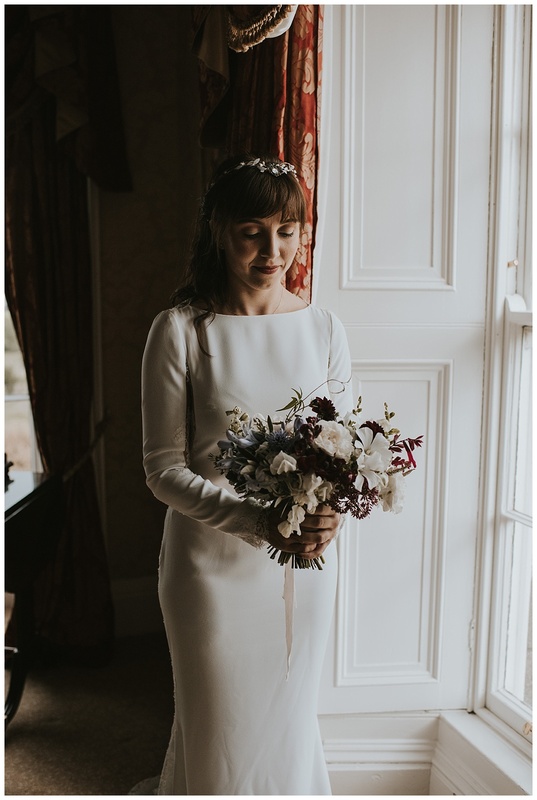 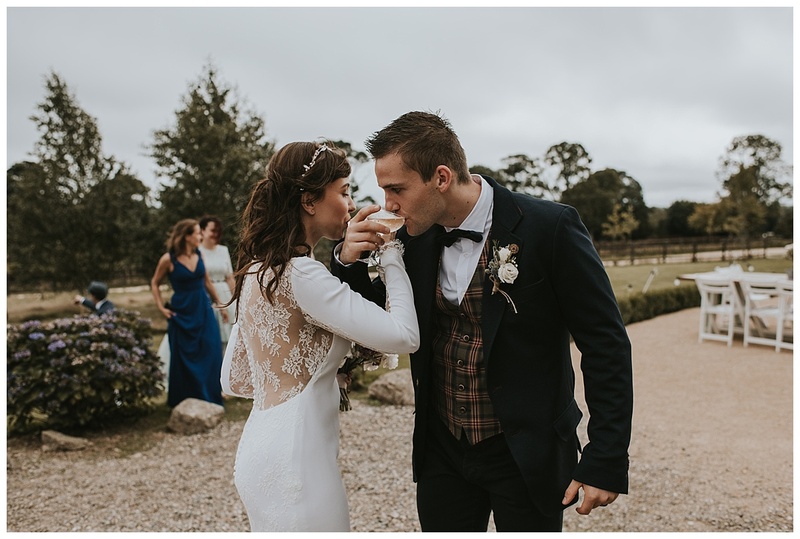 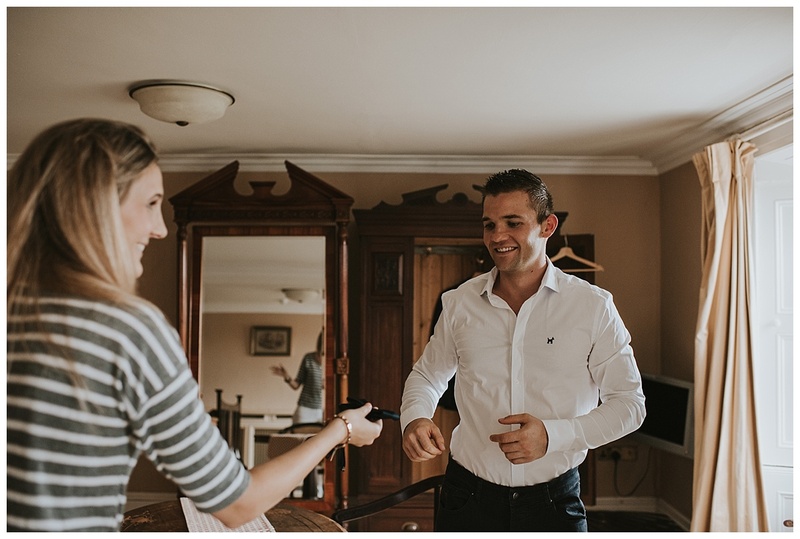 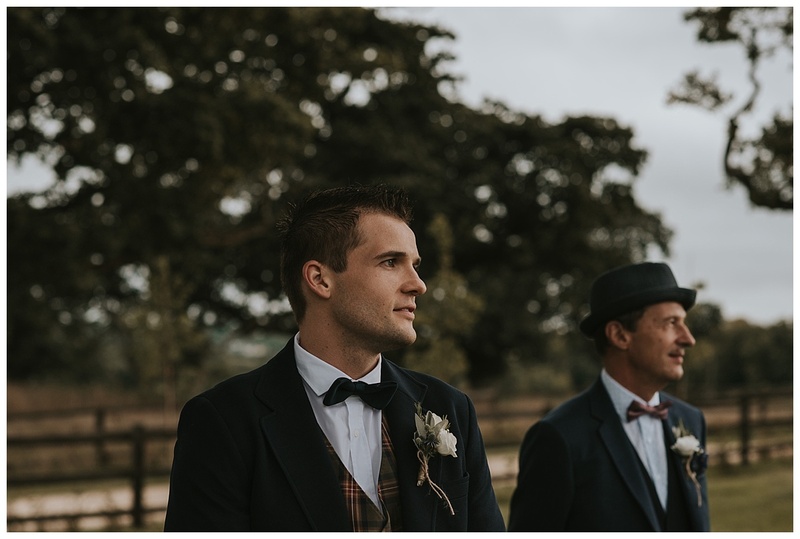 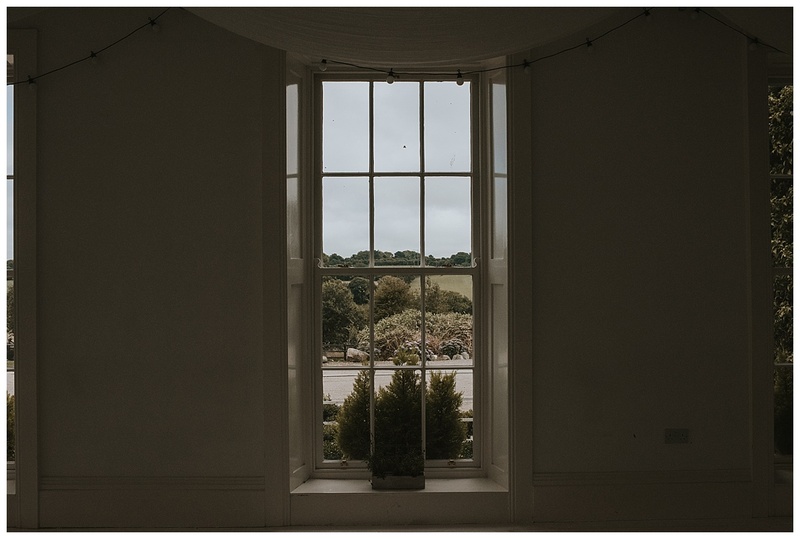 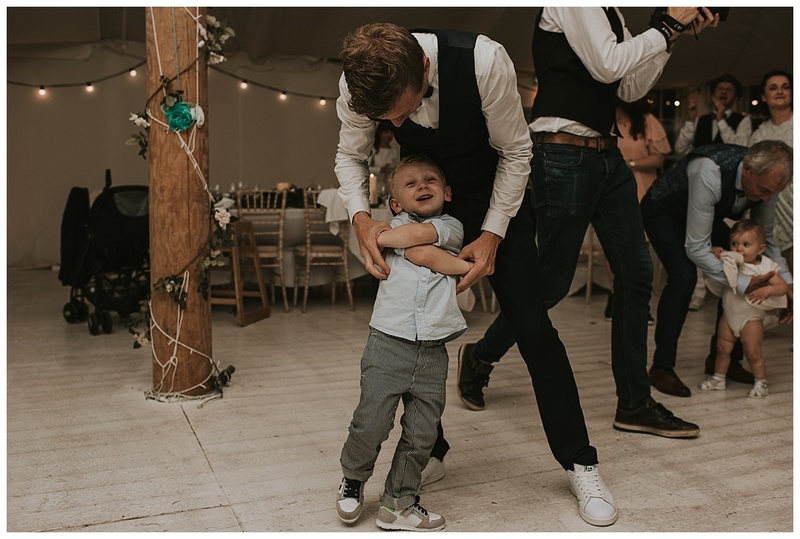 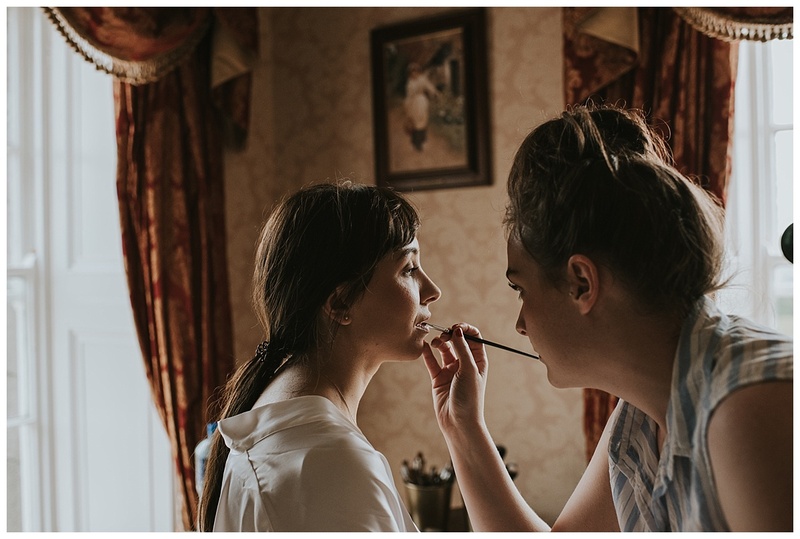 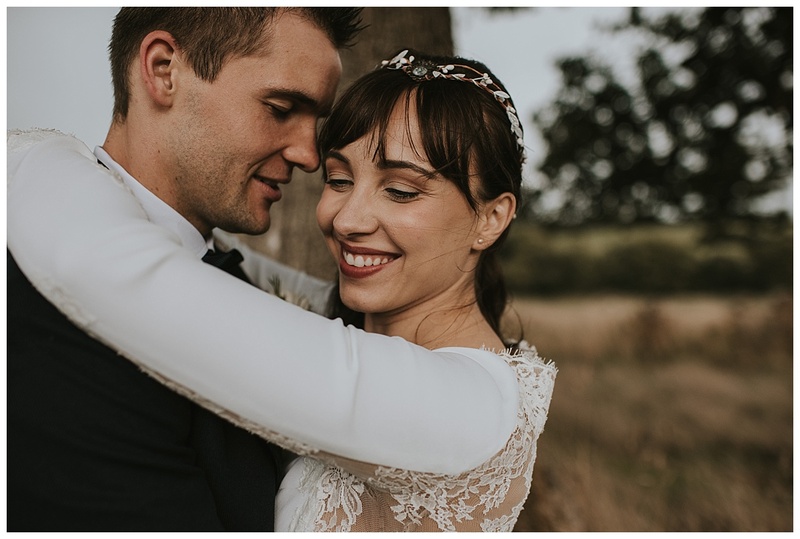 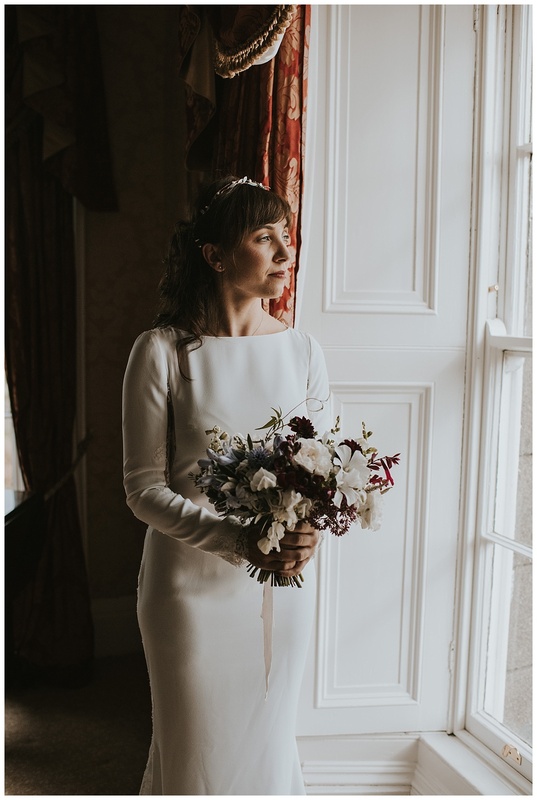 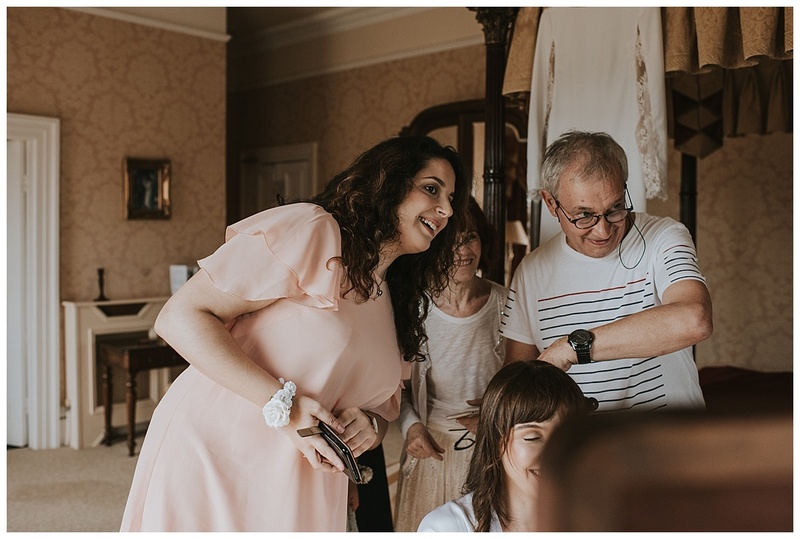 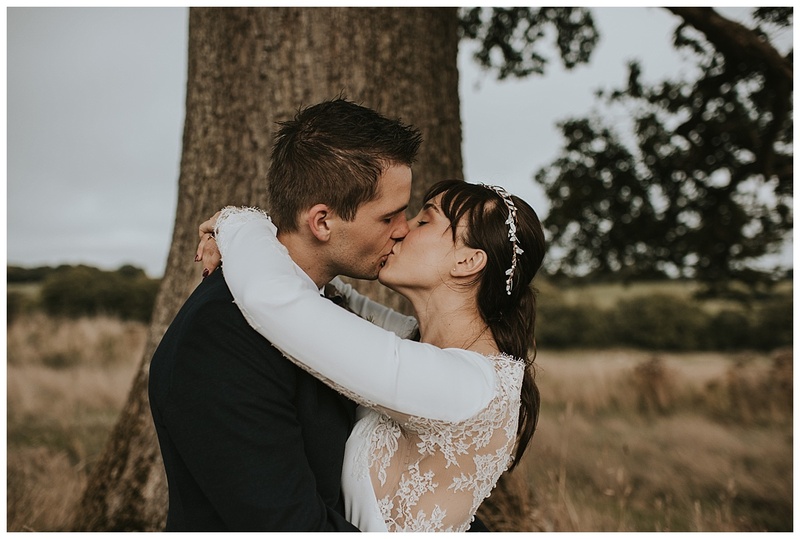 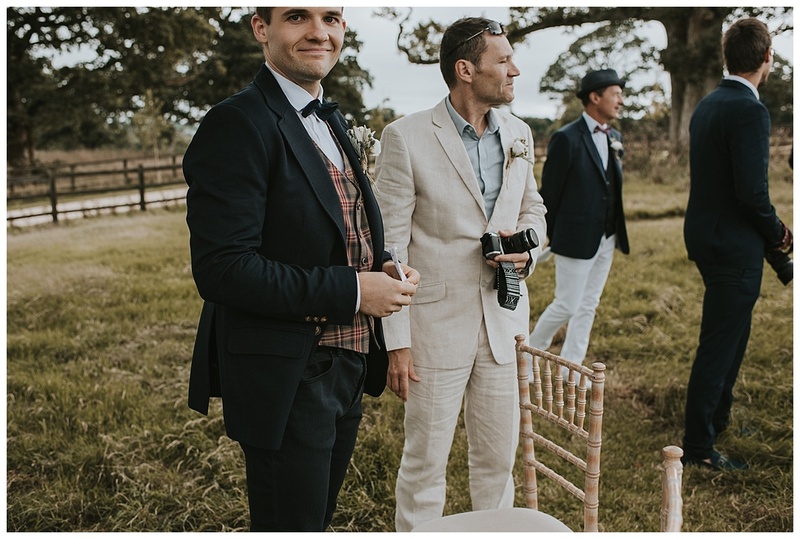 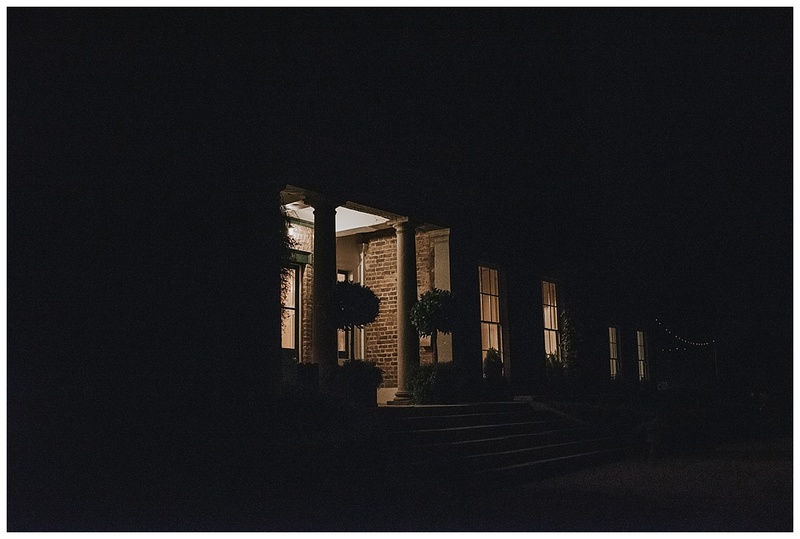 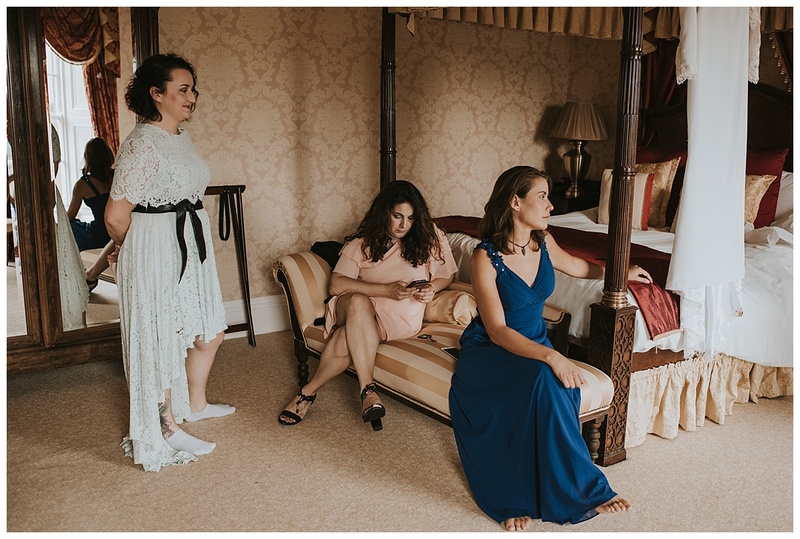 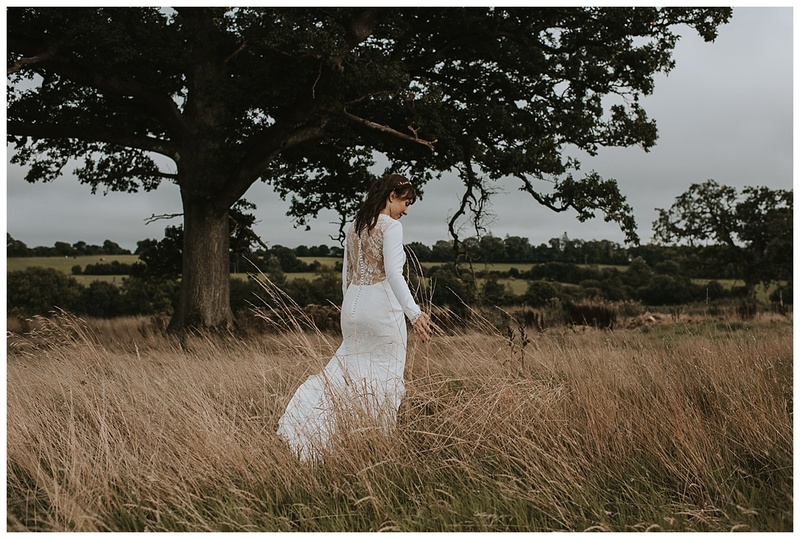 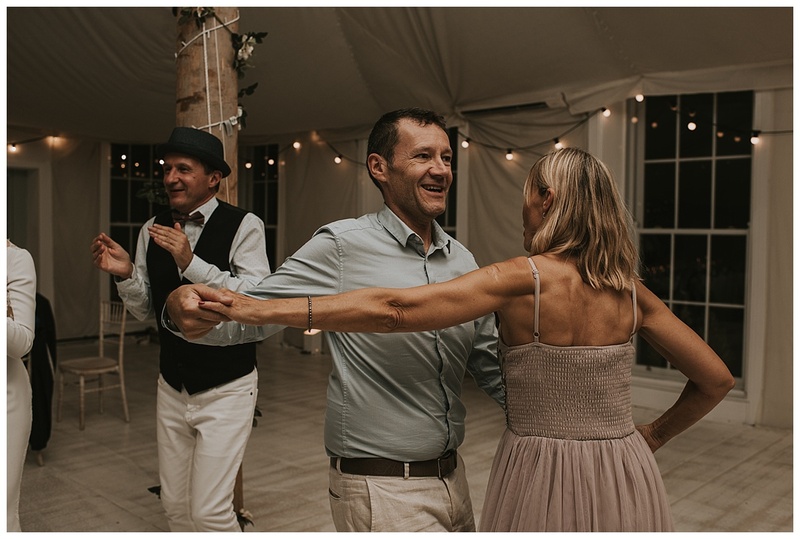 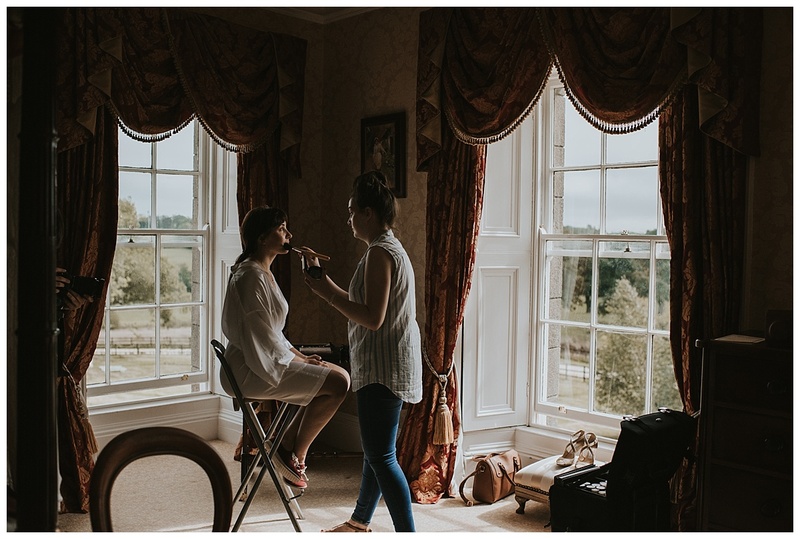 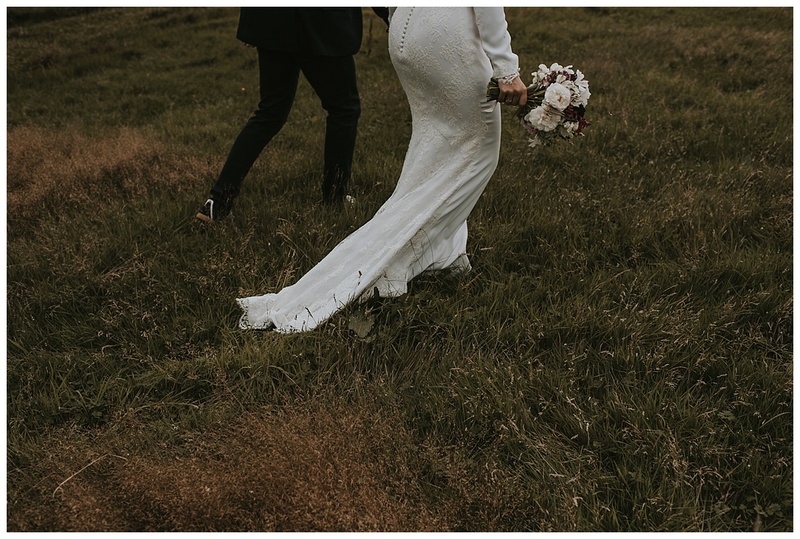 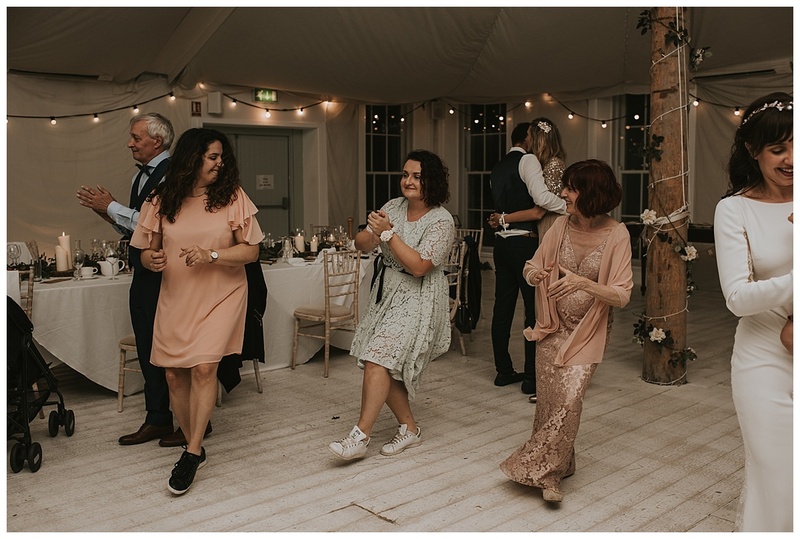 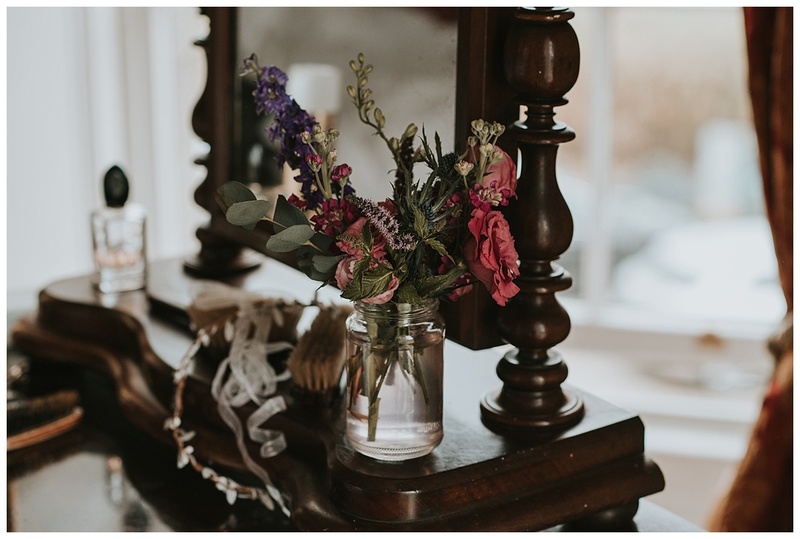 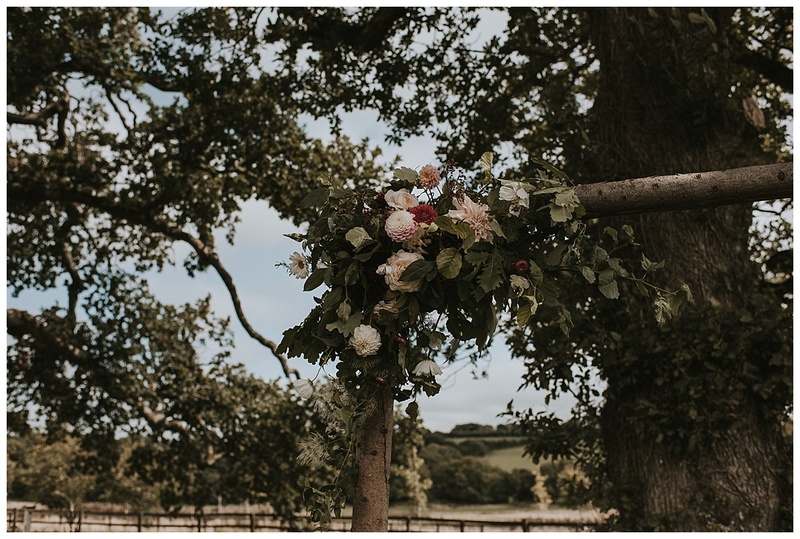 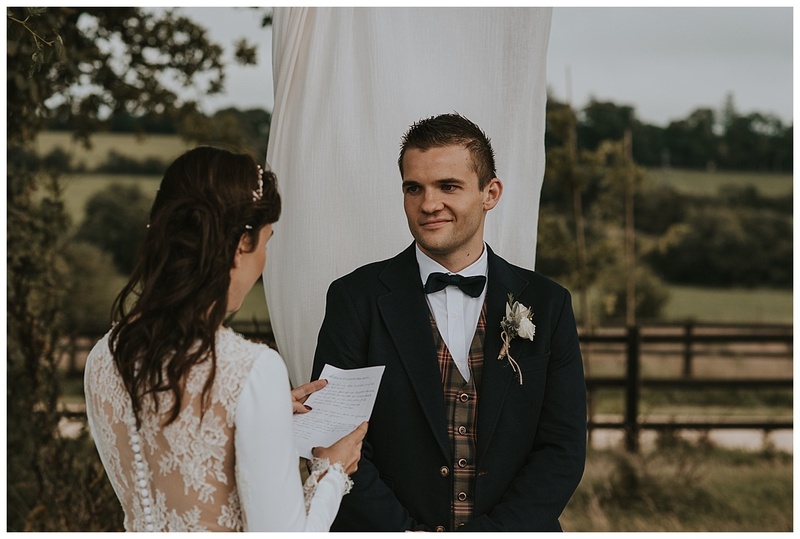 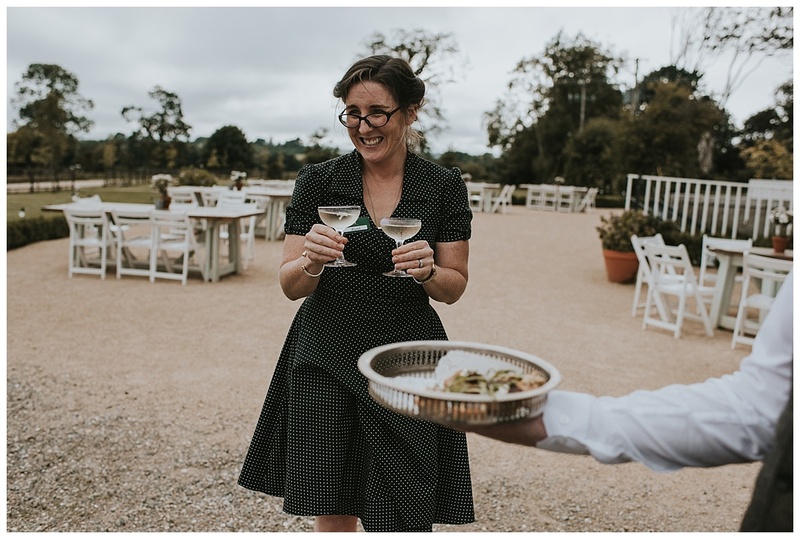 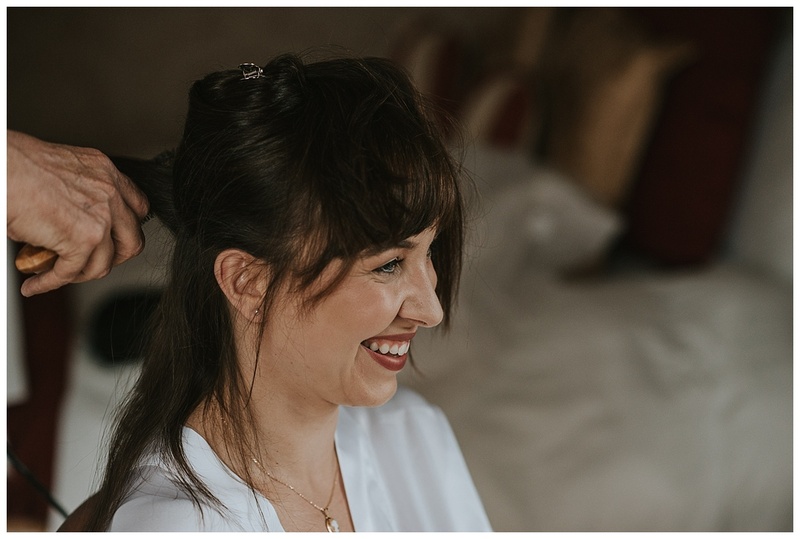 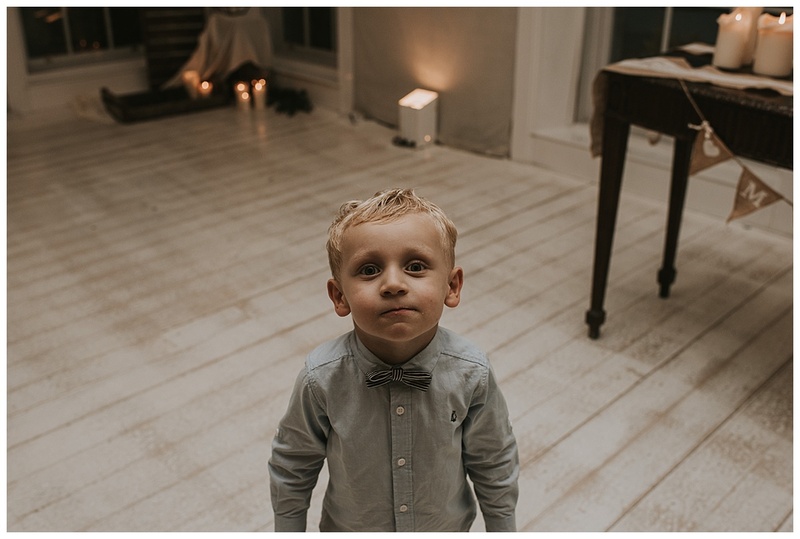 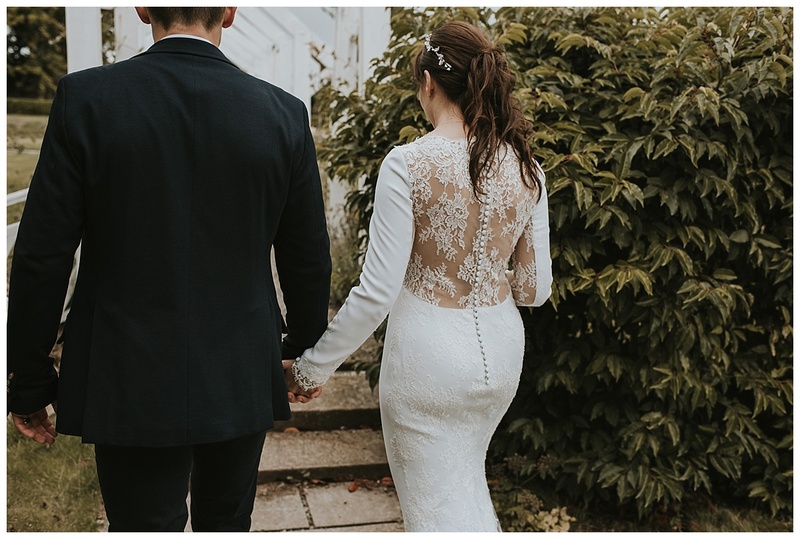 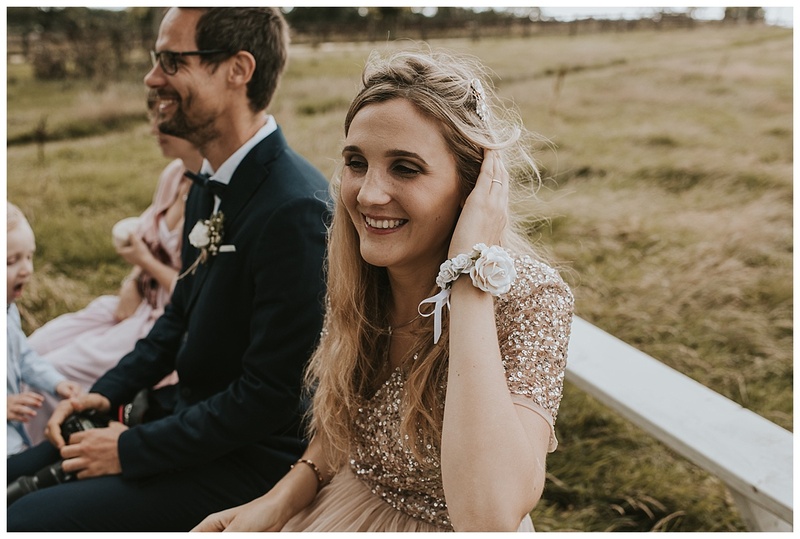 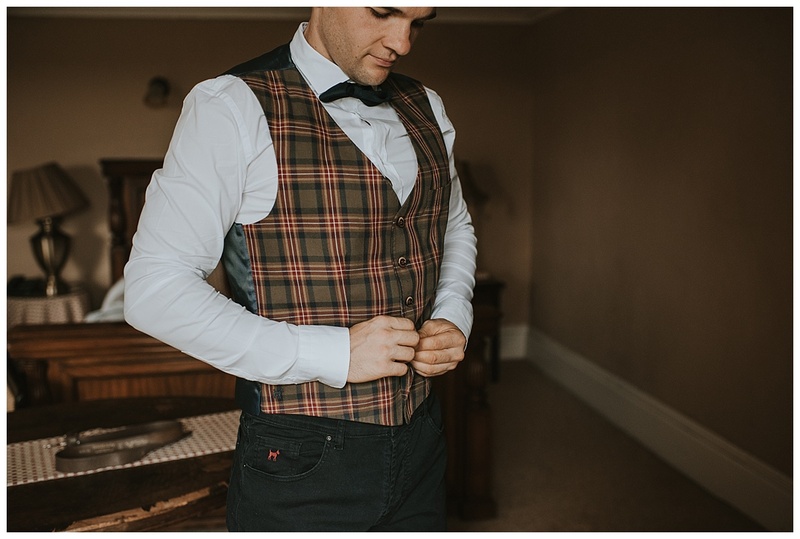 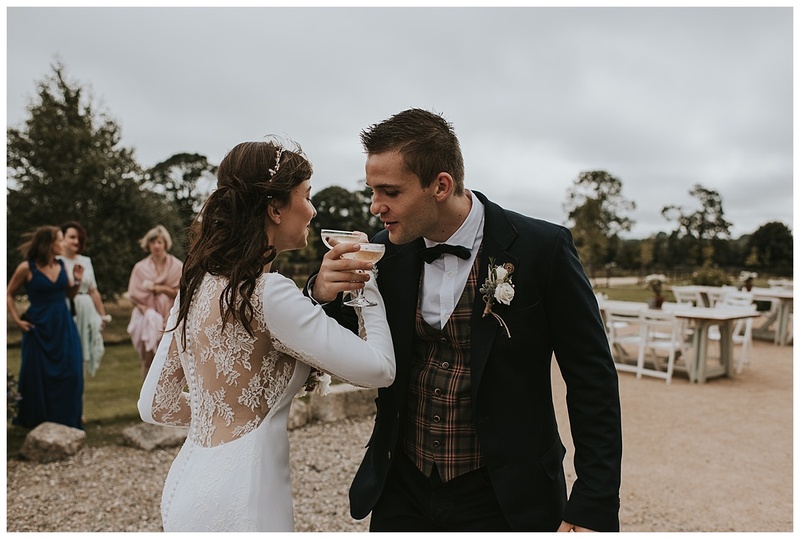 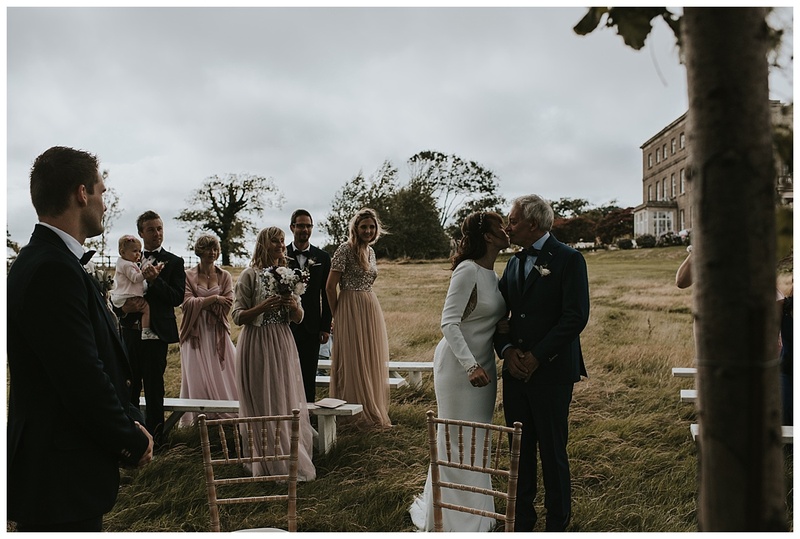 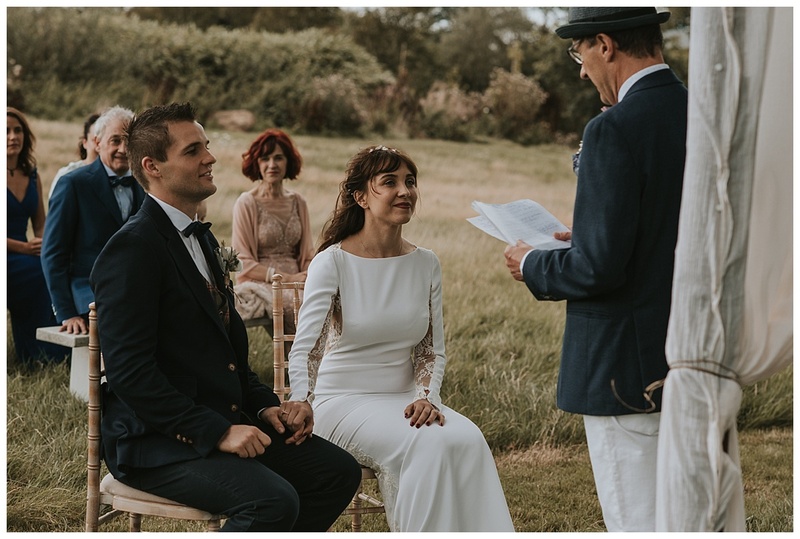 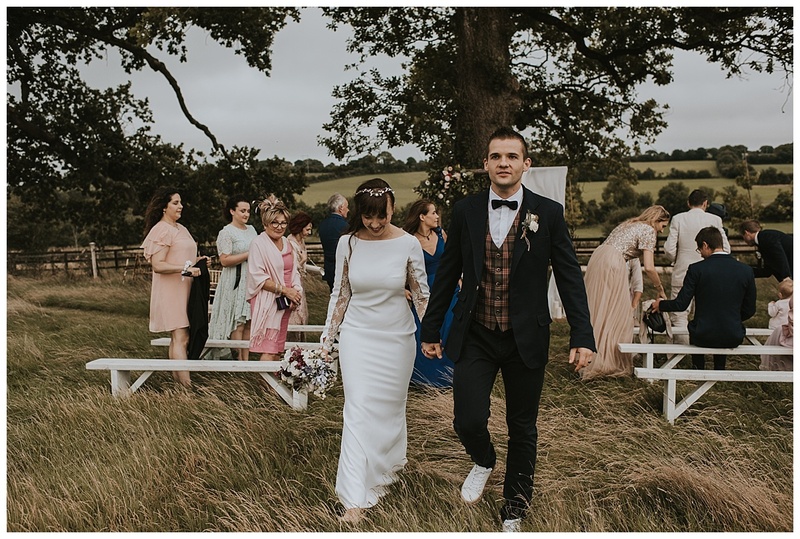 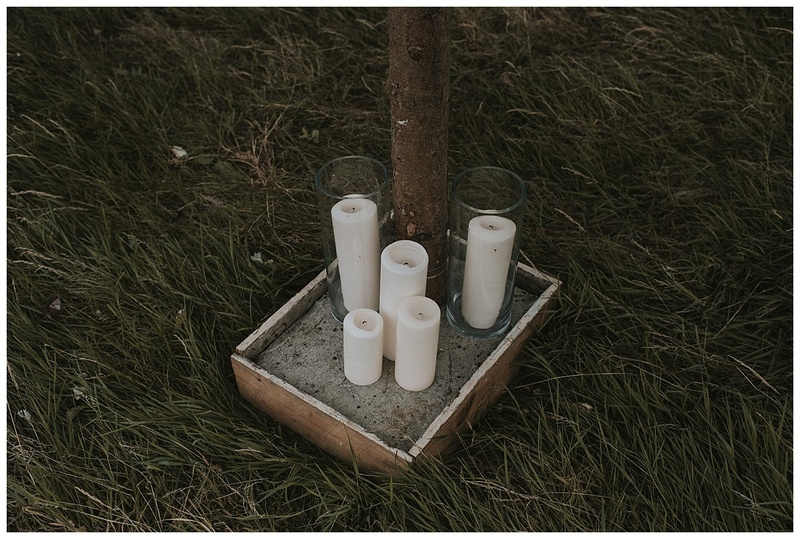 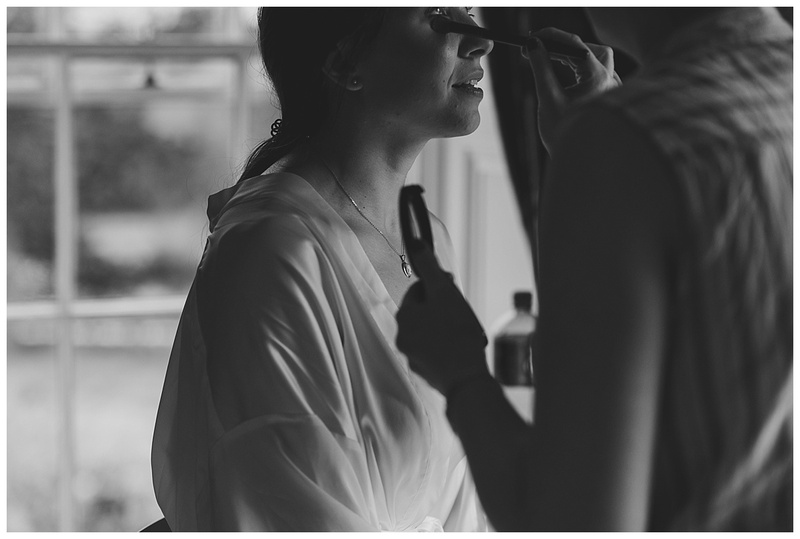 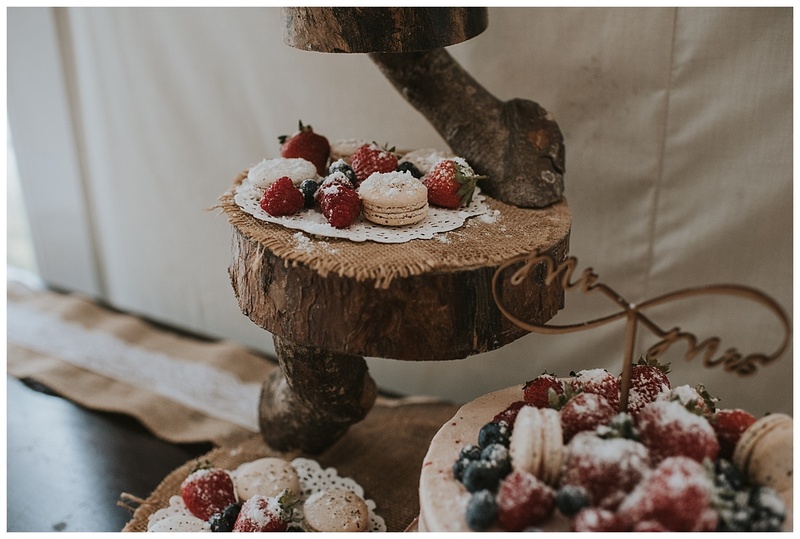 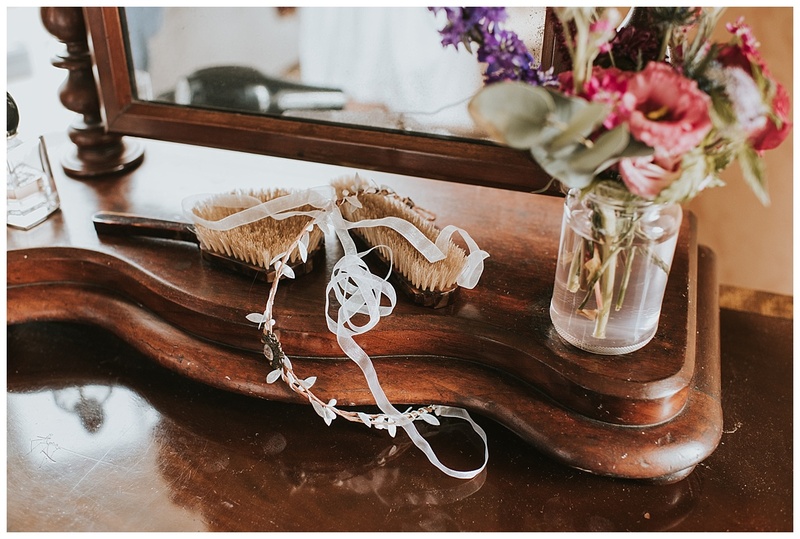 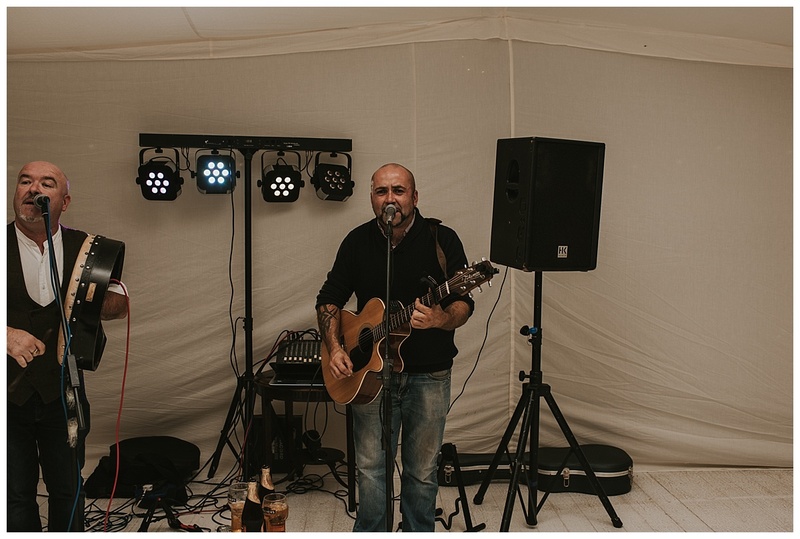 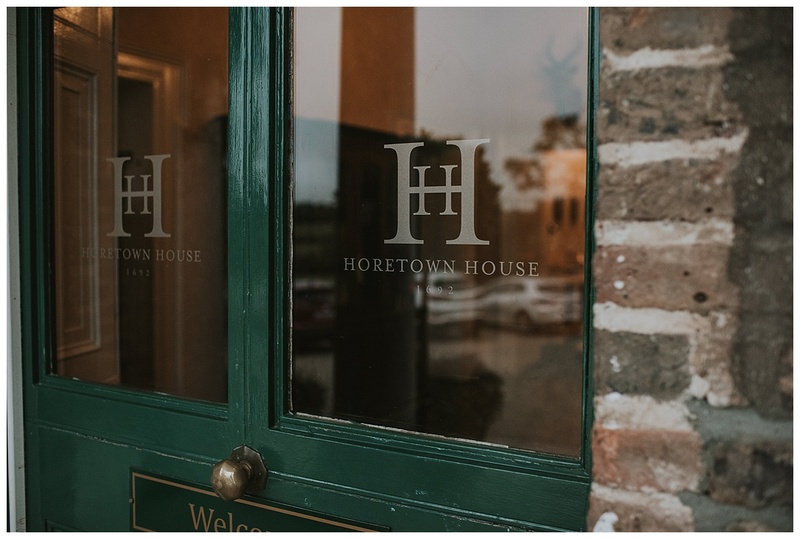 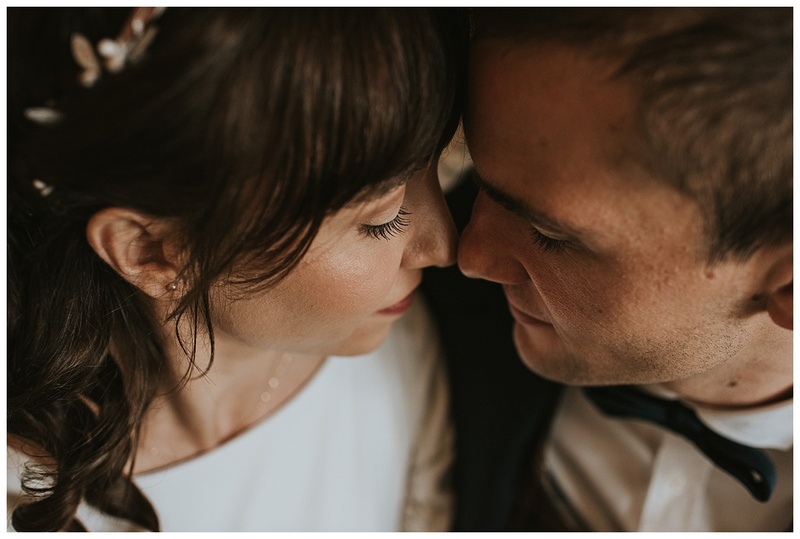 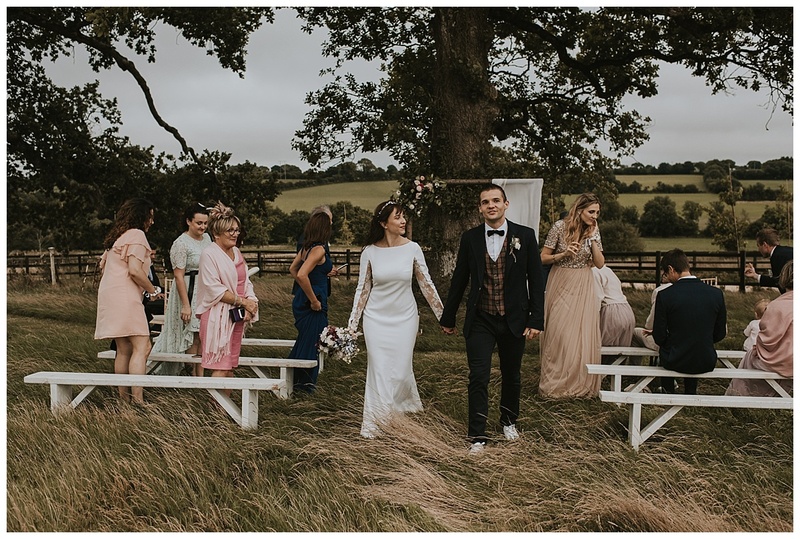 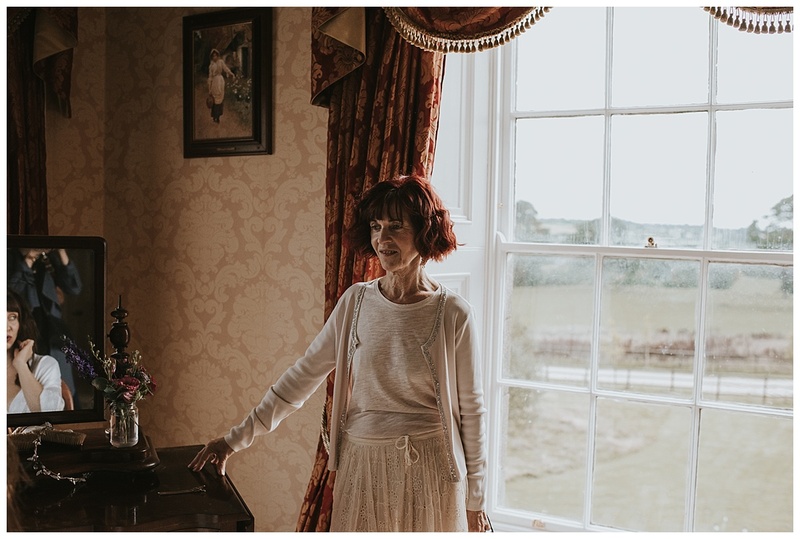 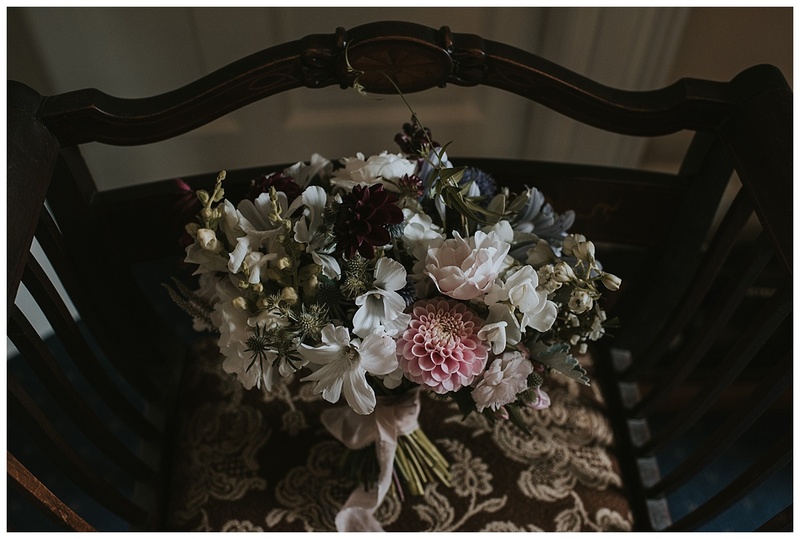 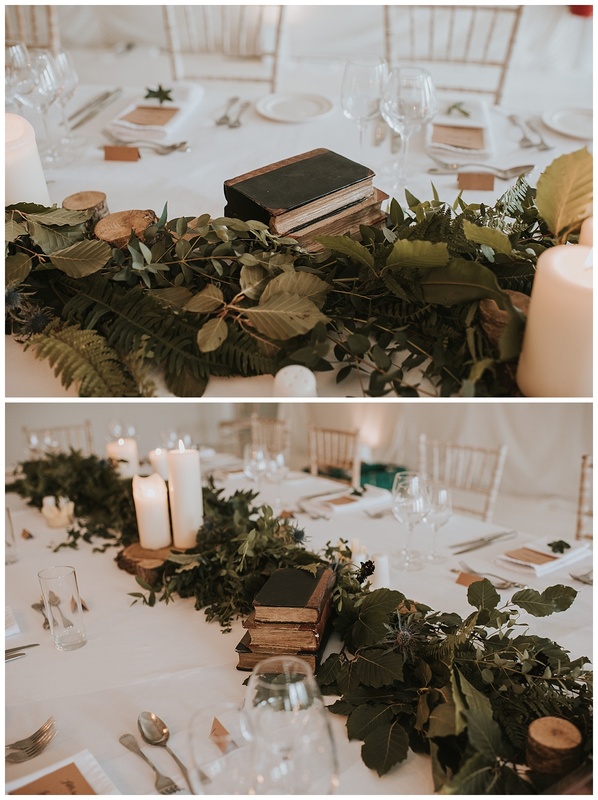 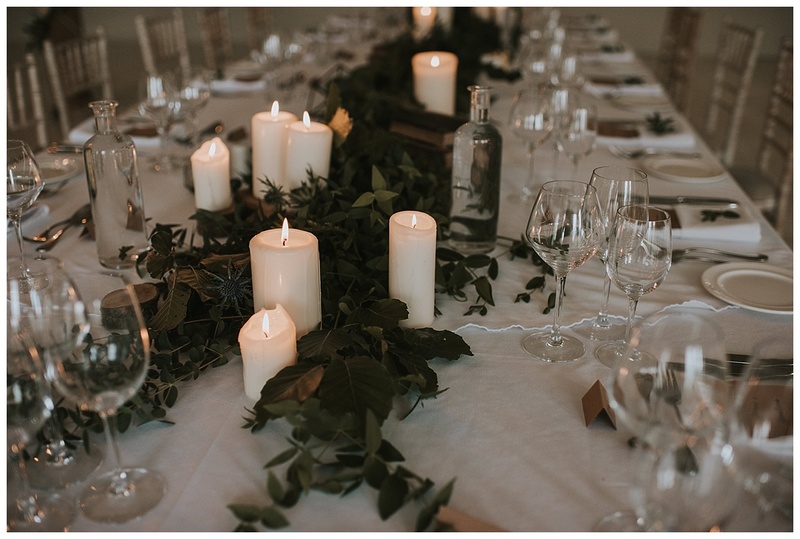 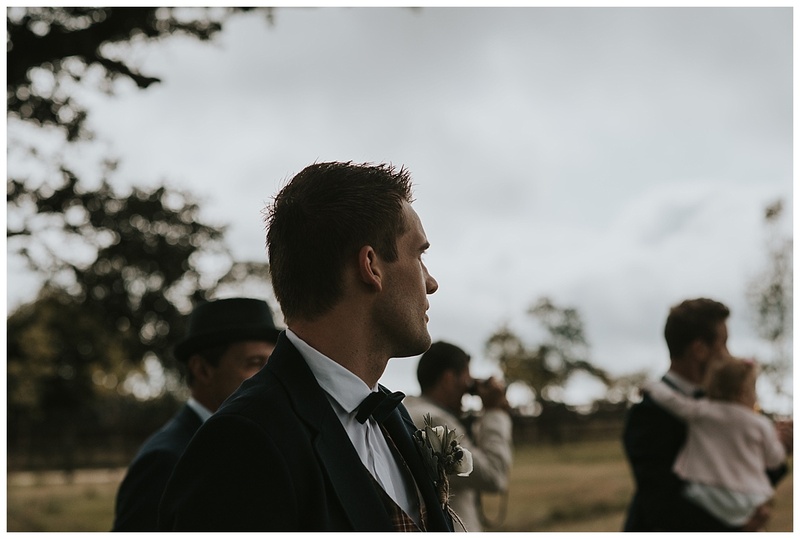 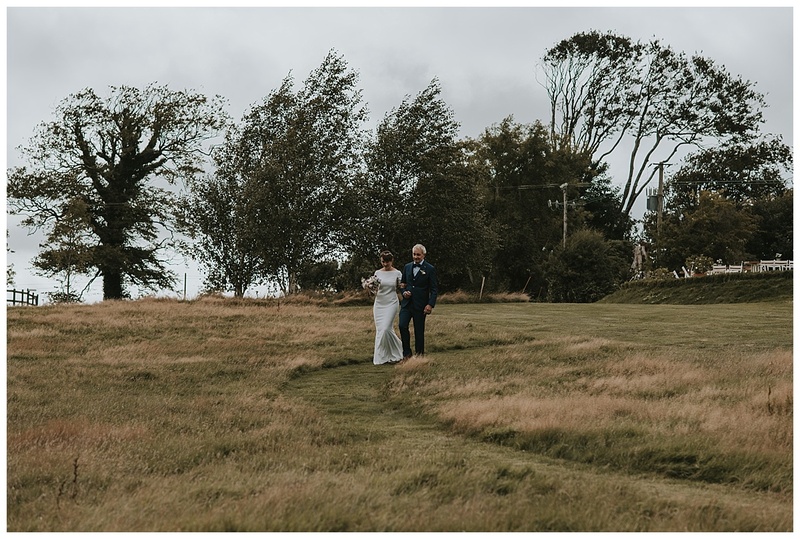 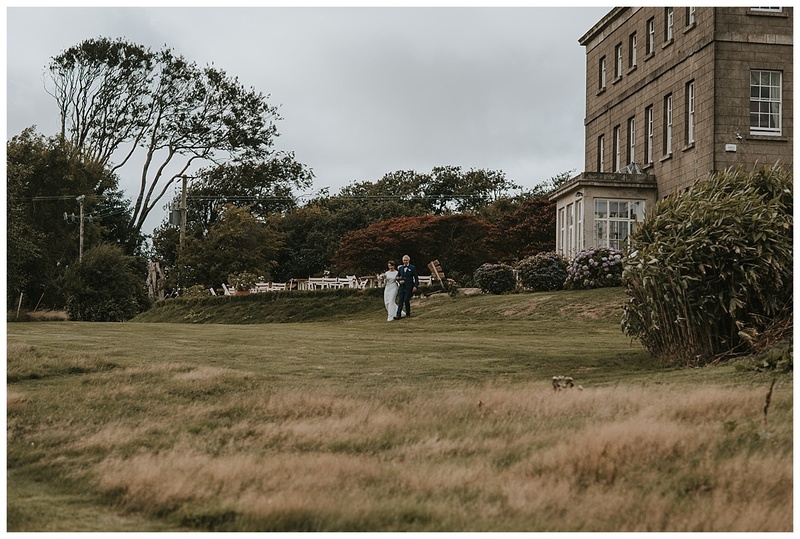 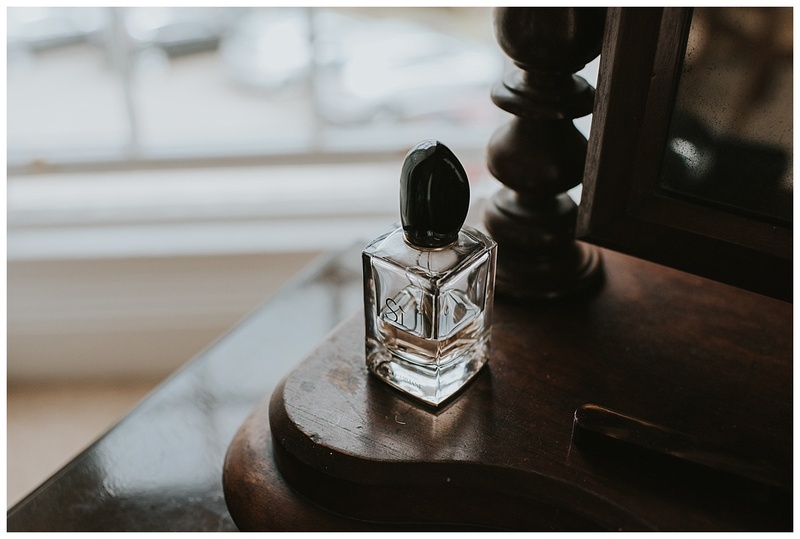 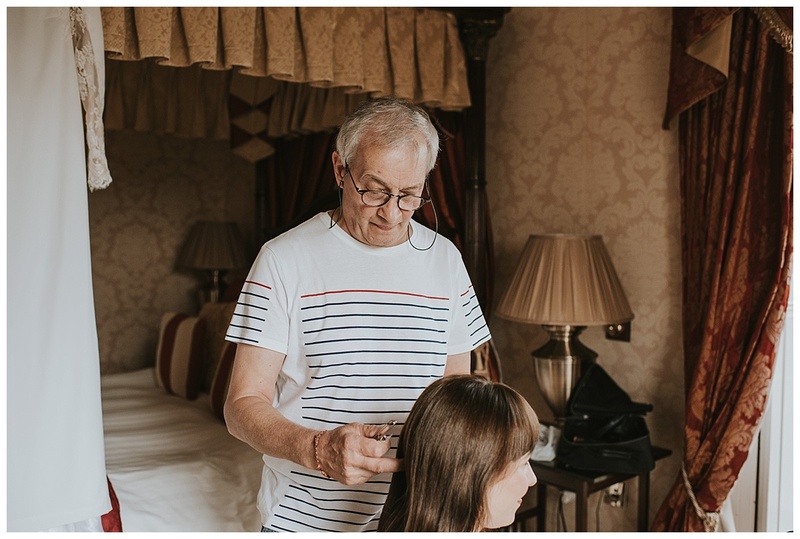 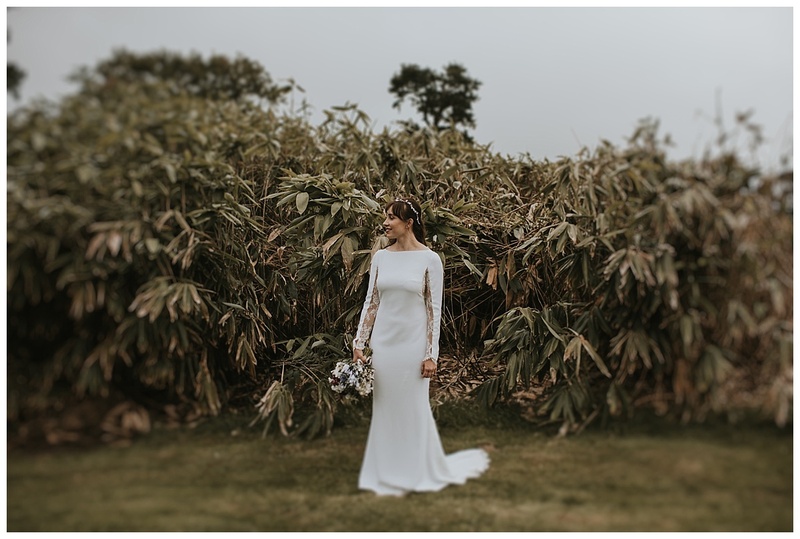 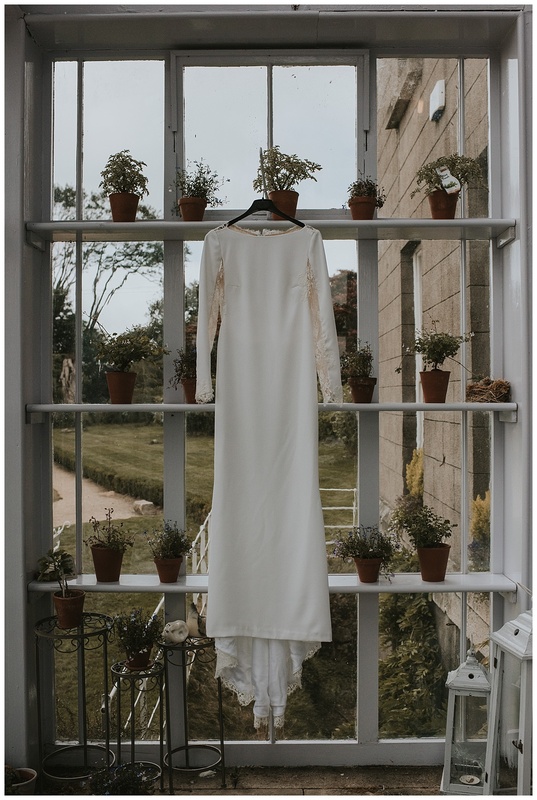 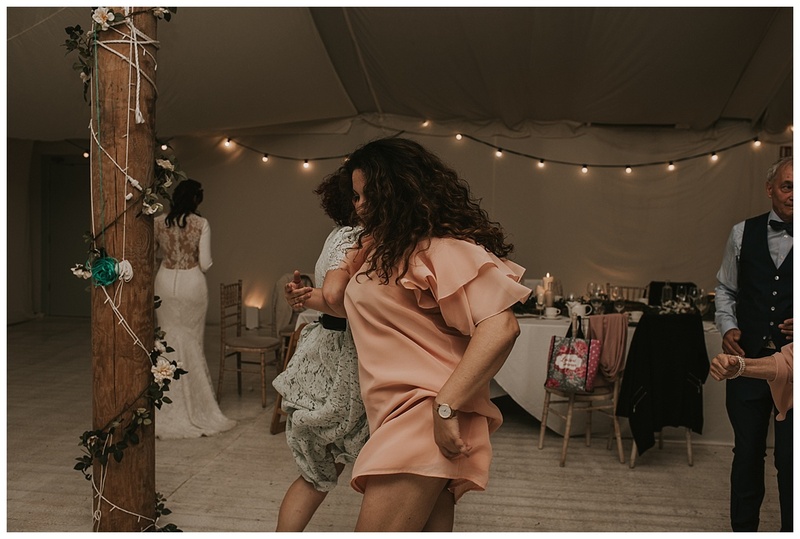 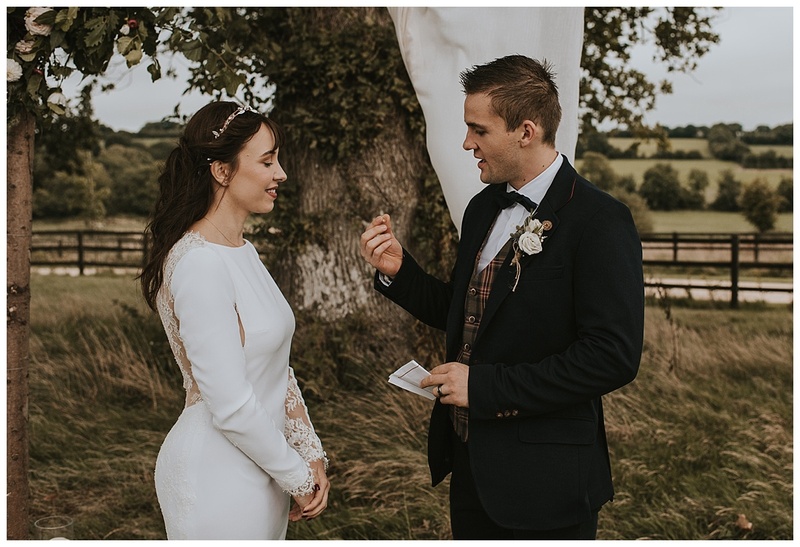 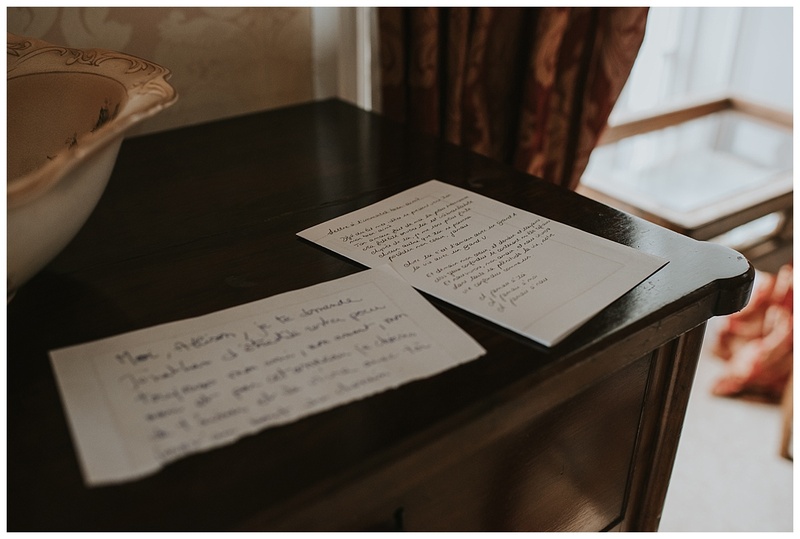 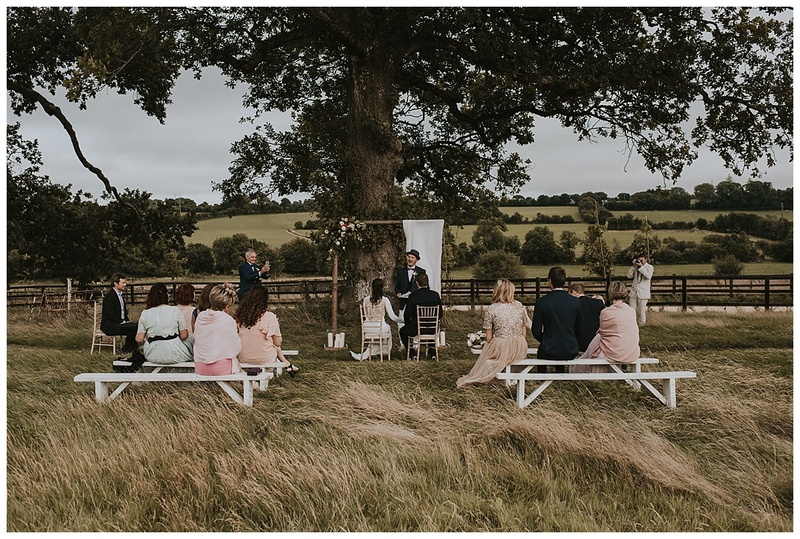 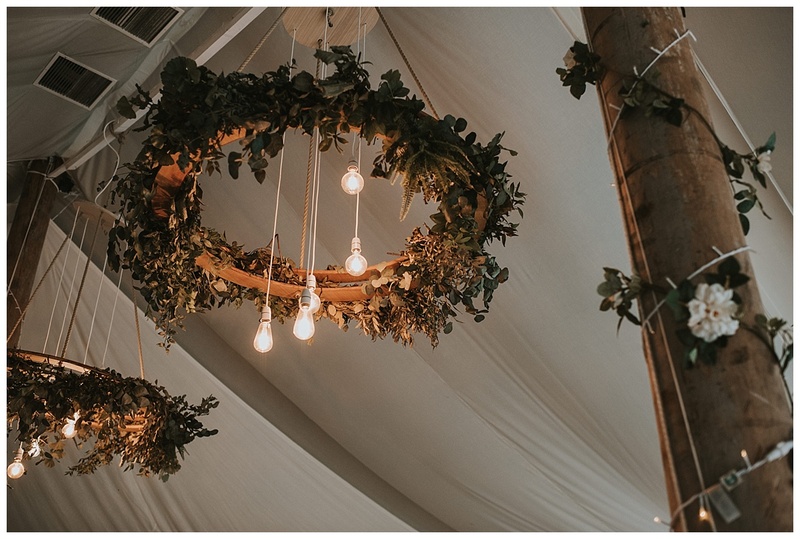 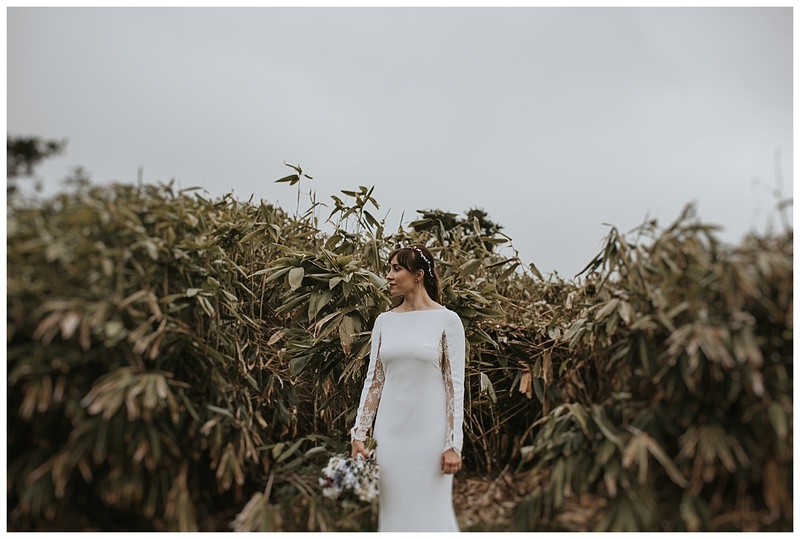 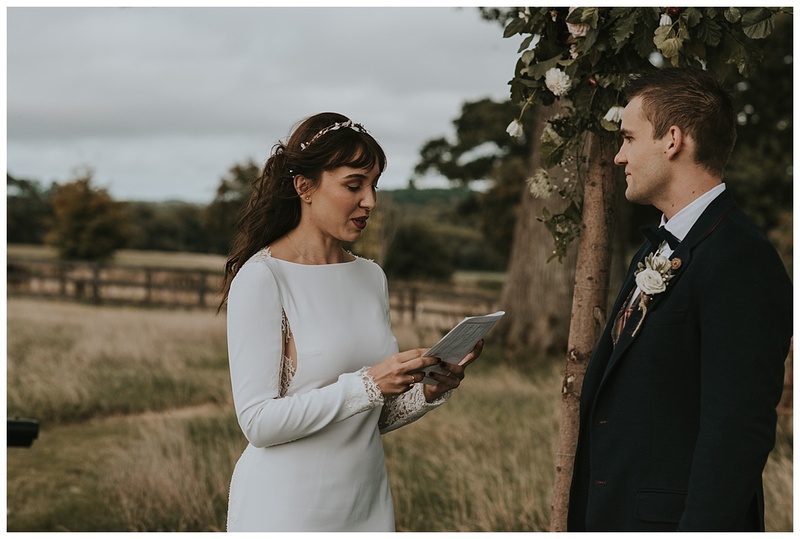 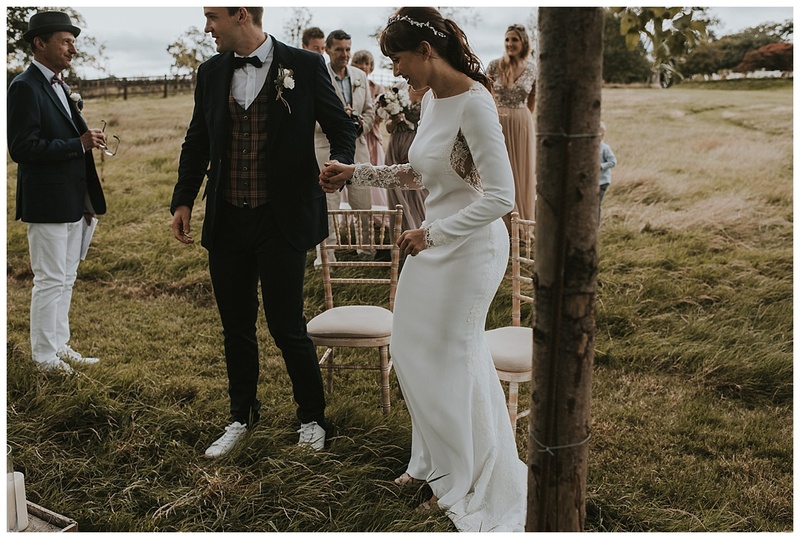 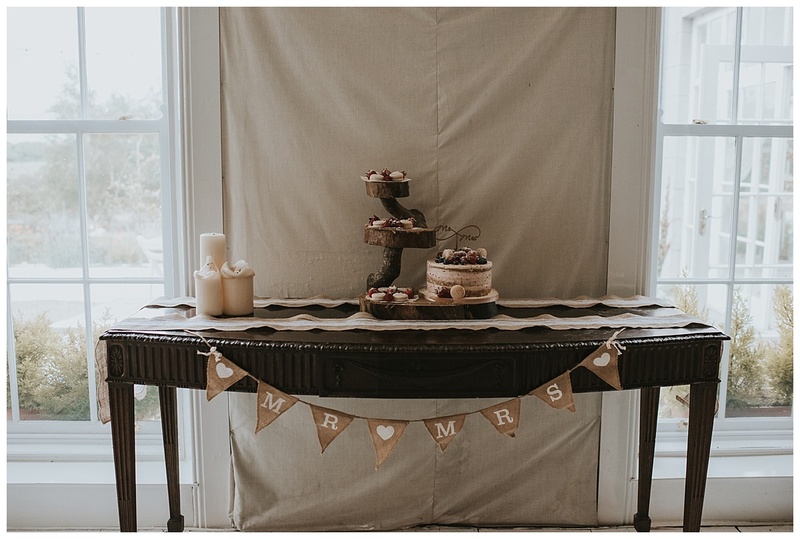 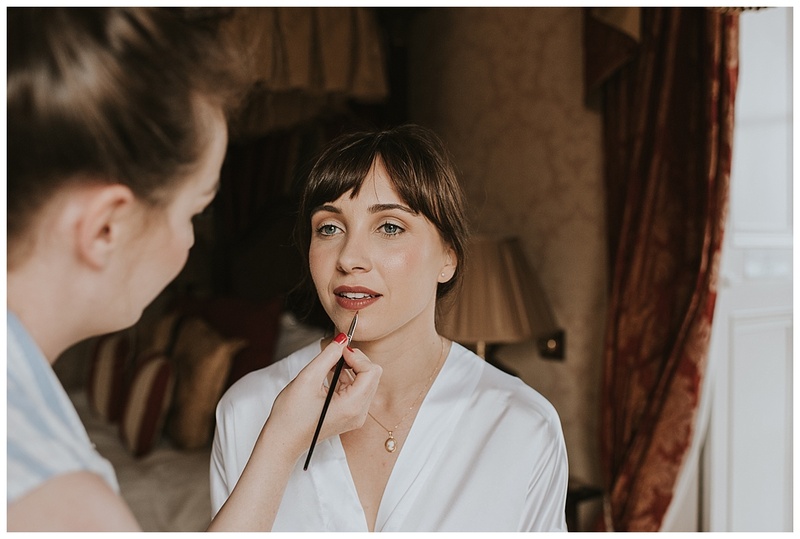 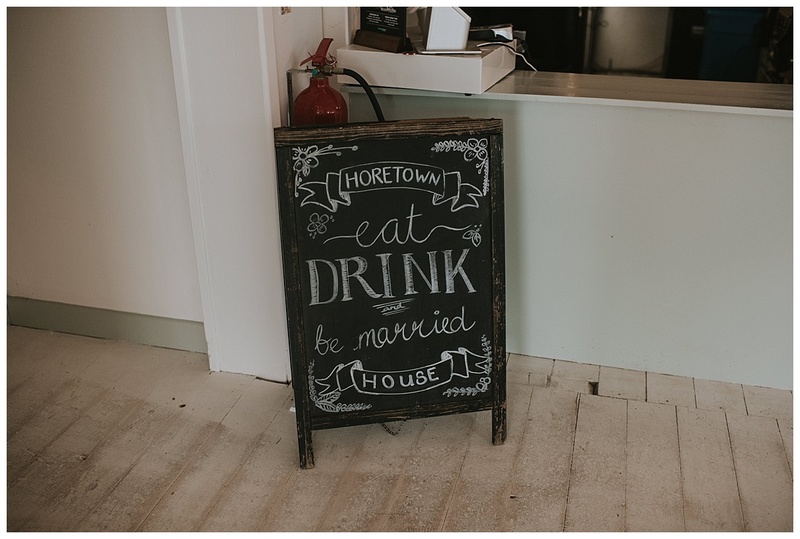 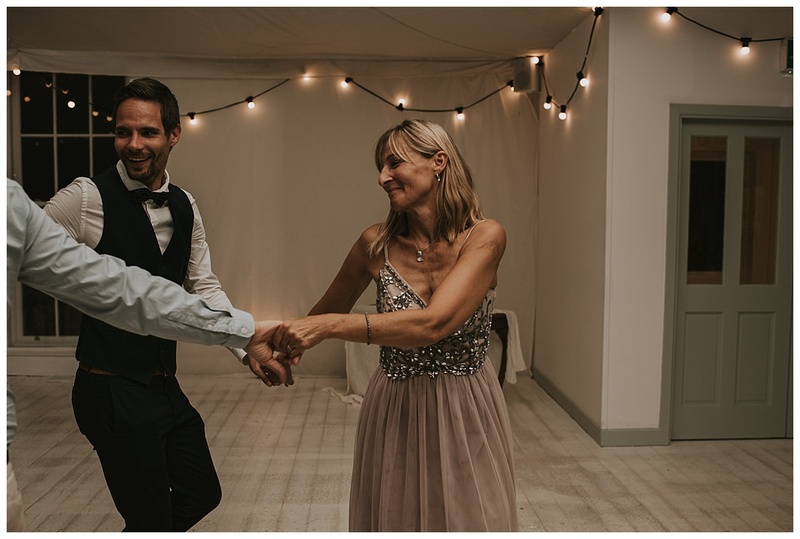 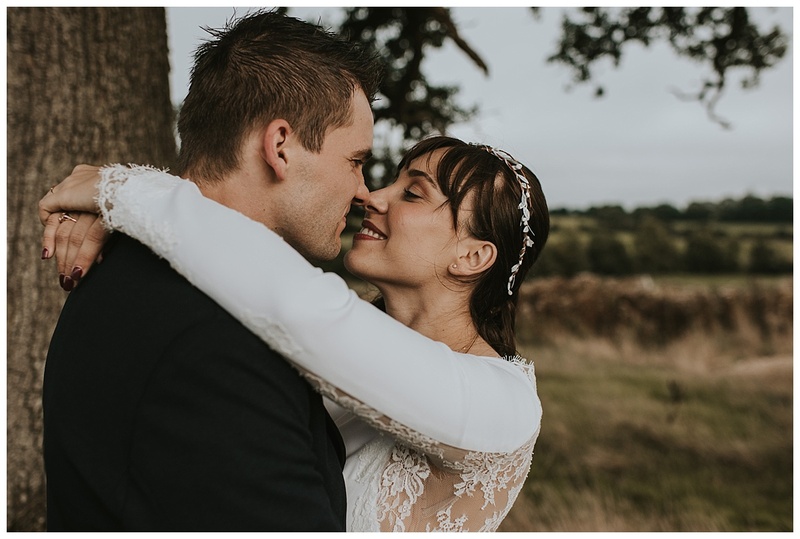 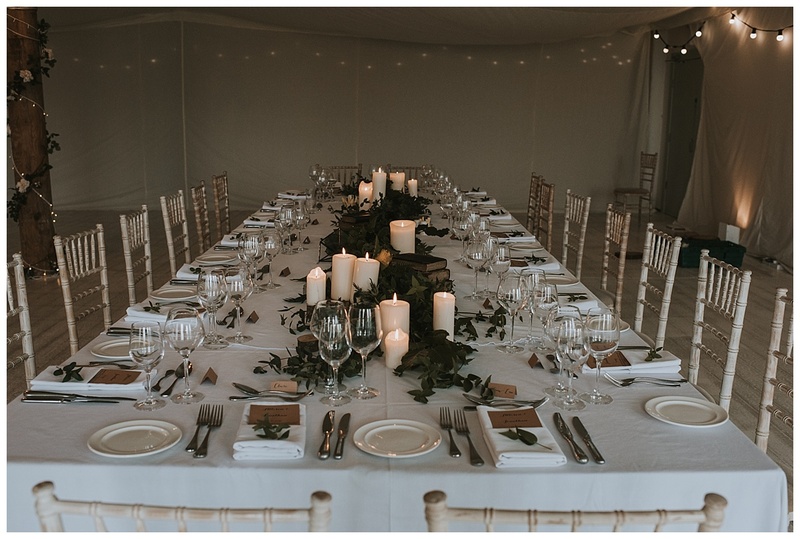 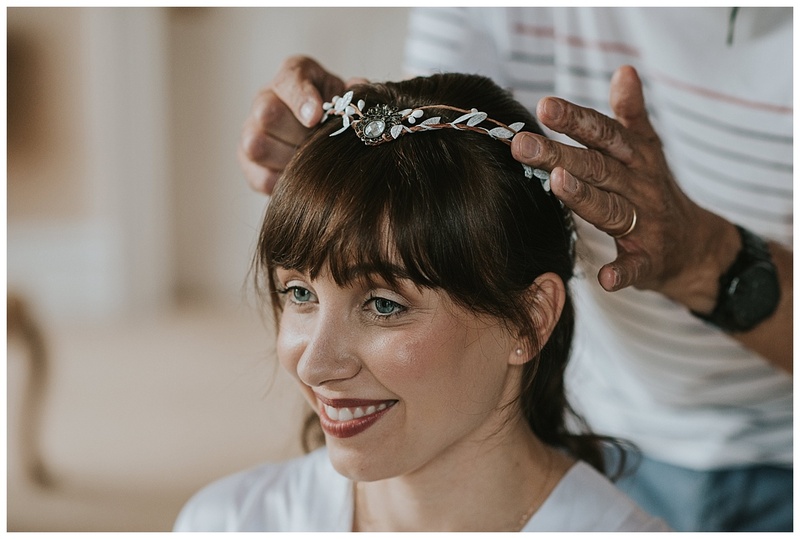 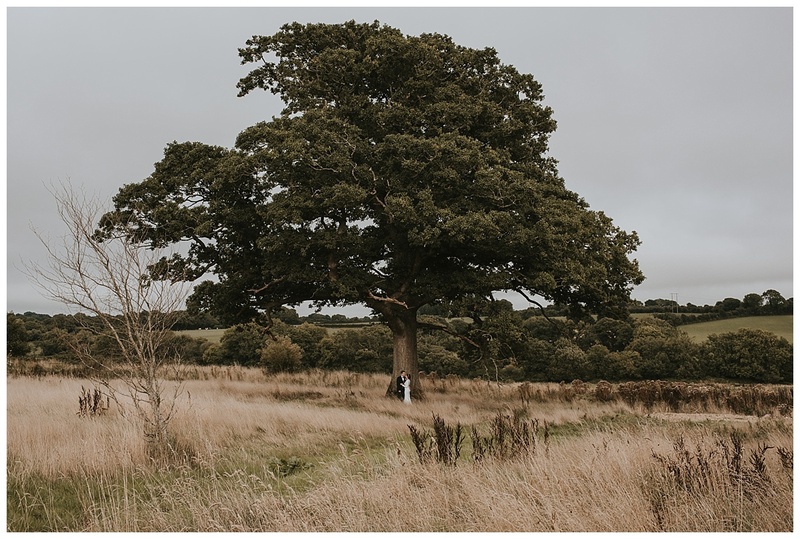 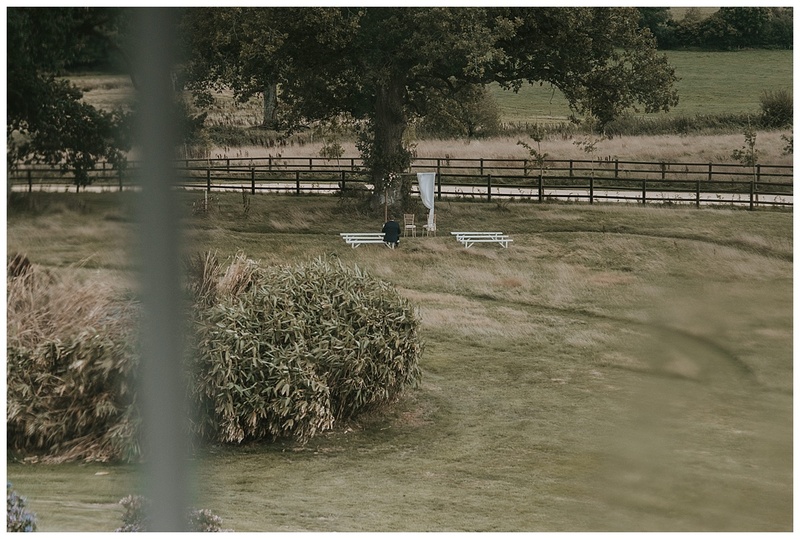 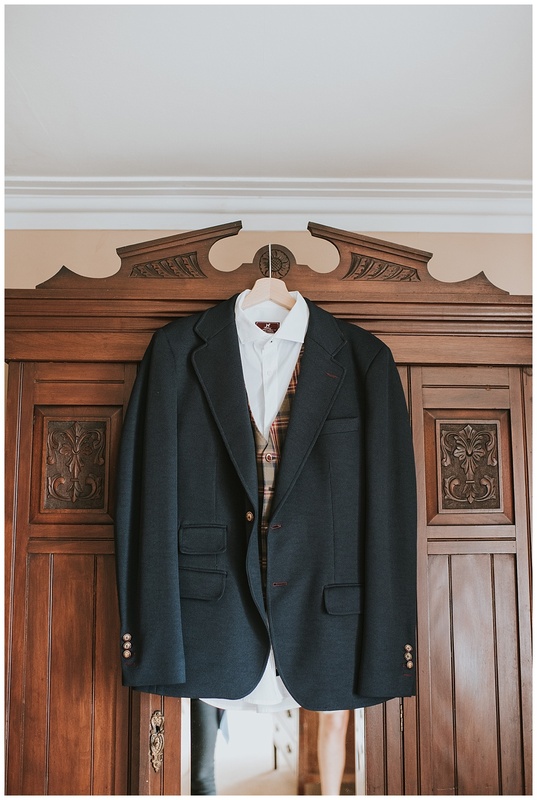 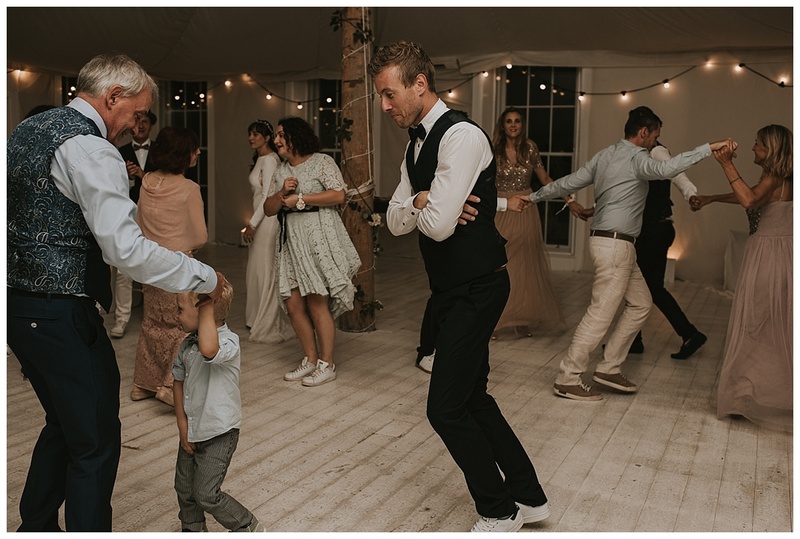 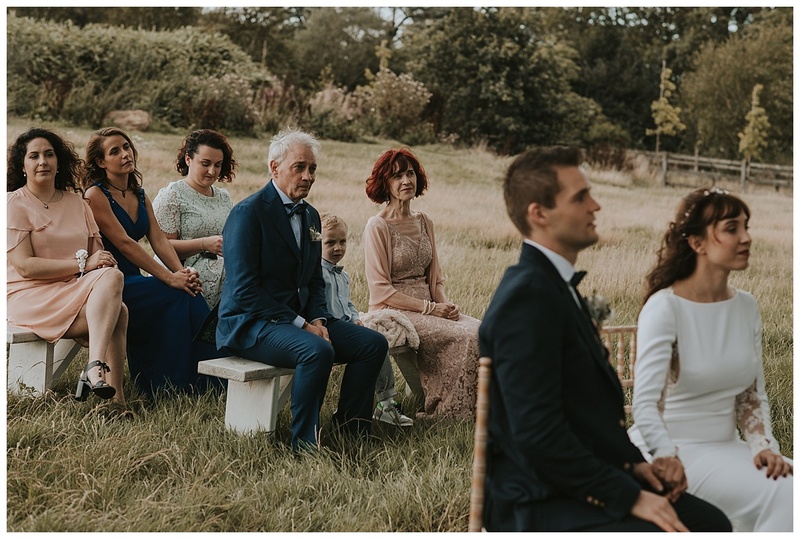 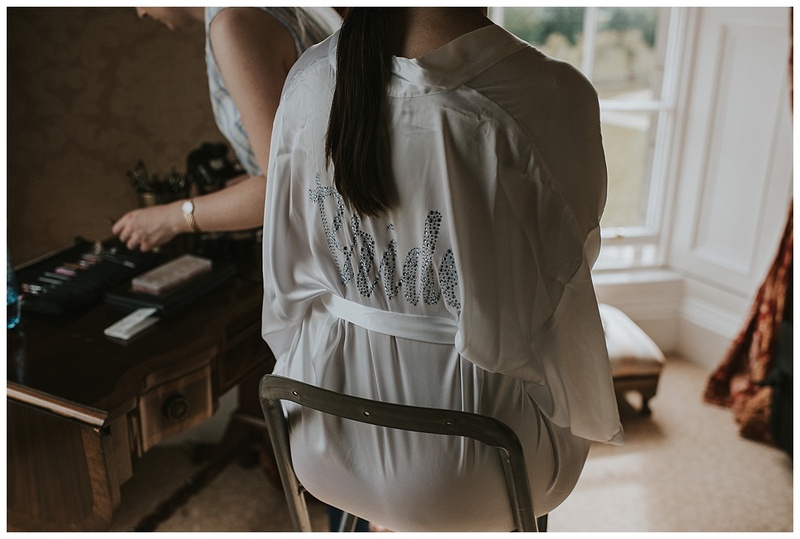 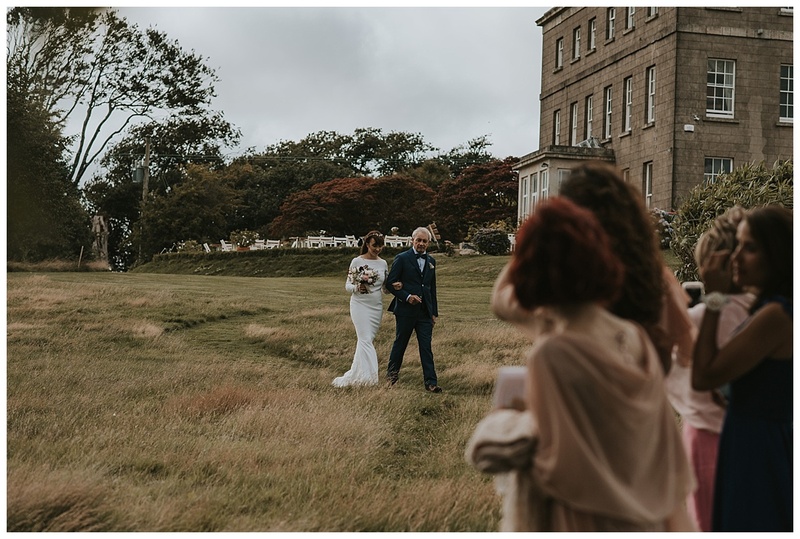 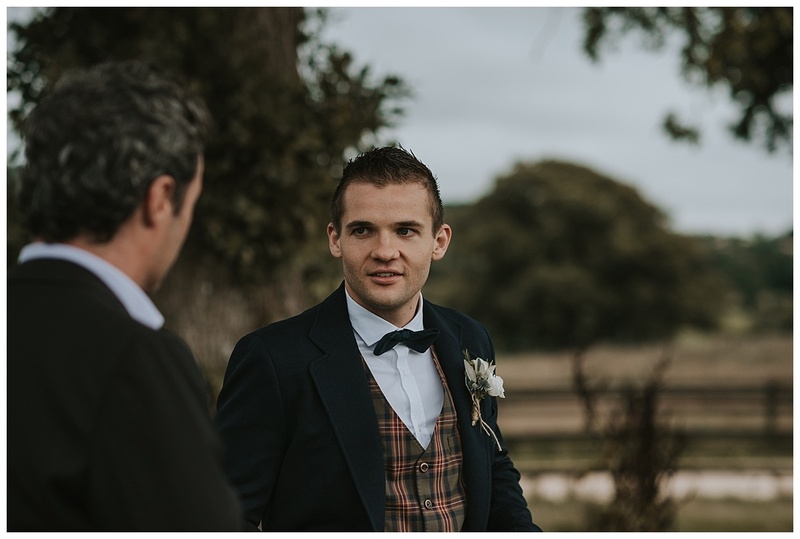 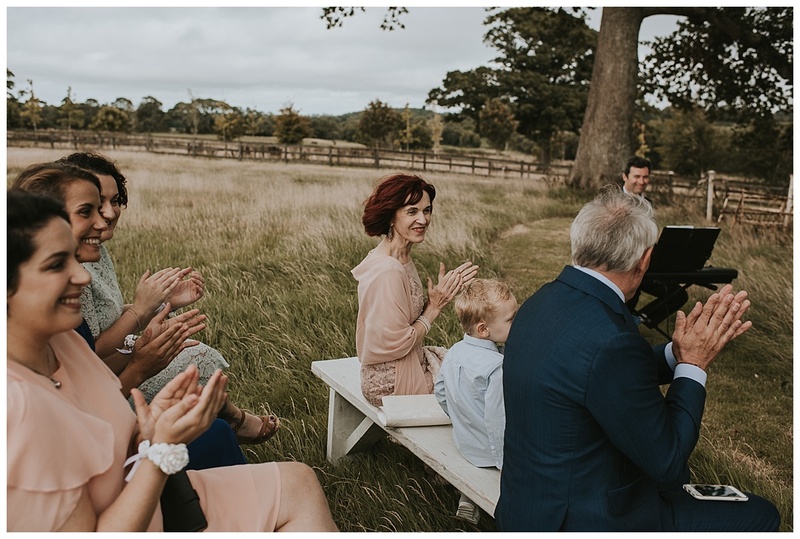 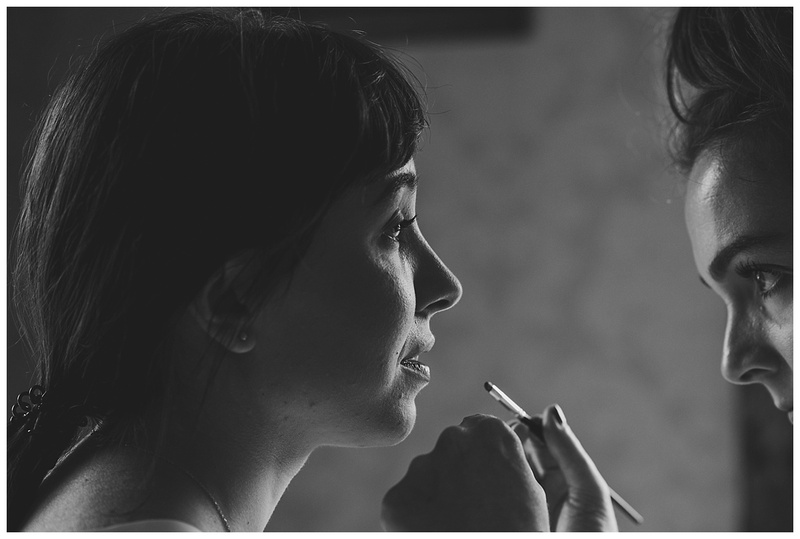 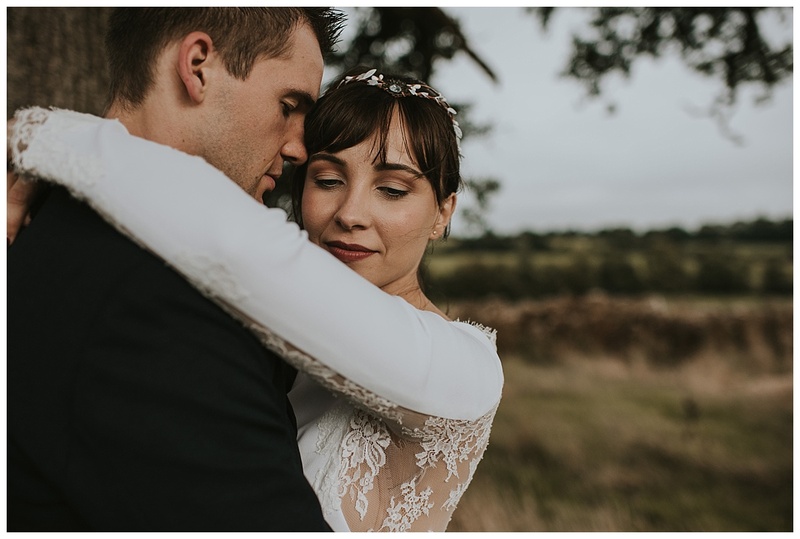 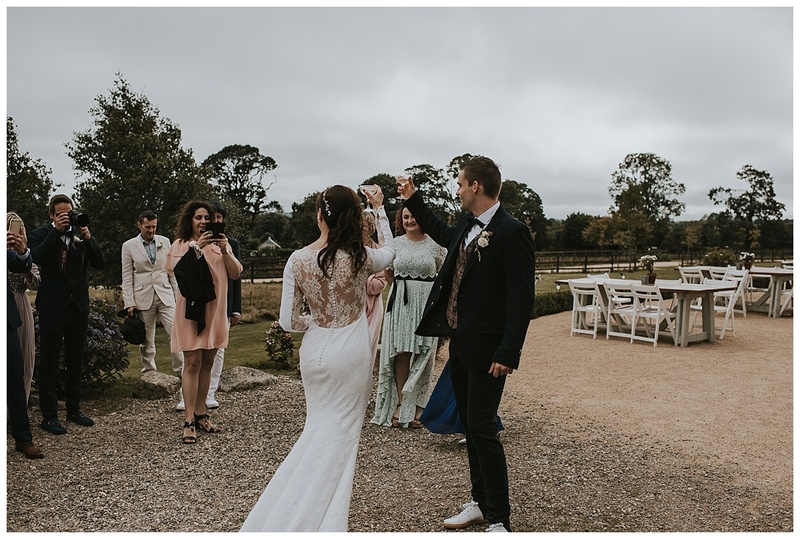 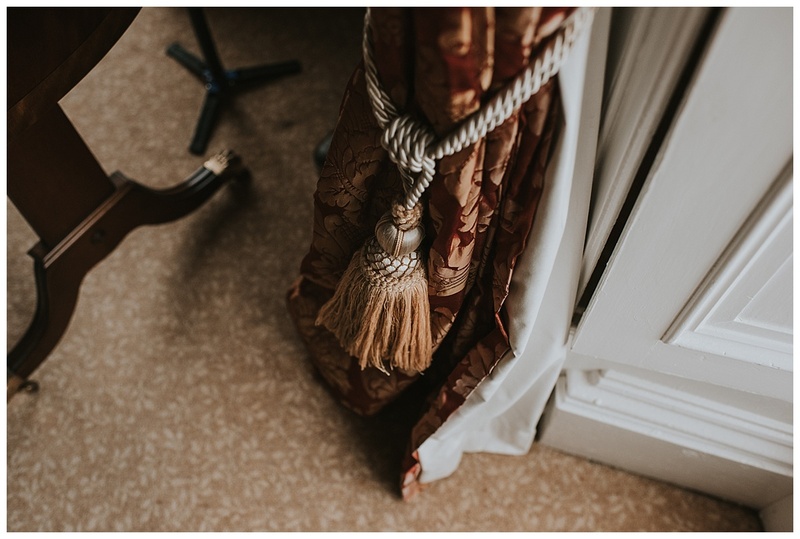 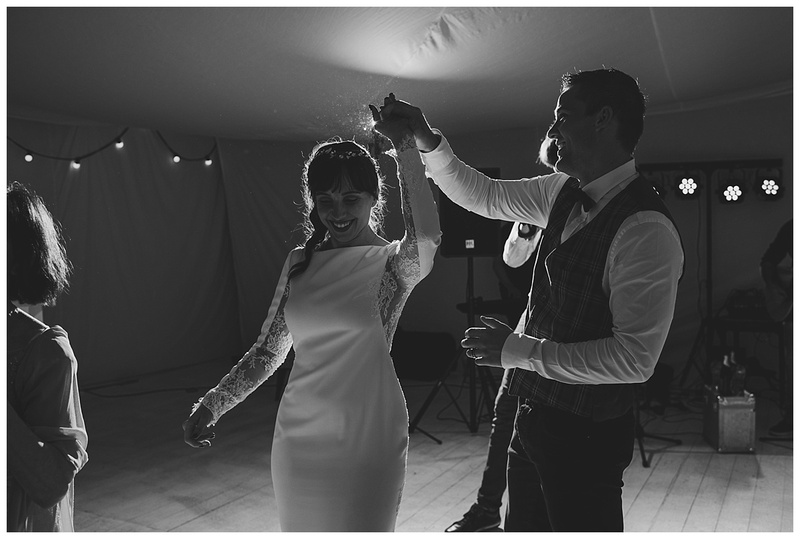 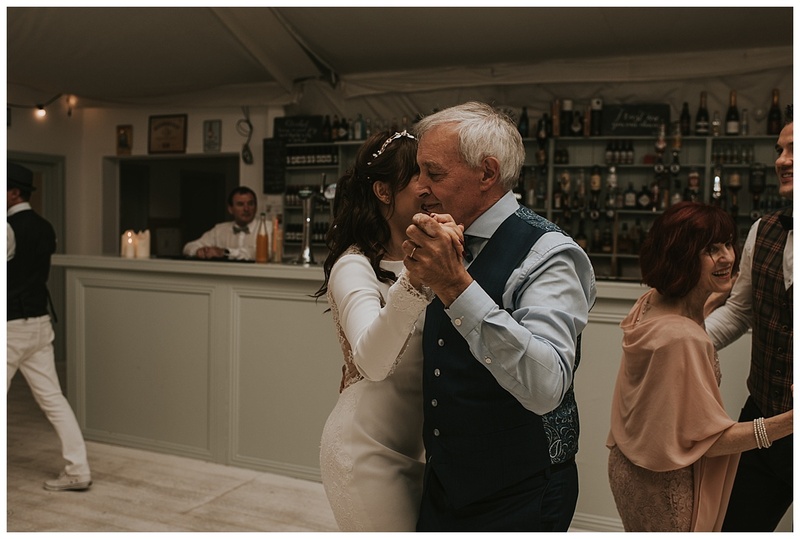 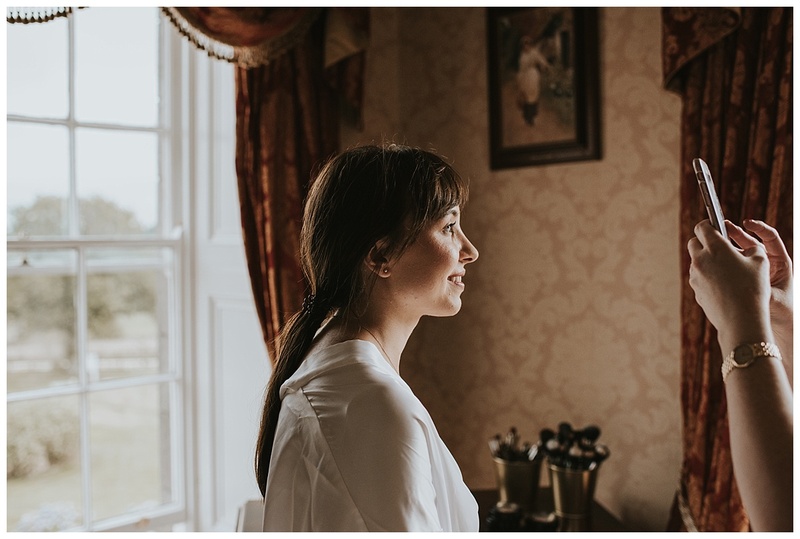 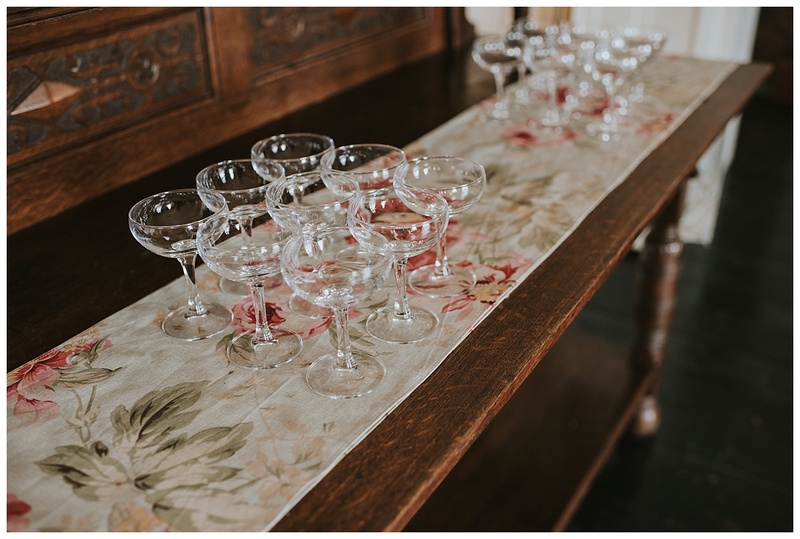 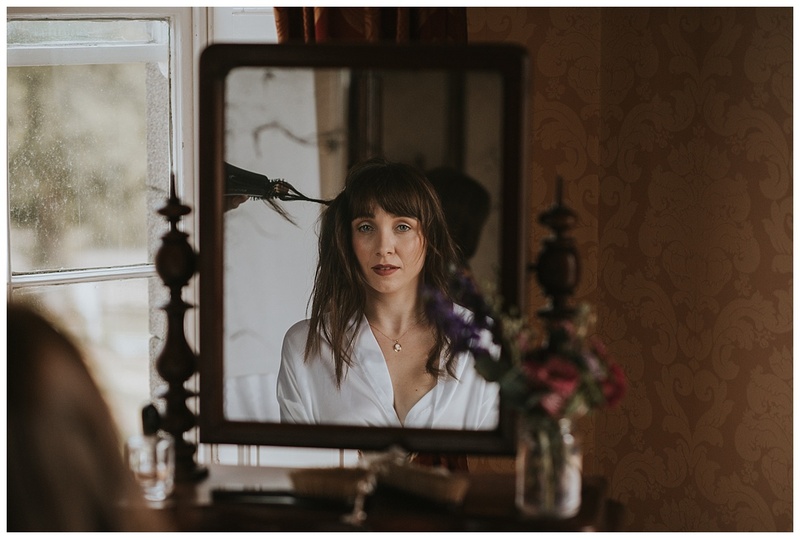 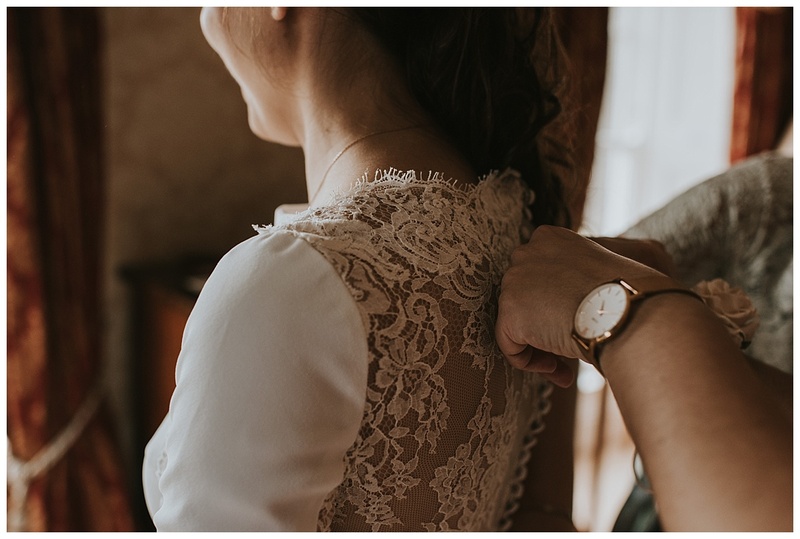 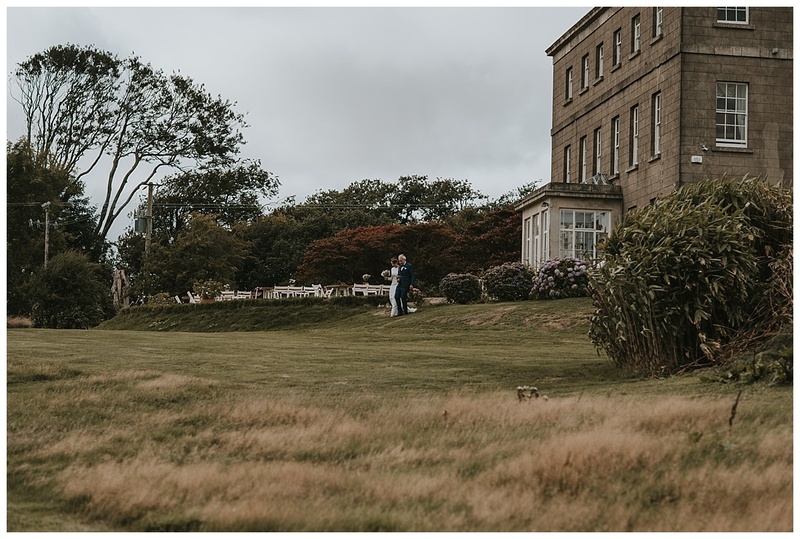 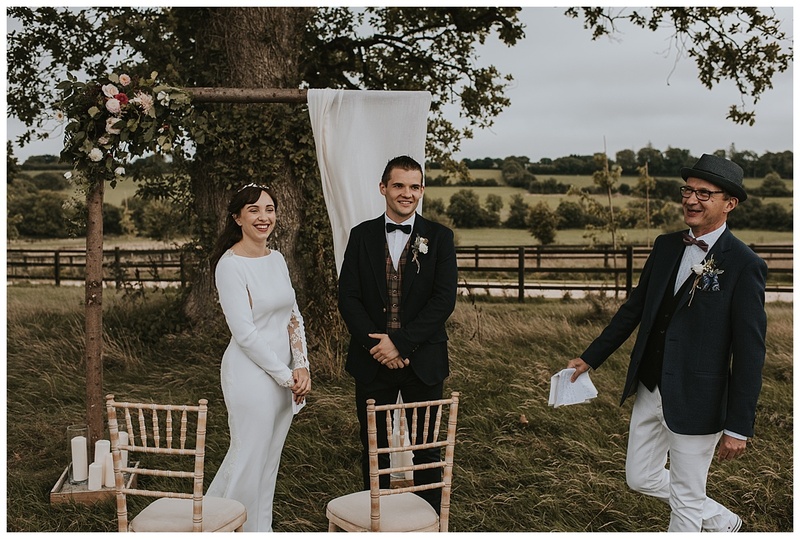 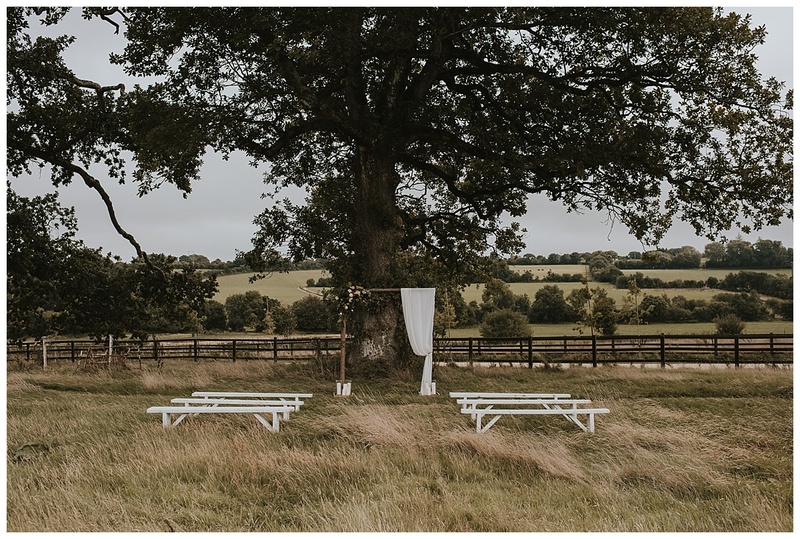 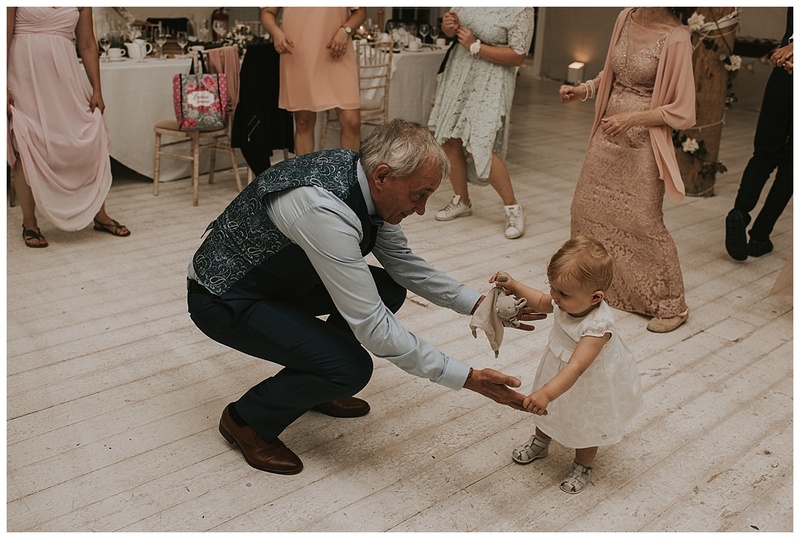 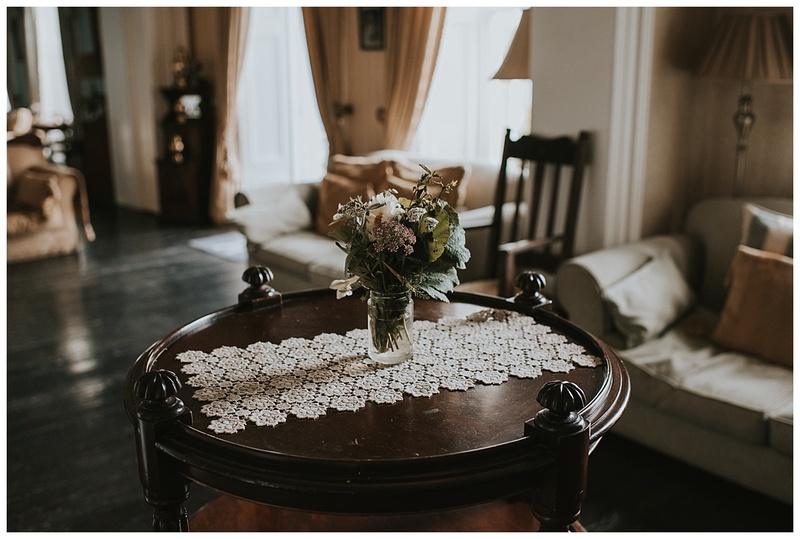 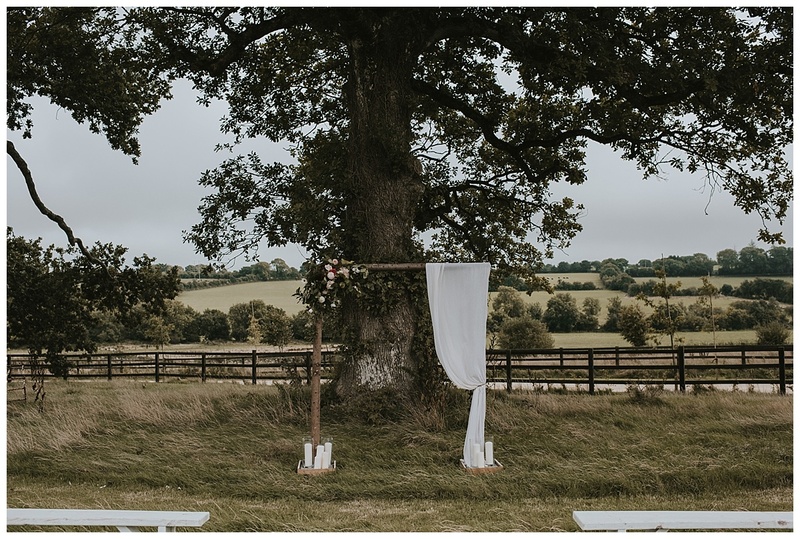 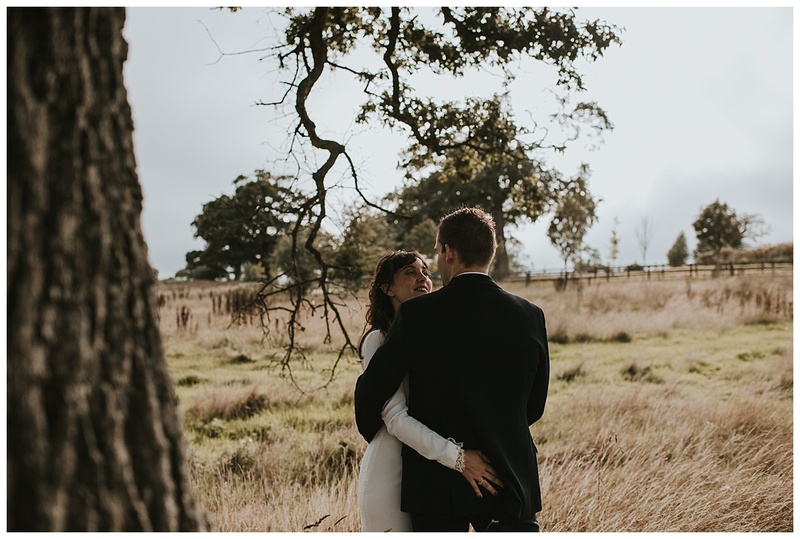 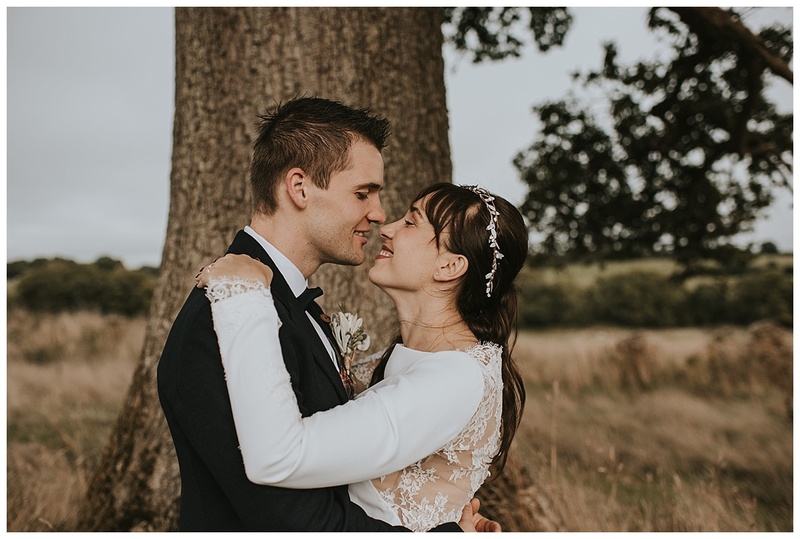 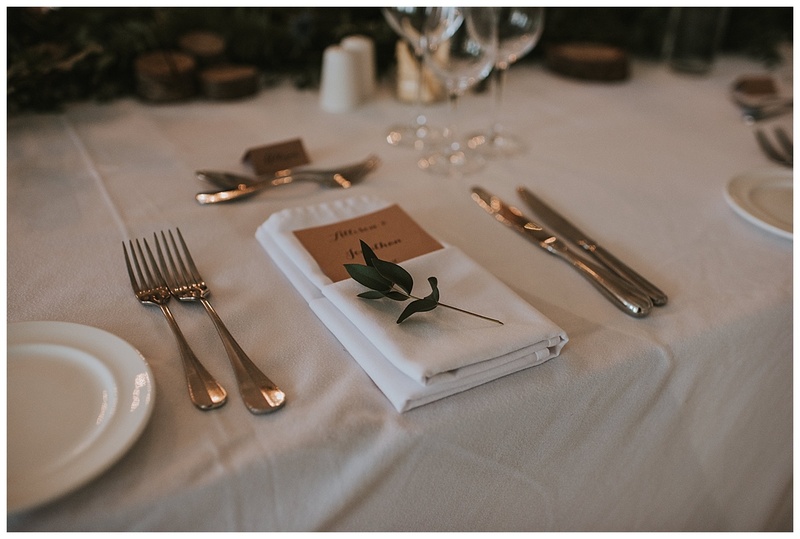 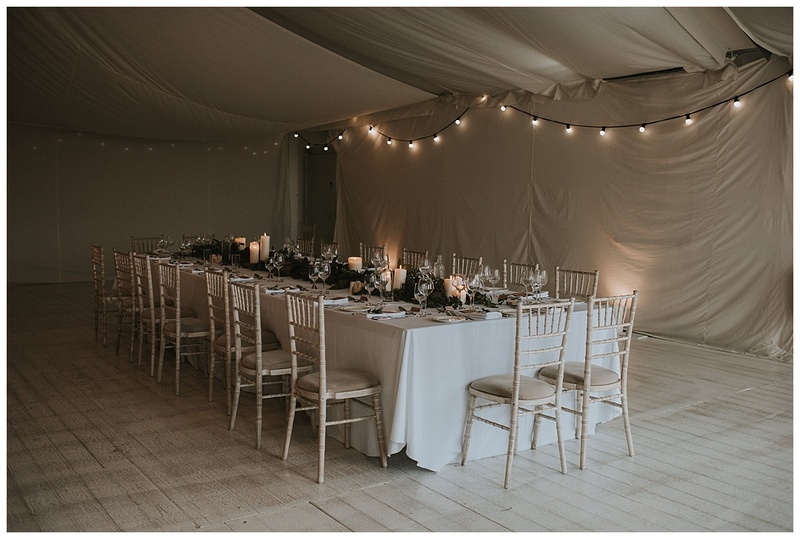 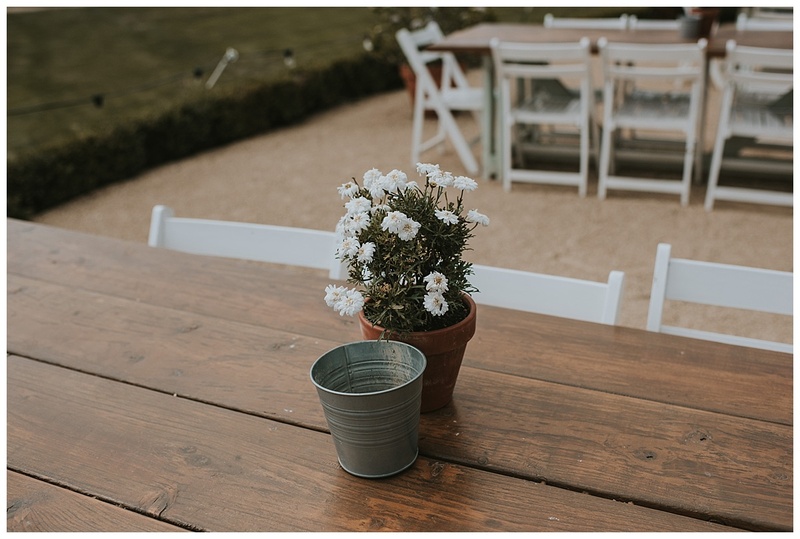 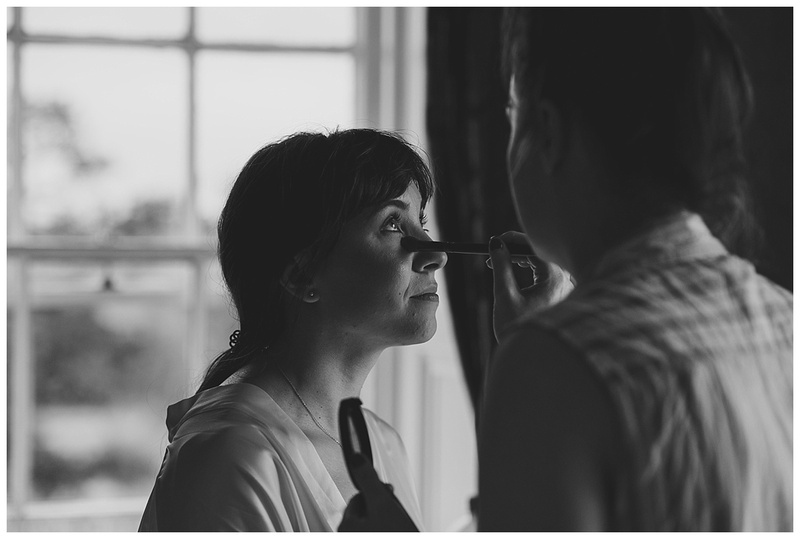 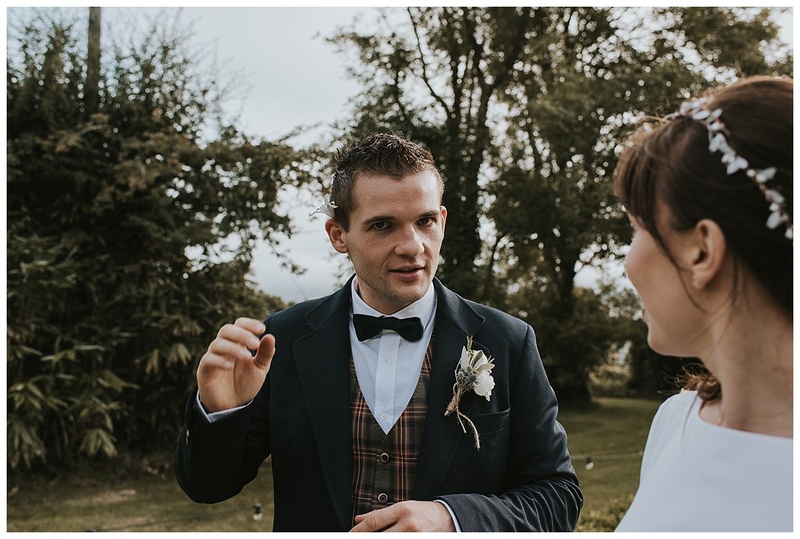 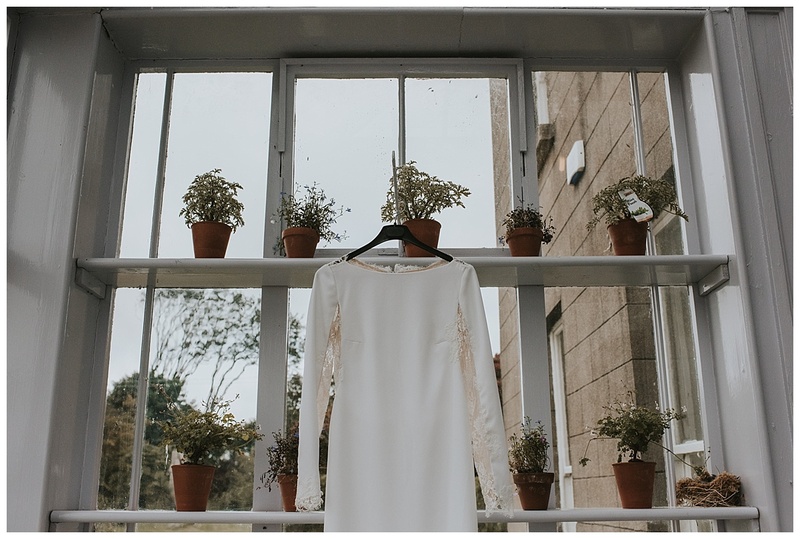 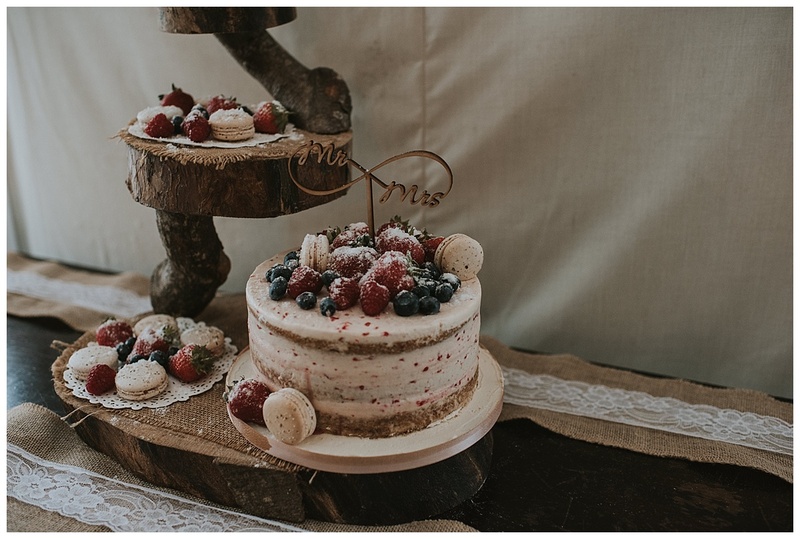 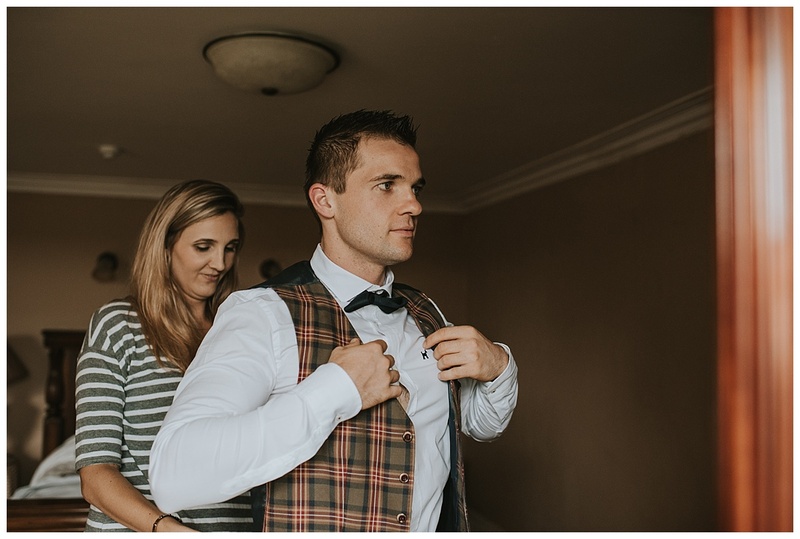 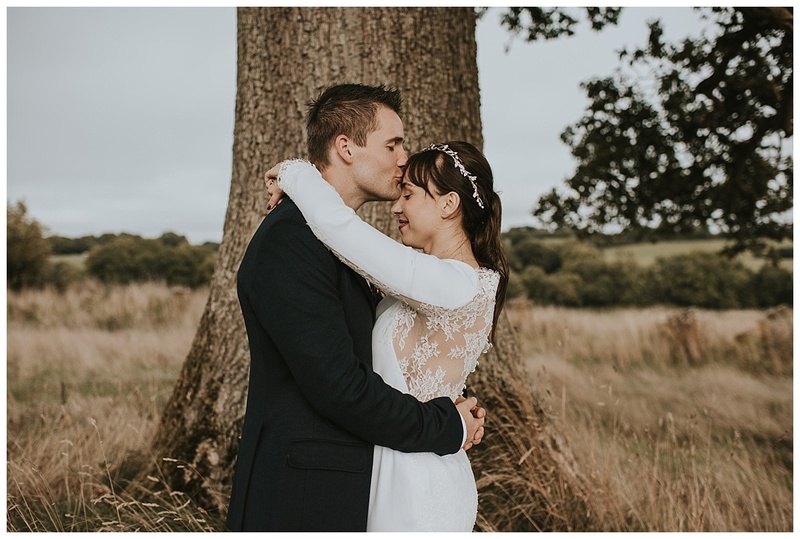 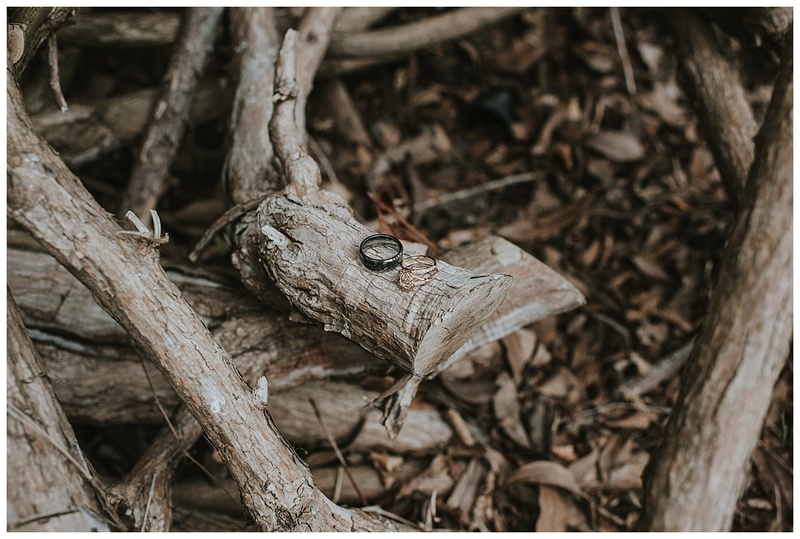 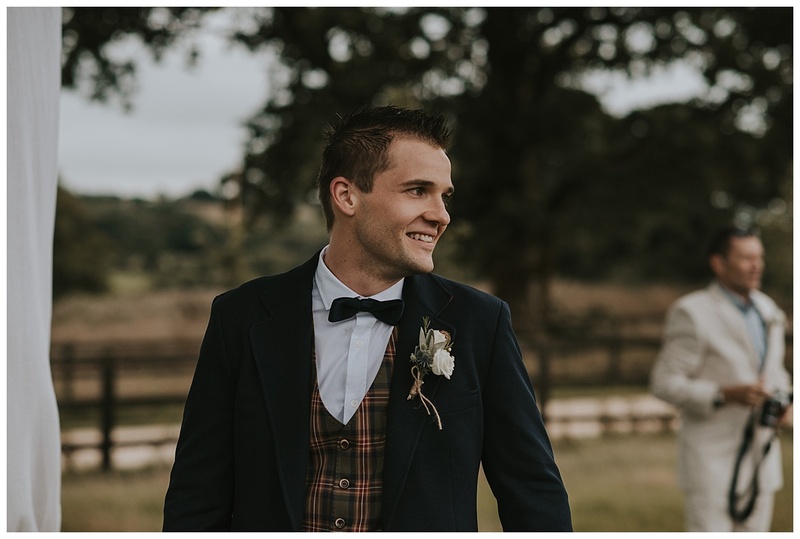 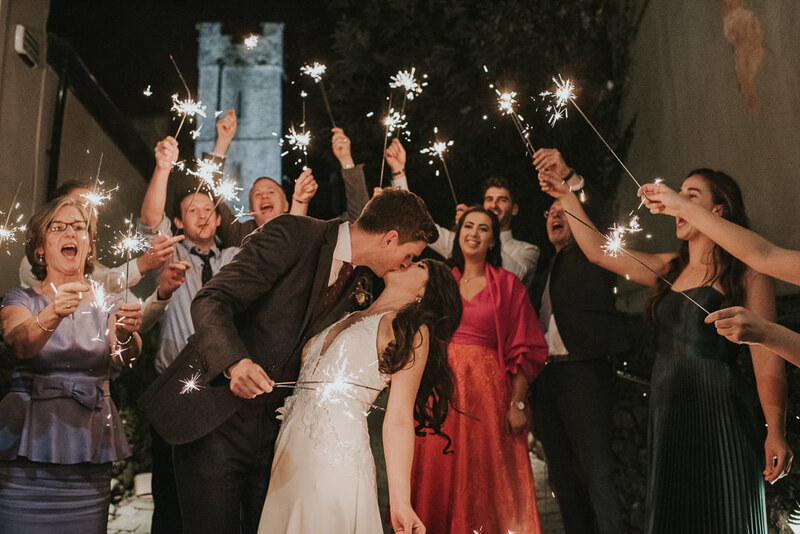 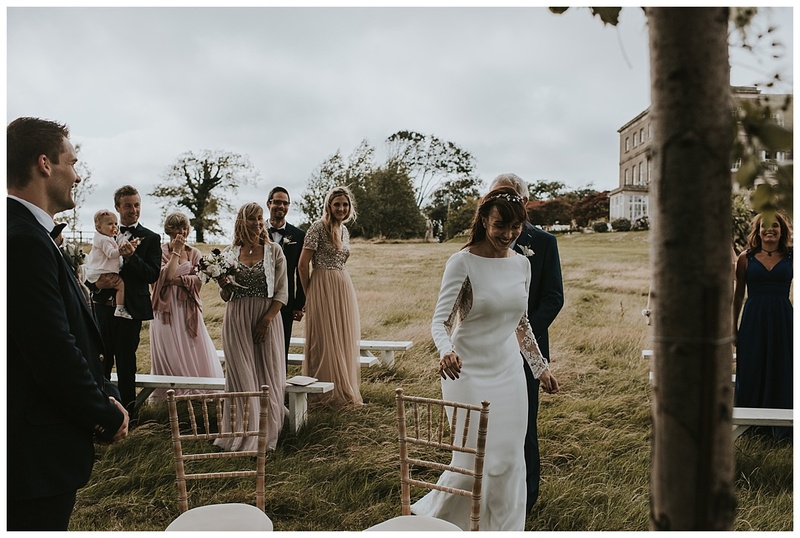 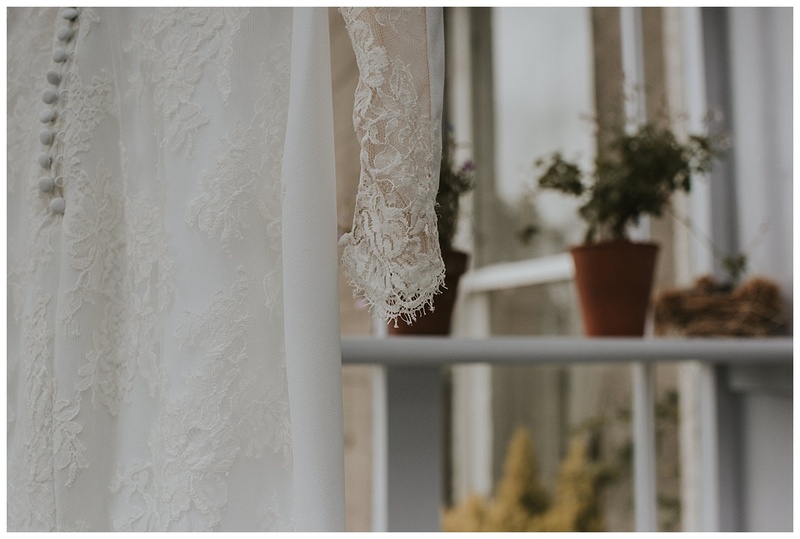 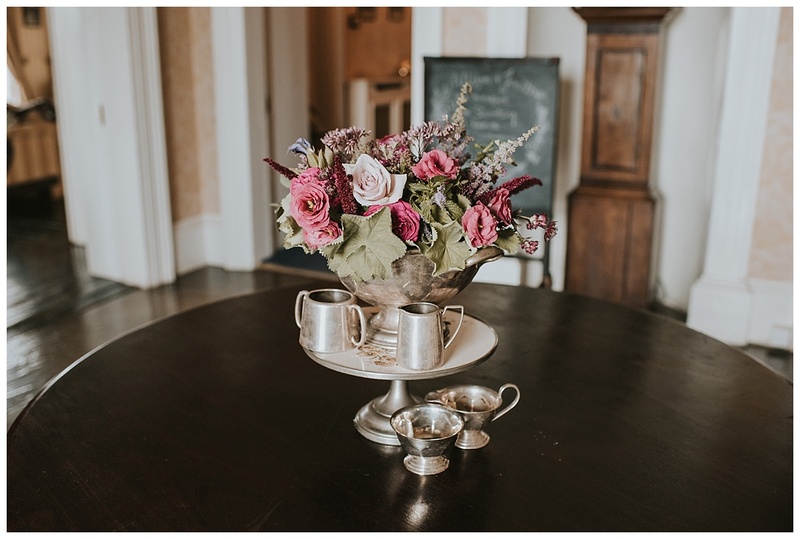 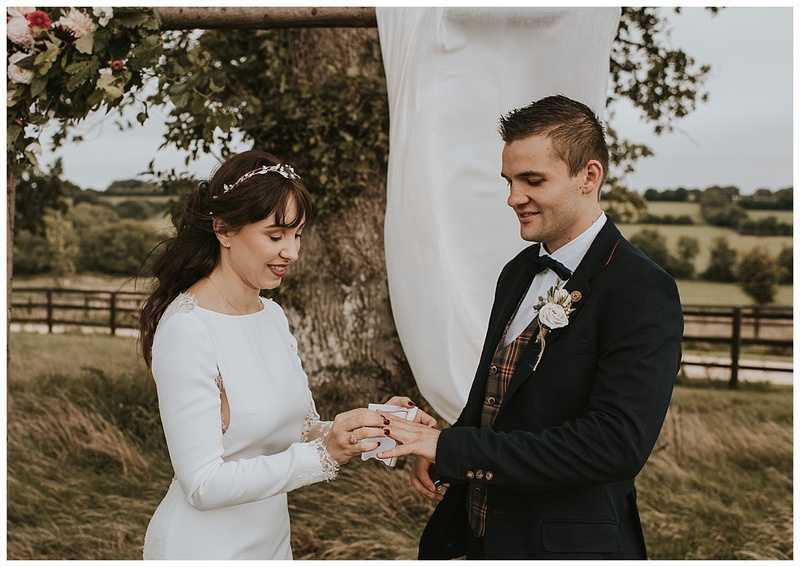 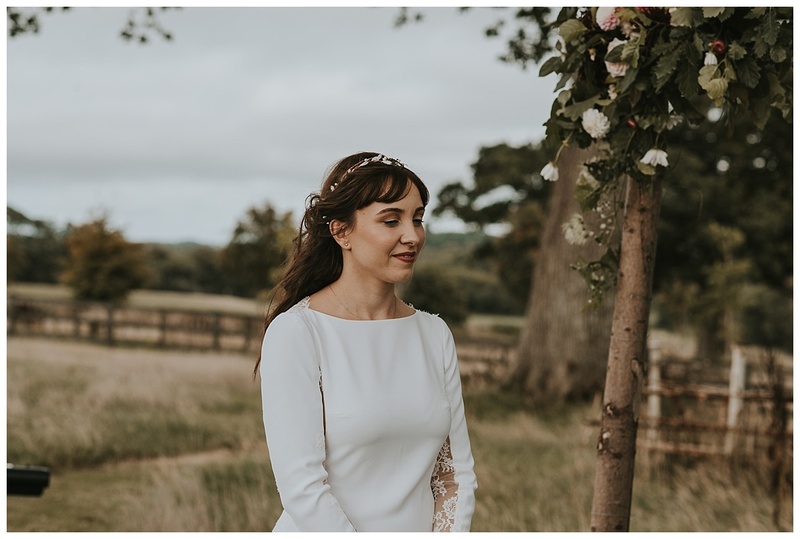 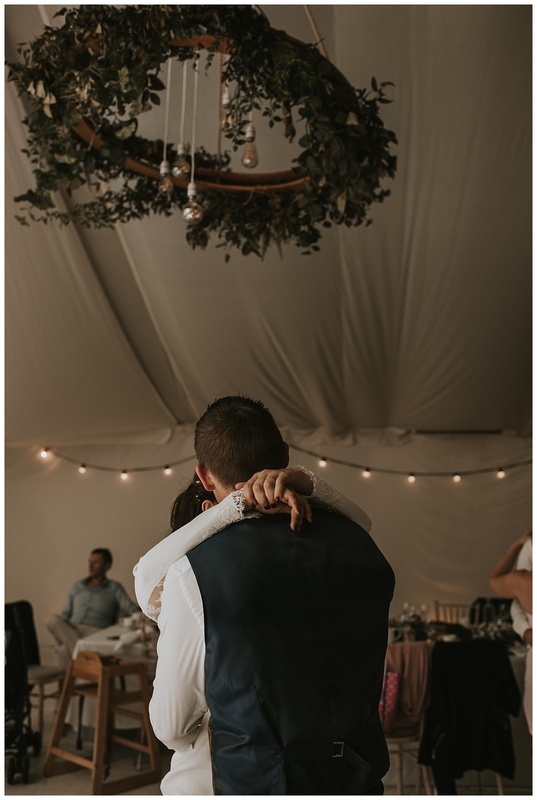 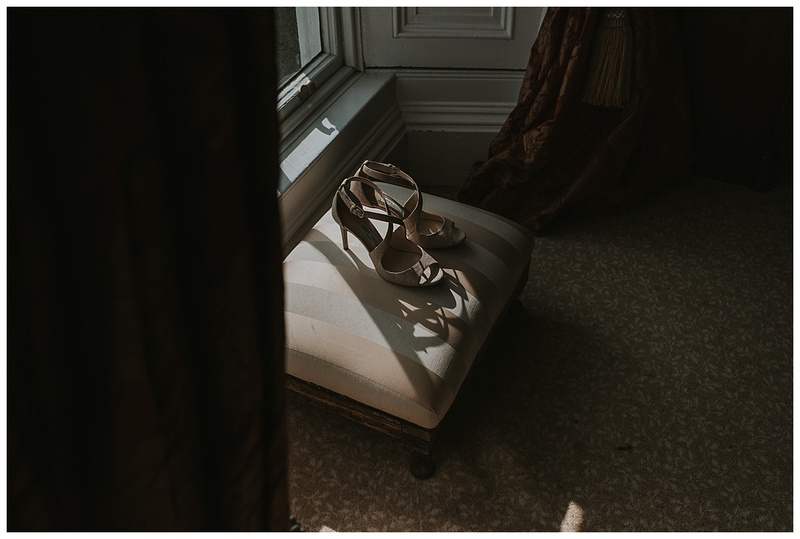 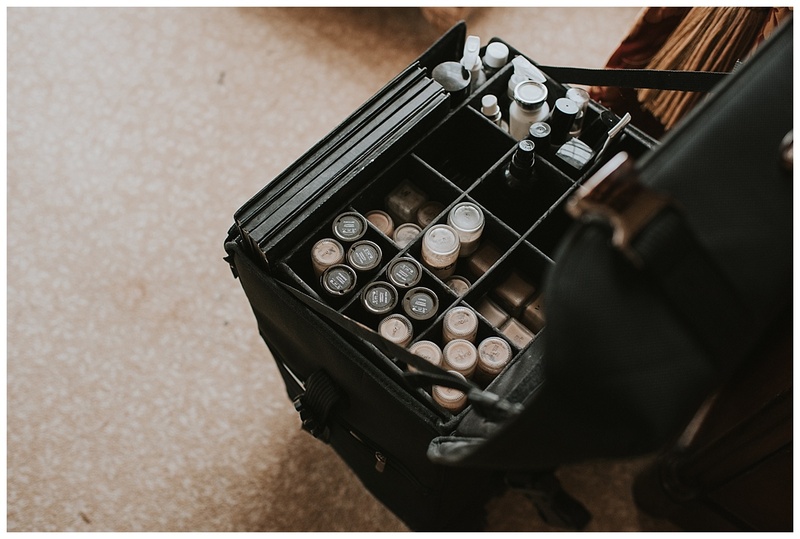 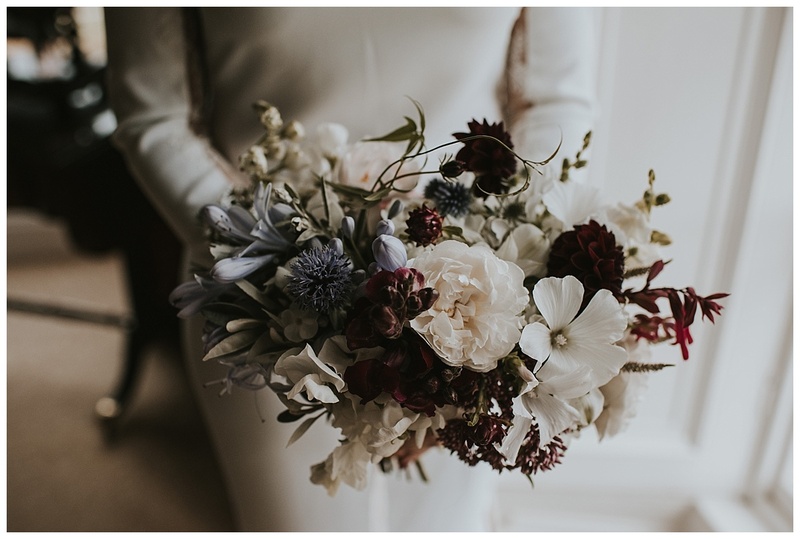 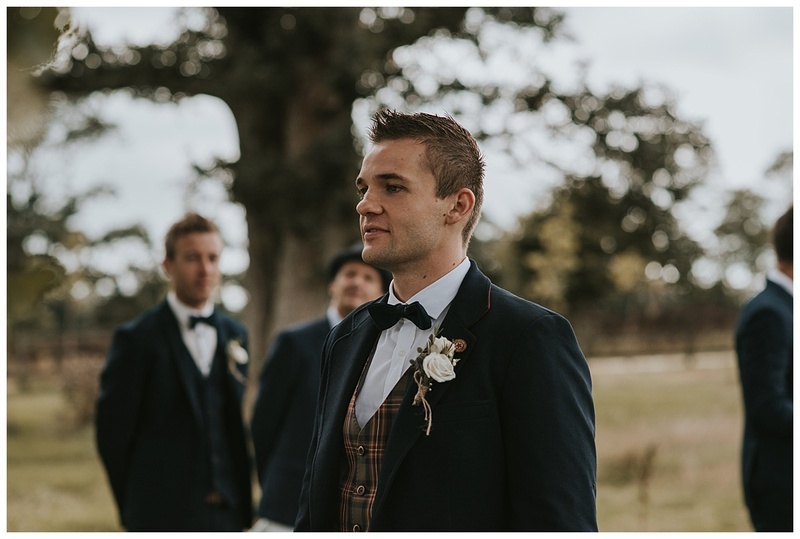 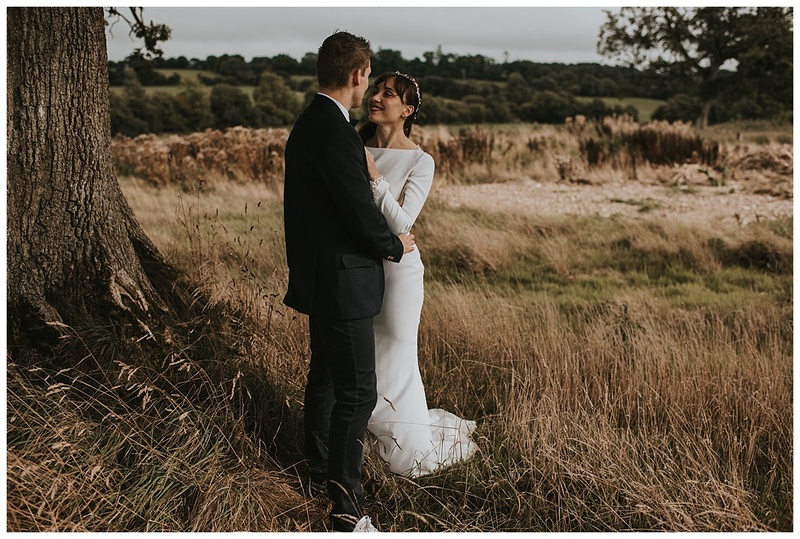 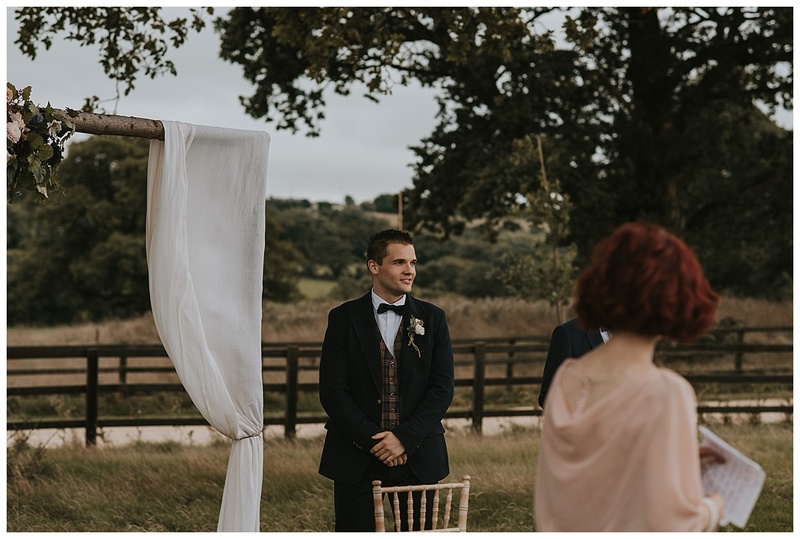 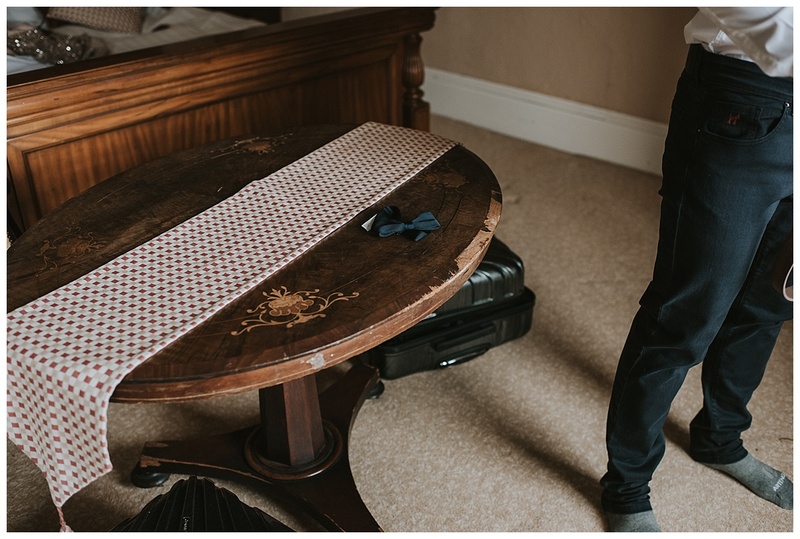 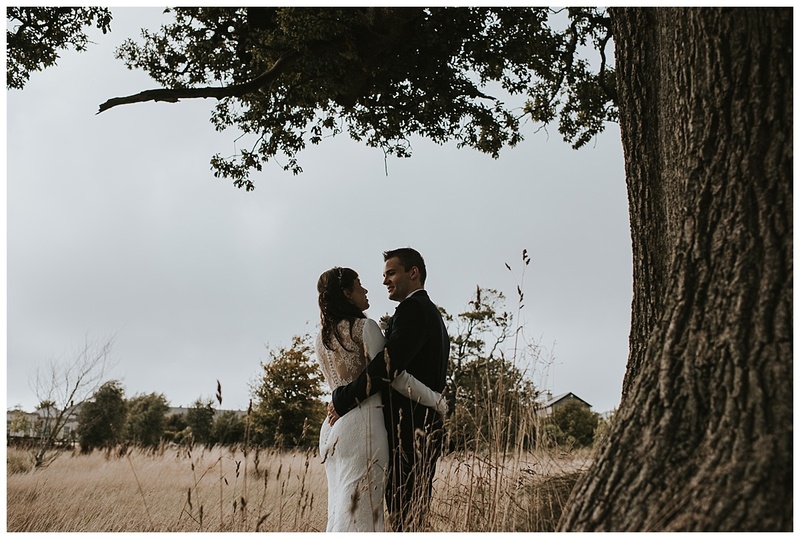 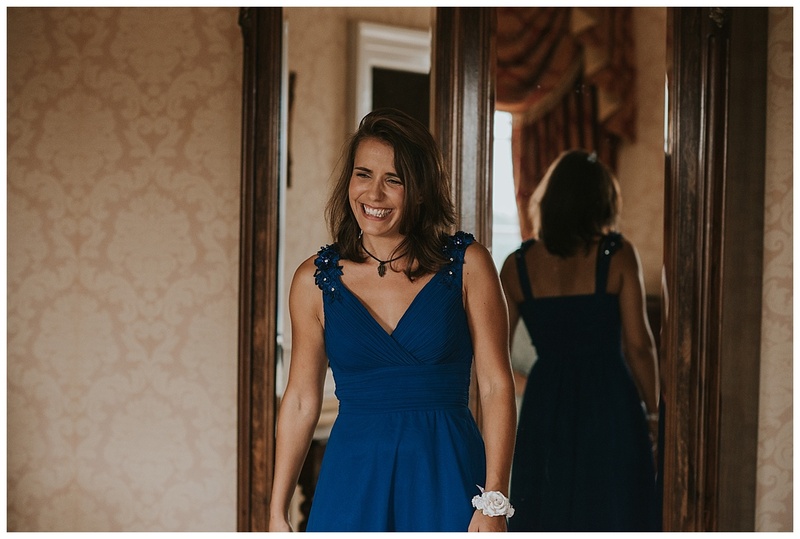 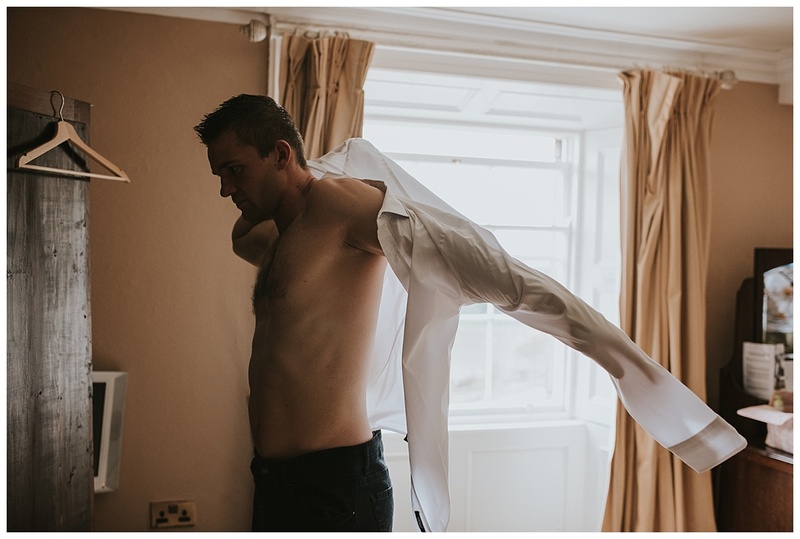 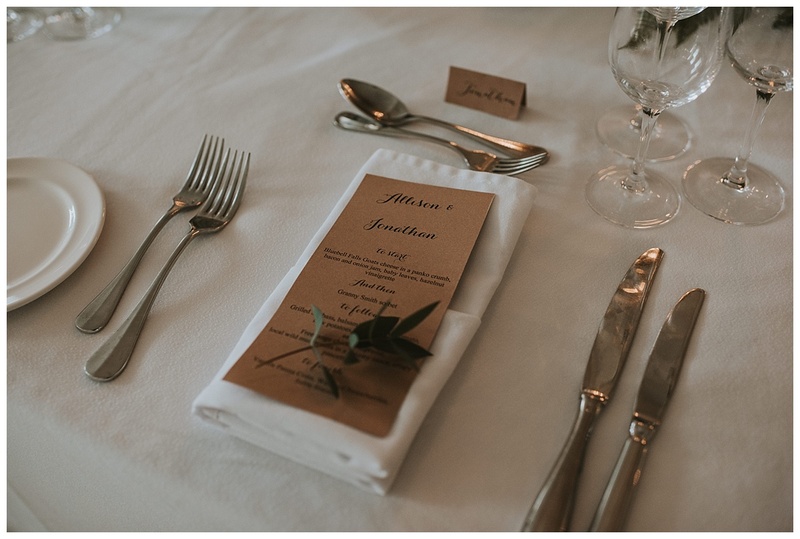 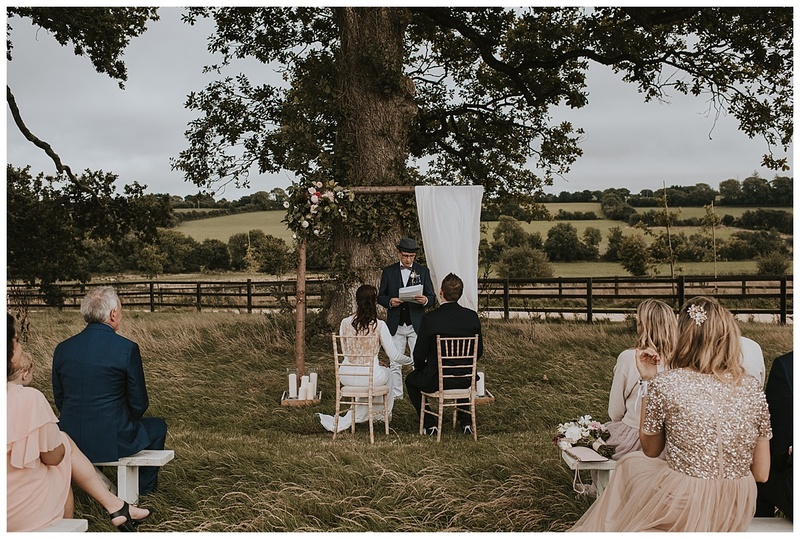 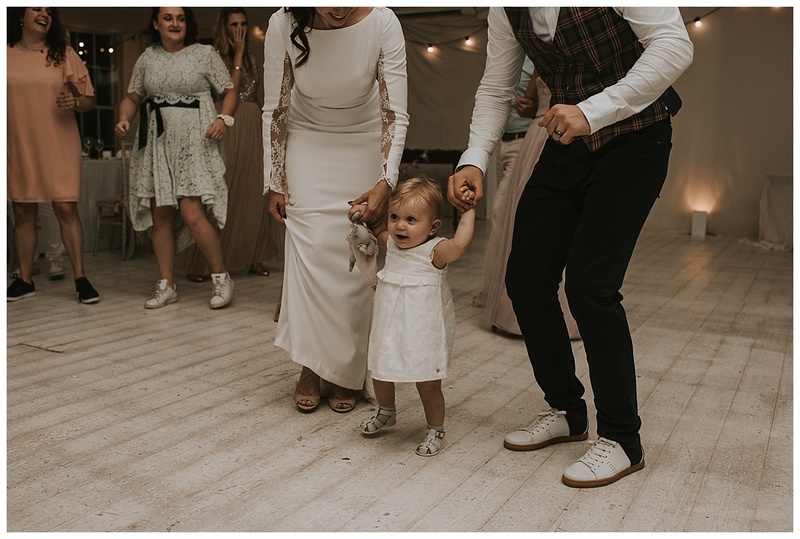 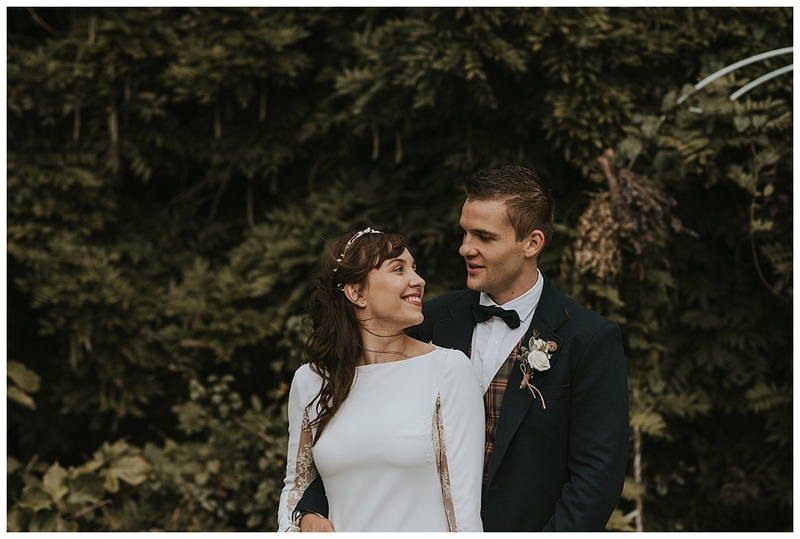 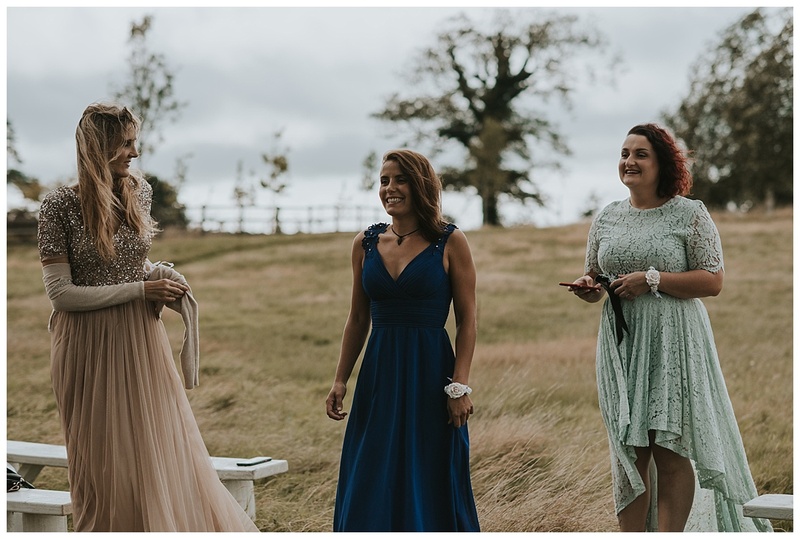 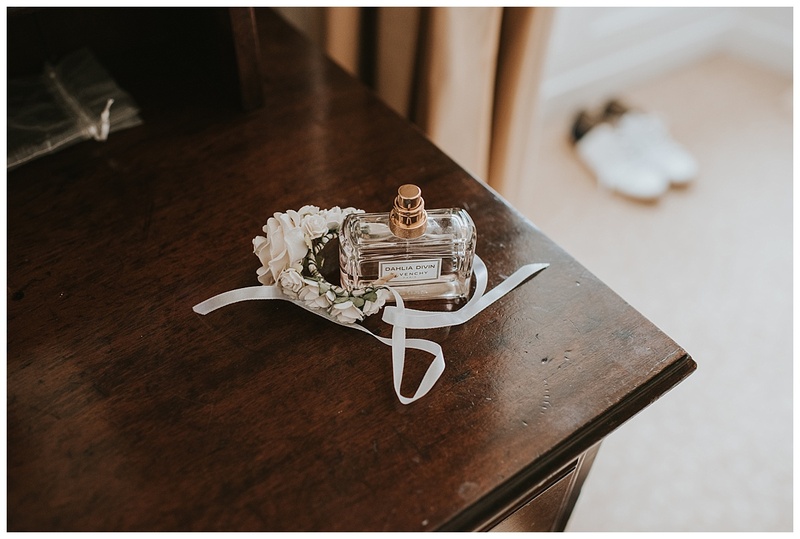 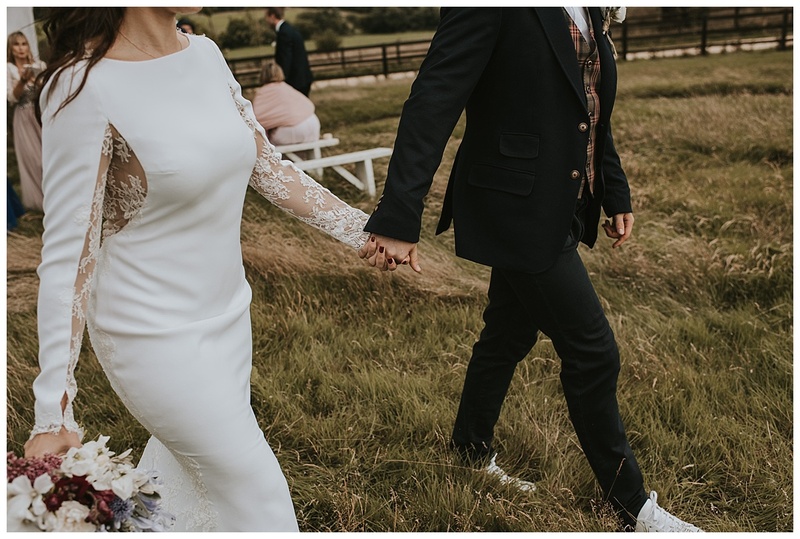 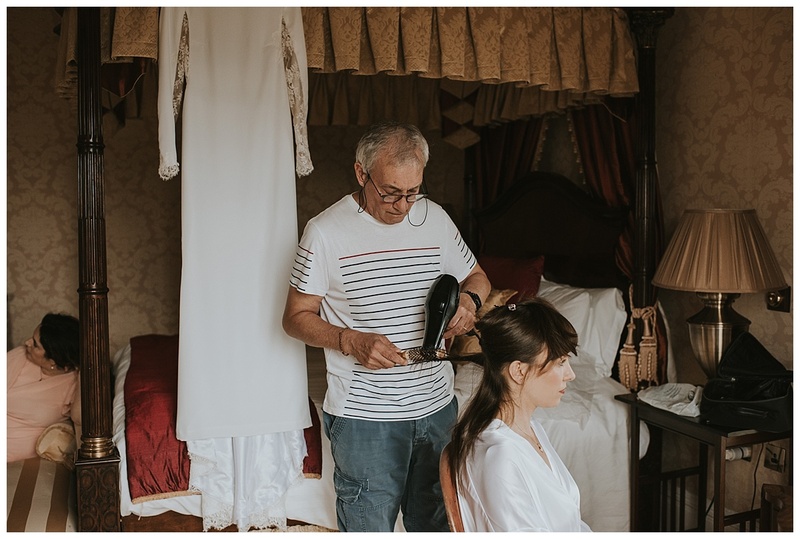 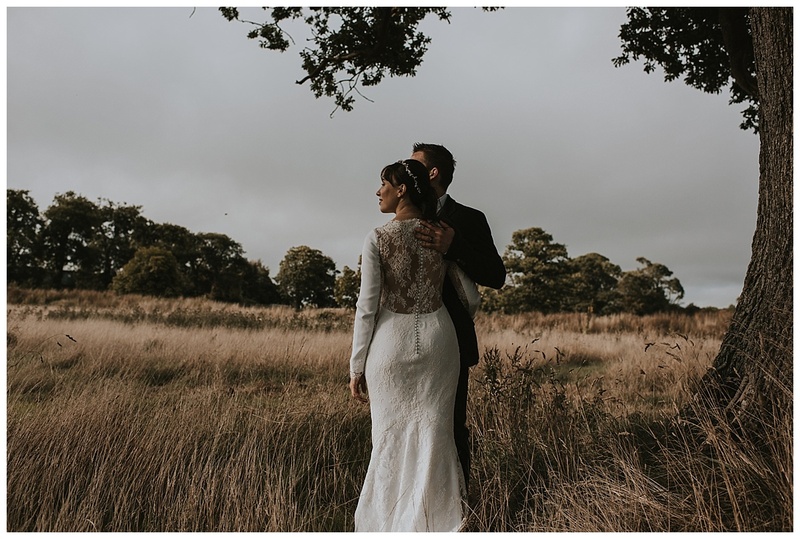 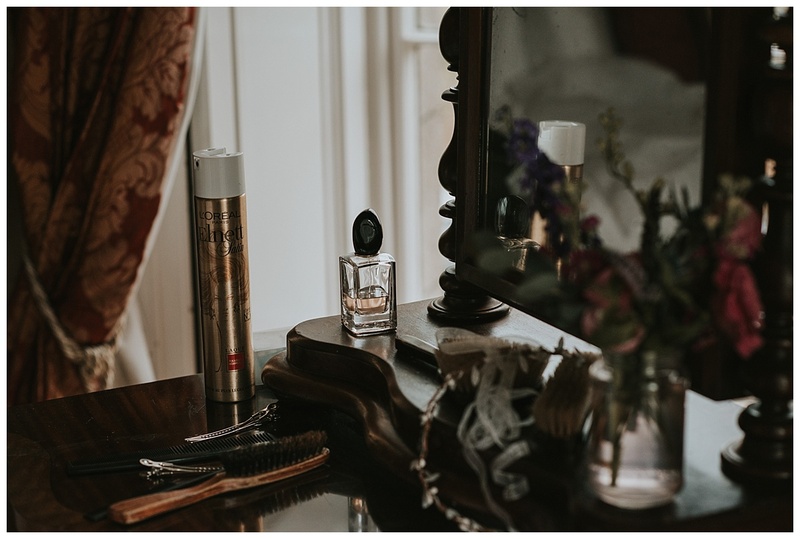 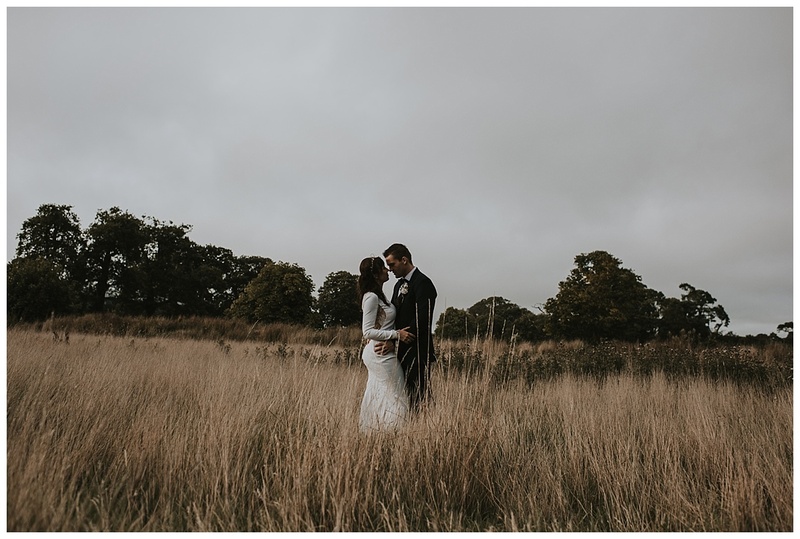 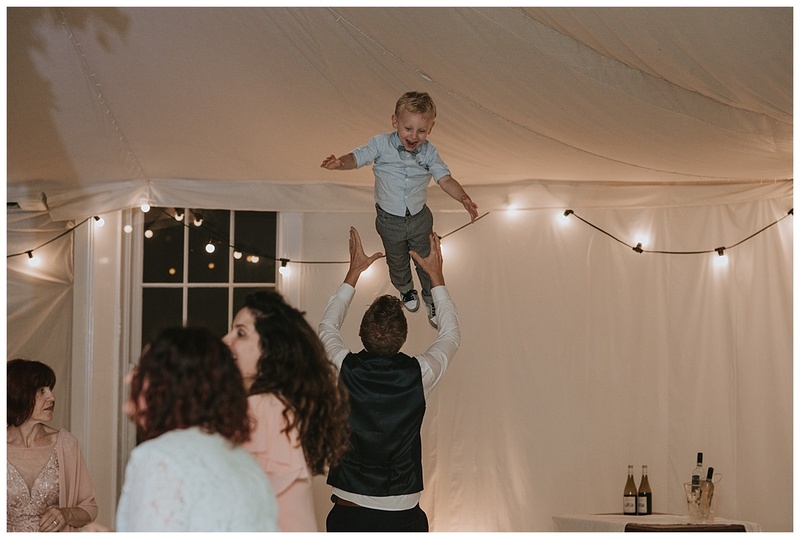 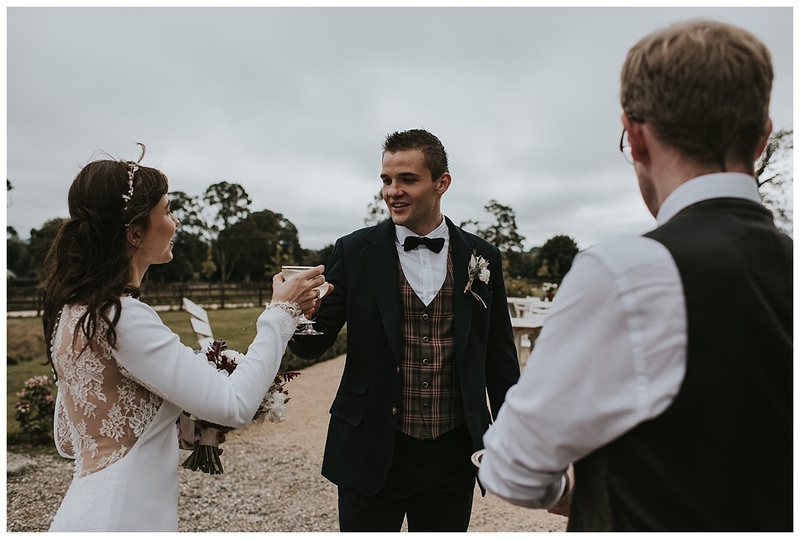 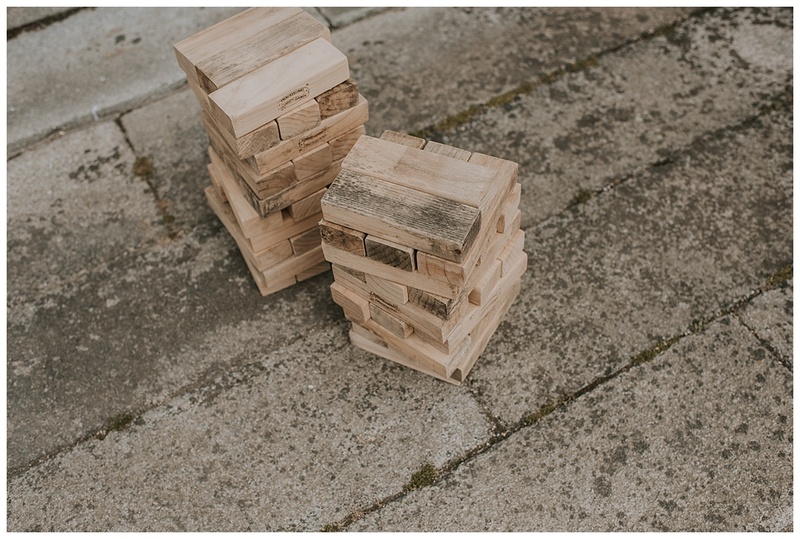 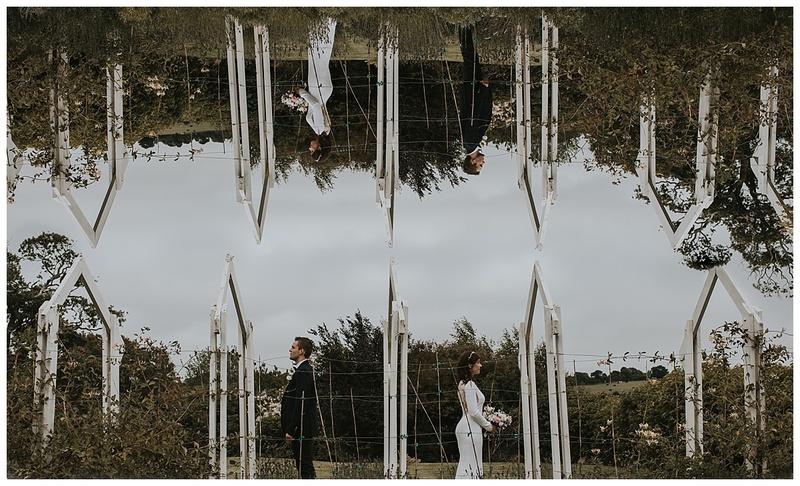 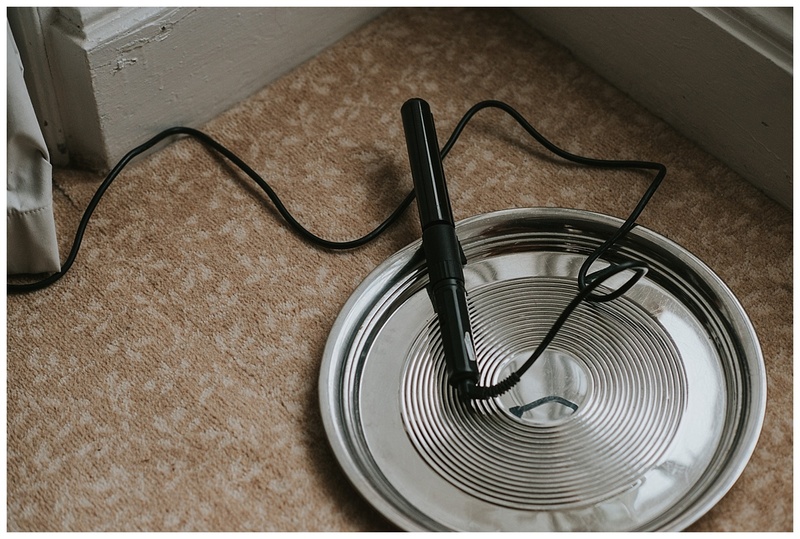 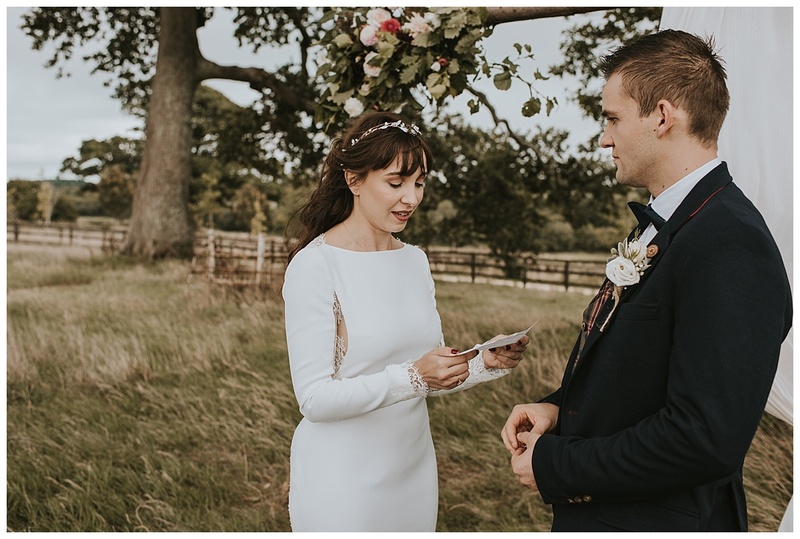 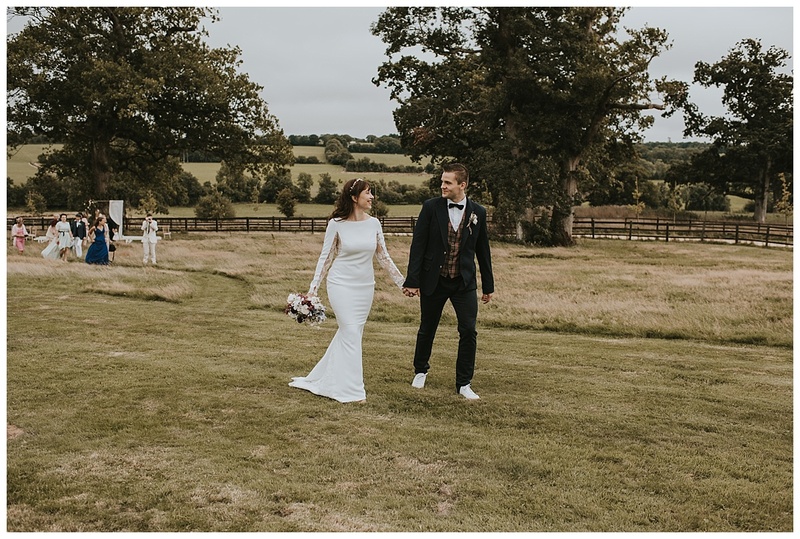 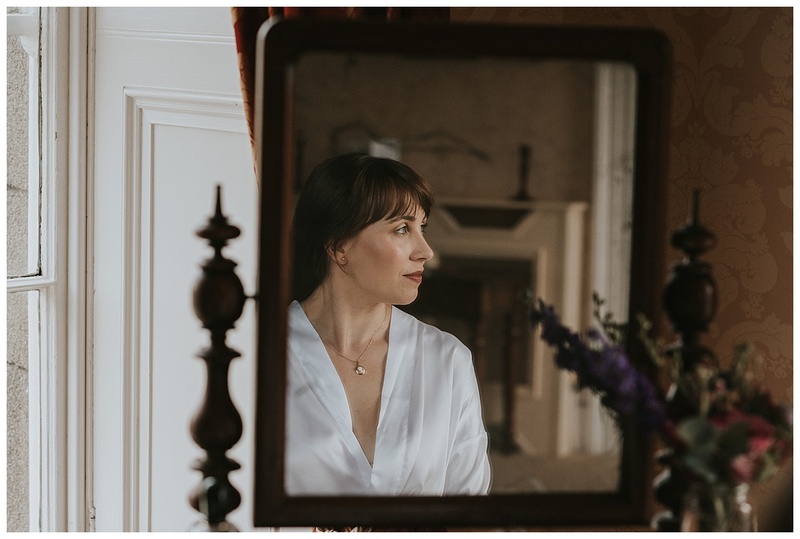 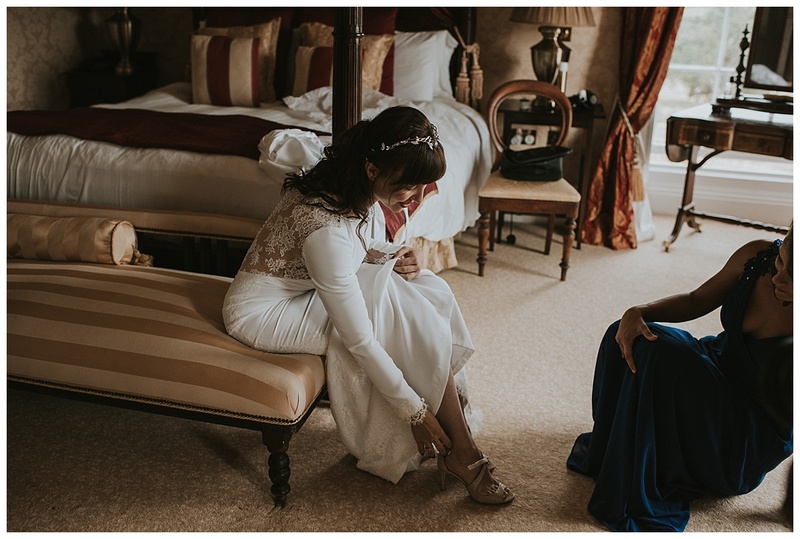 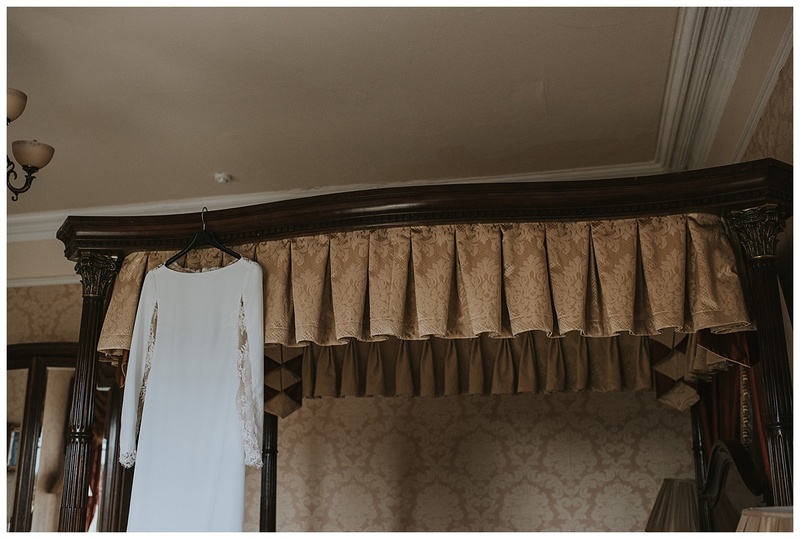 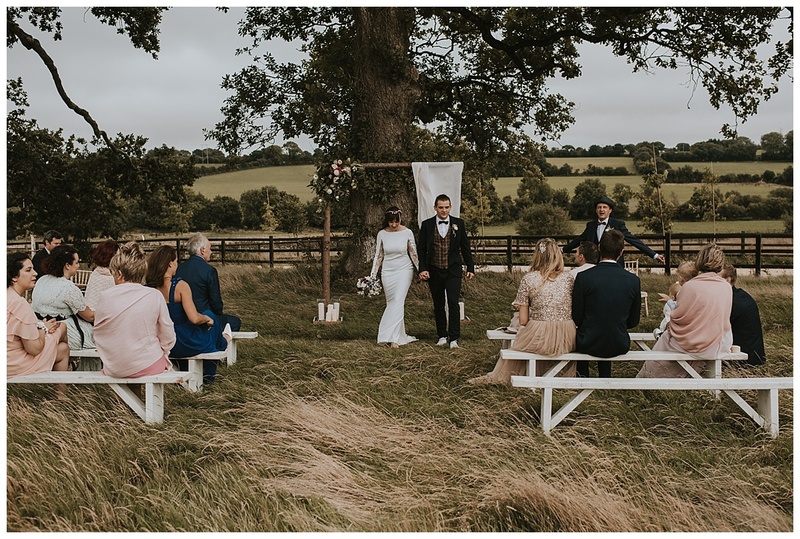 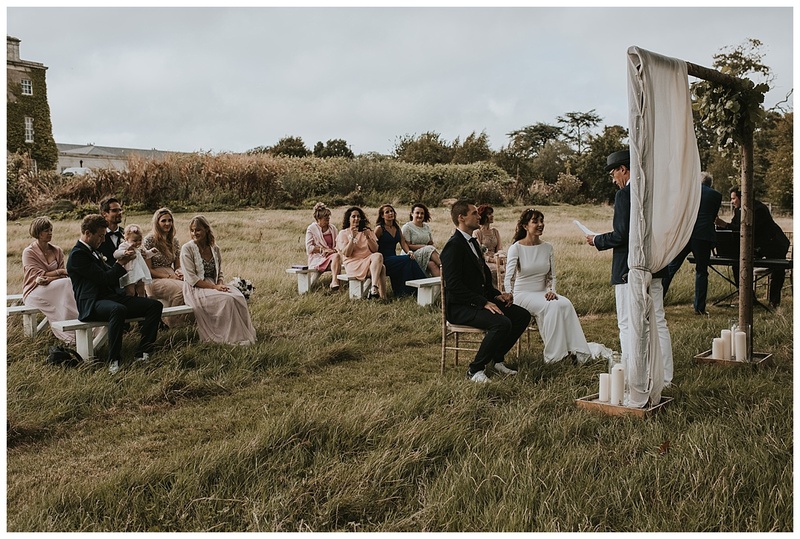 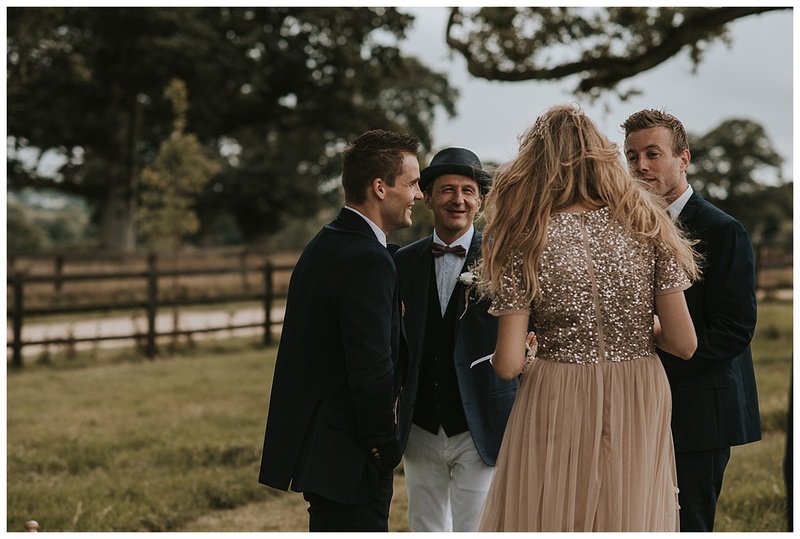 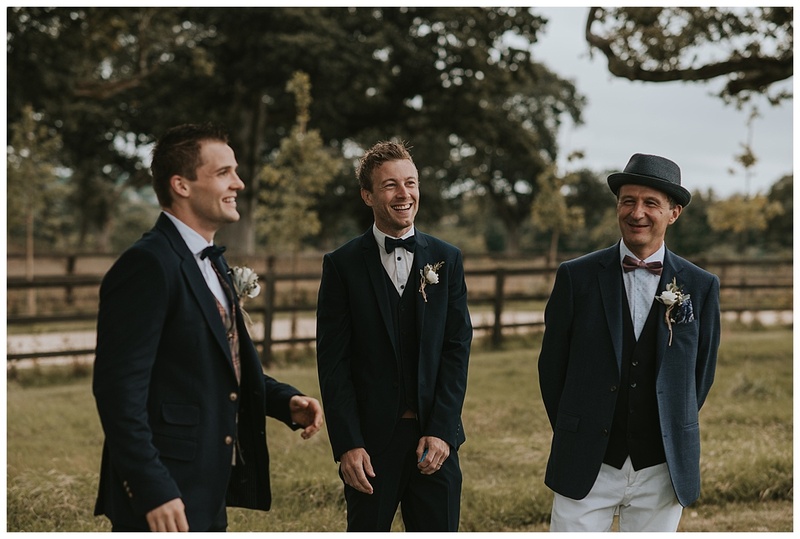 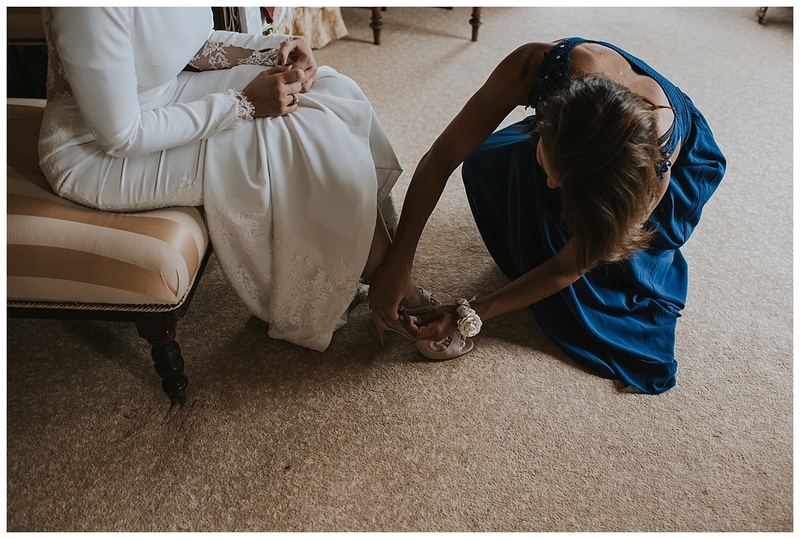 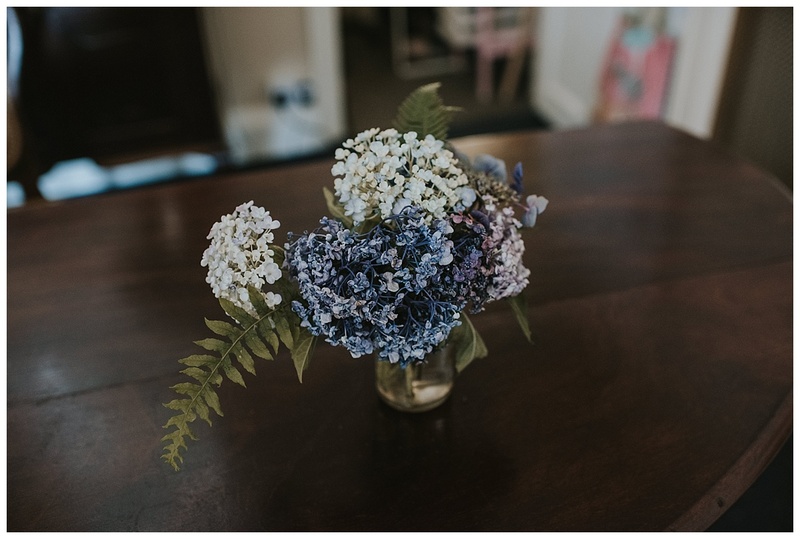 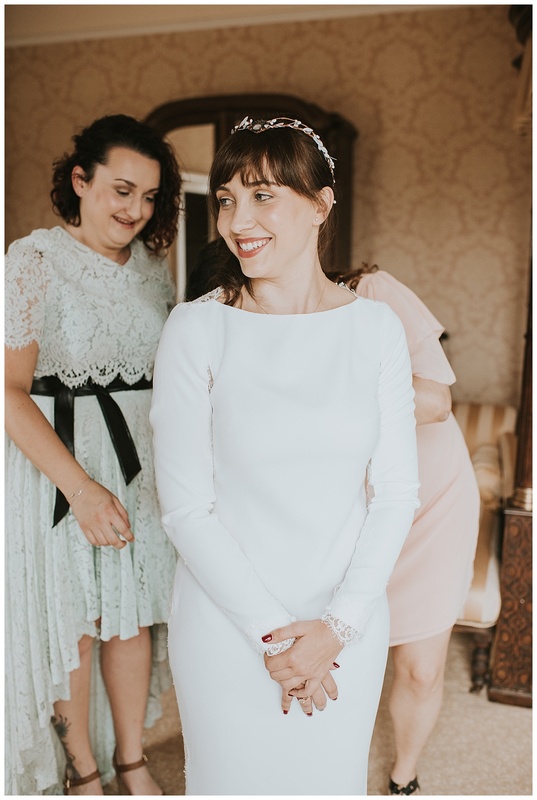 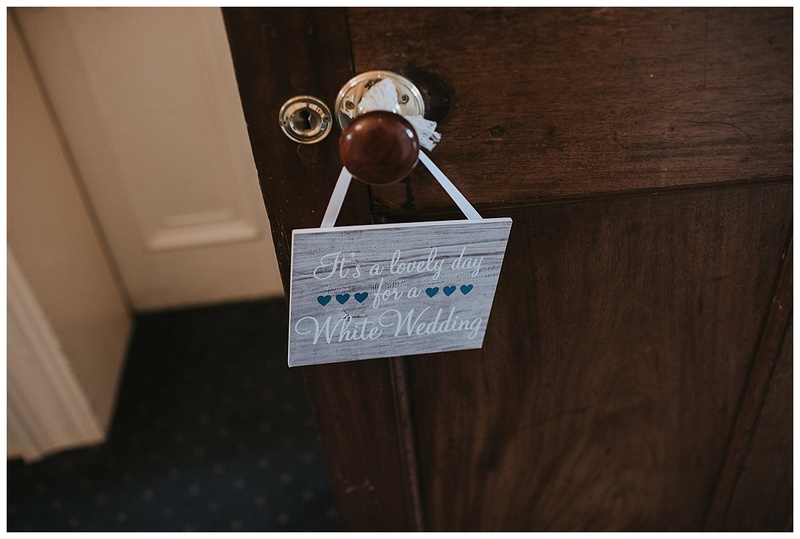 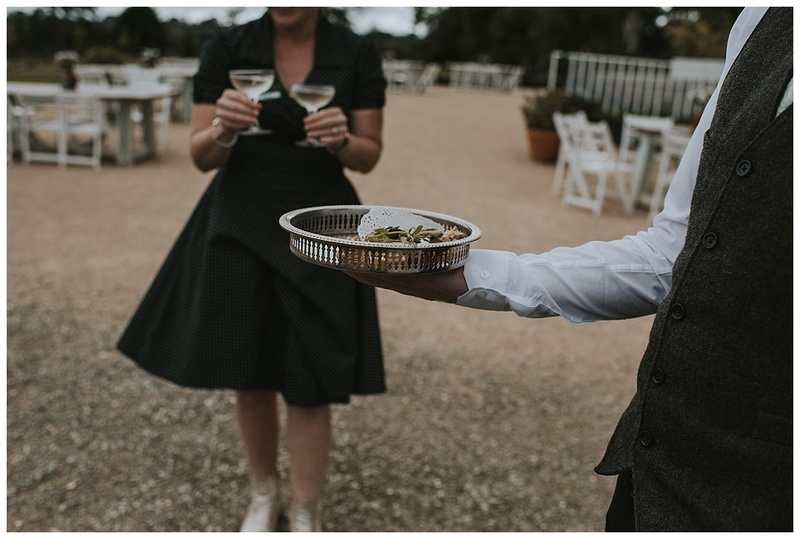 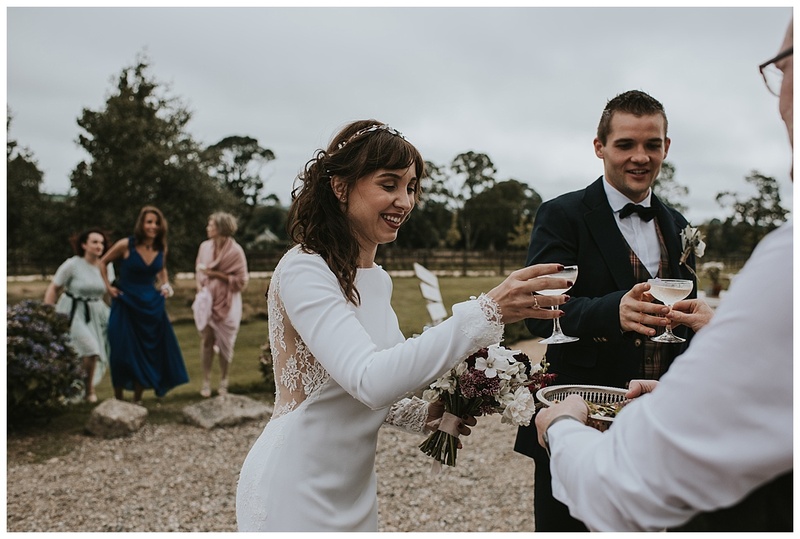 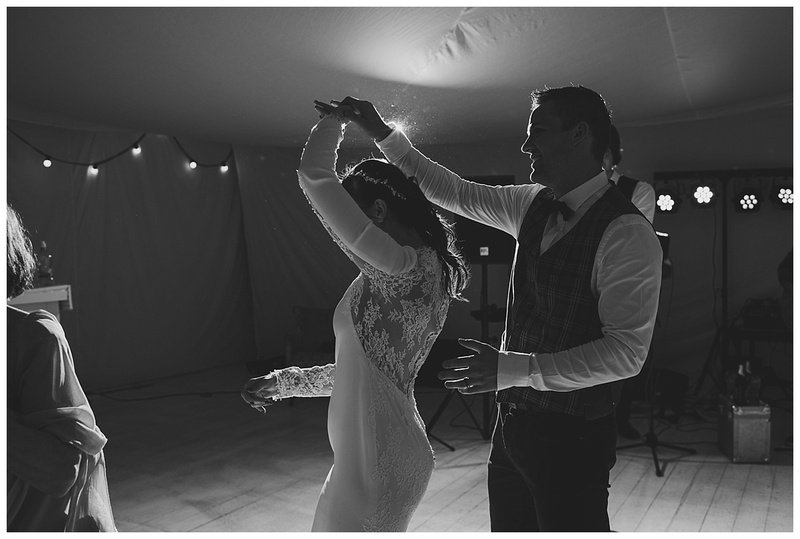 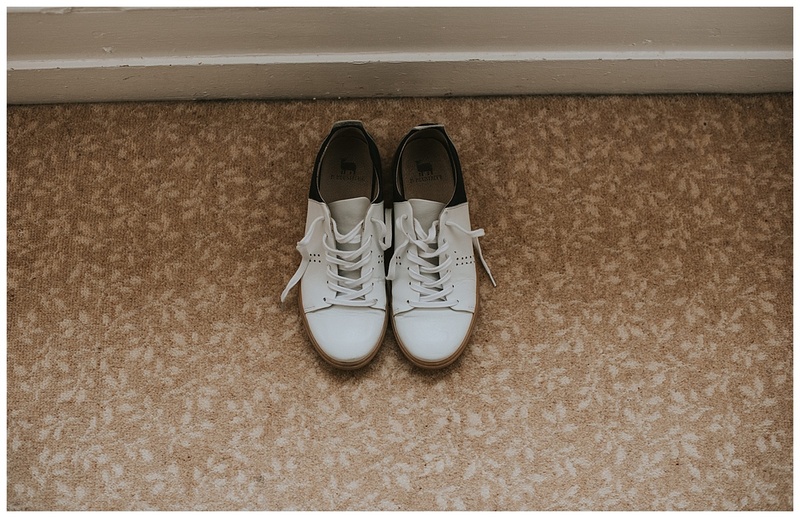 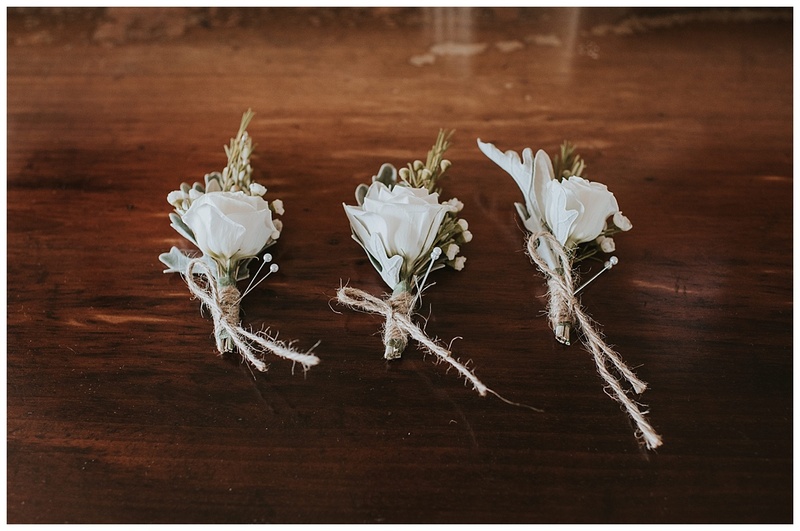 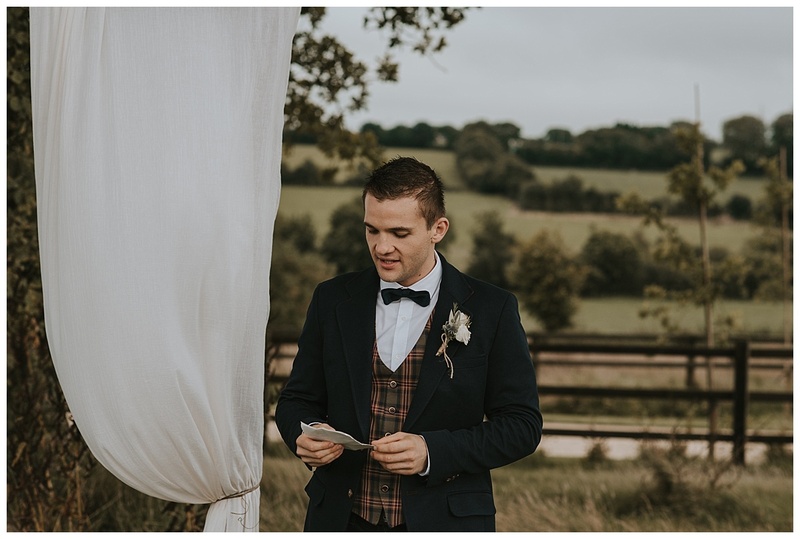 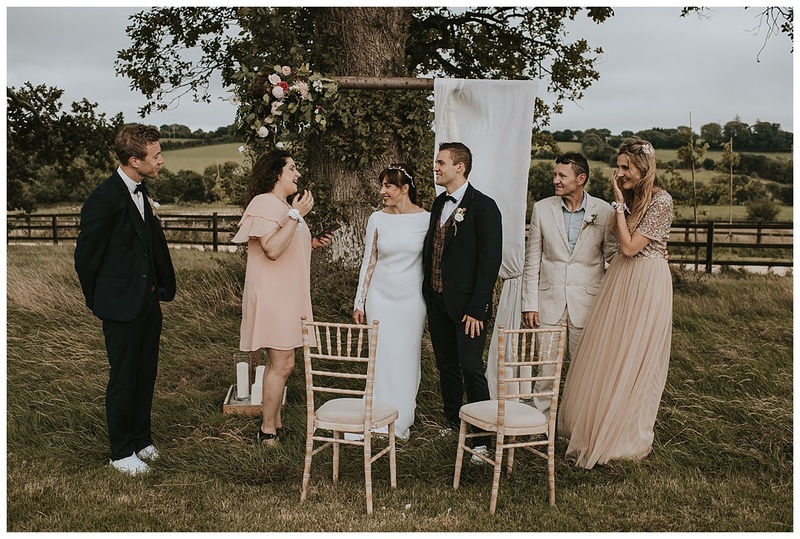 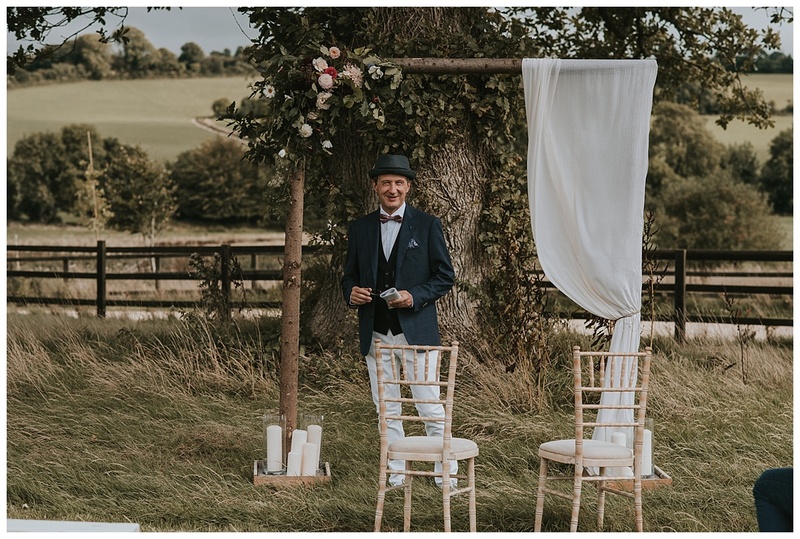 It felt like Horetown House was made for these smaller weddings too, as it can be the danger of a small wedding that it can feel a bit lost within a venue but it wasn’t the case at all, the space felt welcoming and cozy and suited them perfectly. 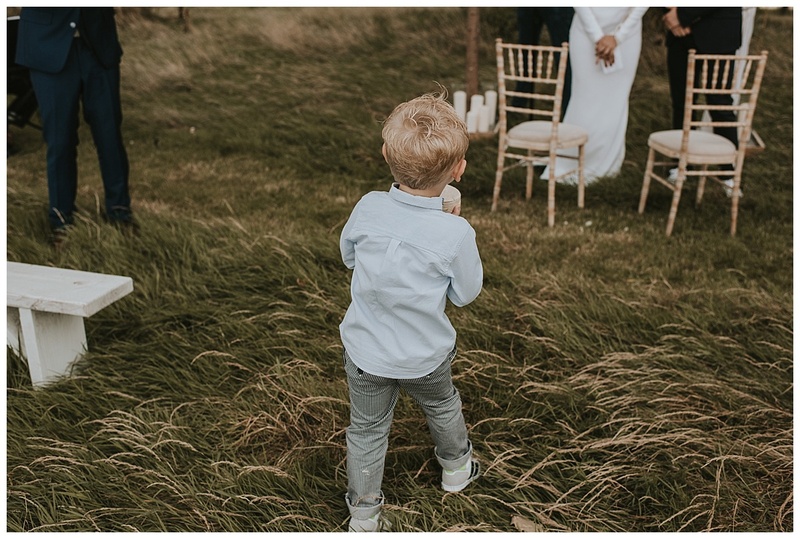 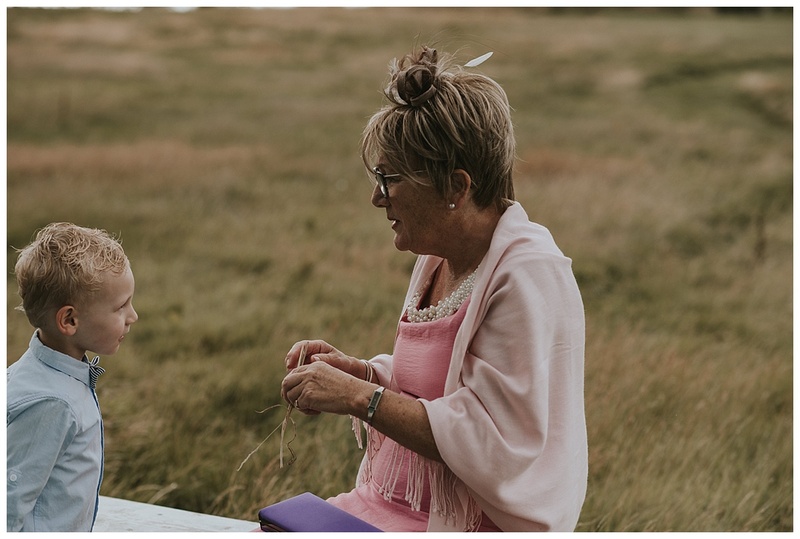 I had the best day with these two, who were up for anything and going anywhere, not a fizz on Allison walking through the long grasses in her heels! 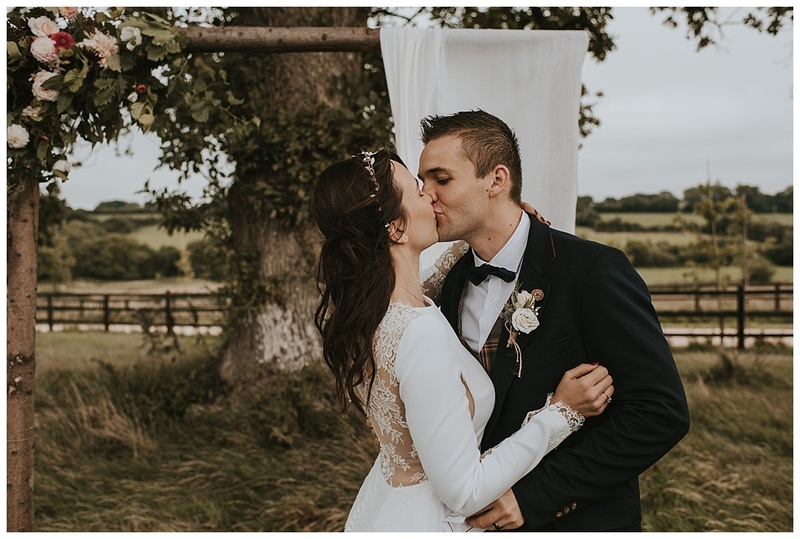 Please come back to Ireland soon you two, wishing you all the happiness!